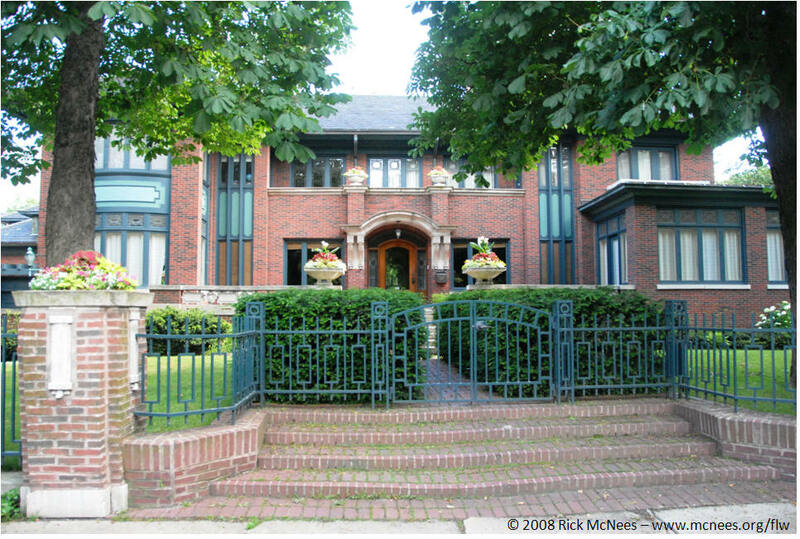 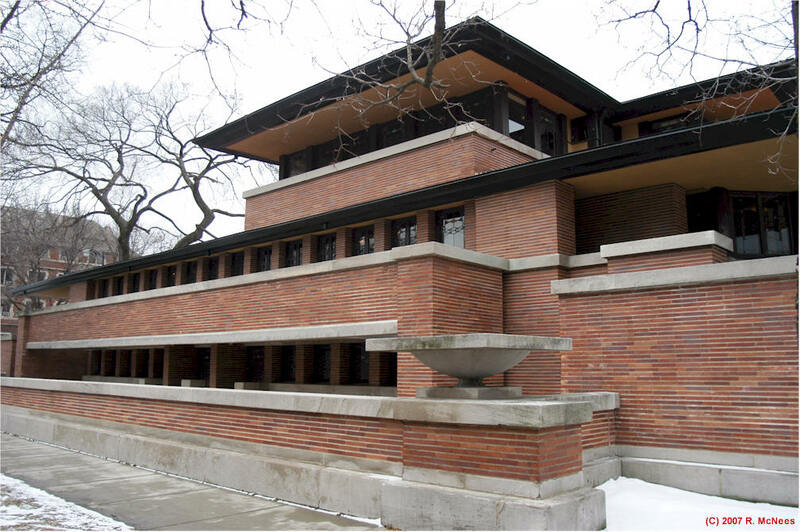 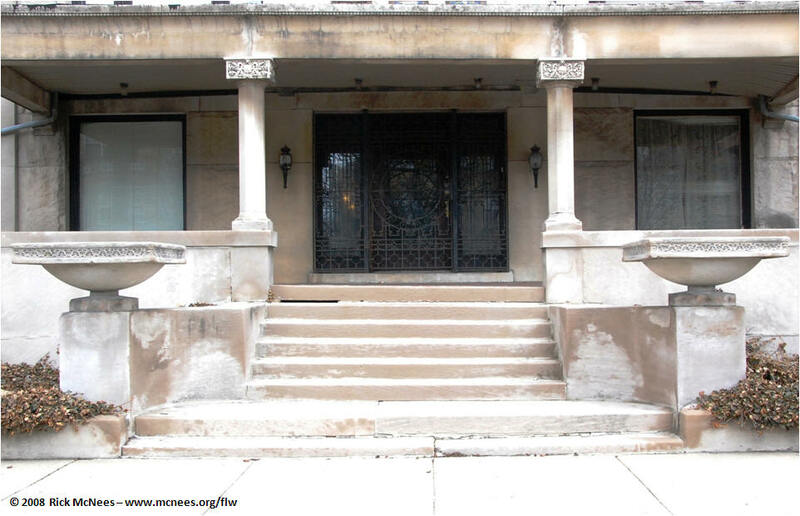 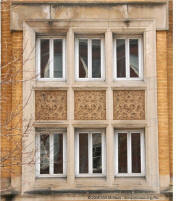 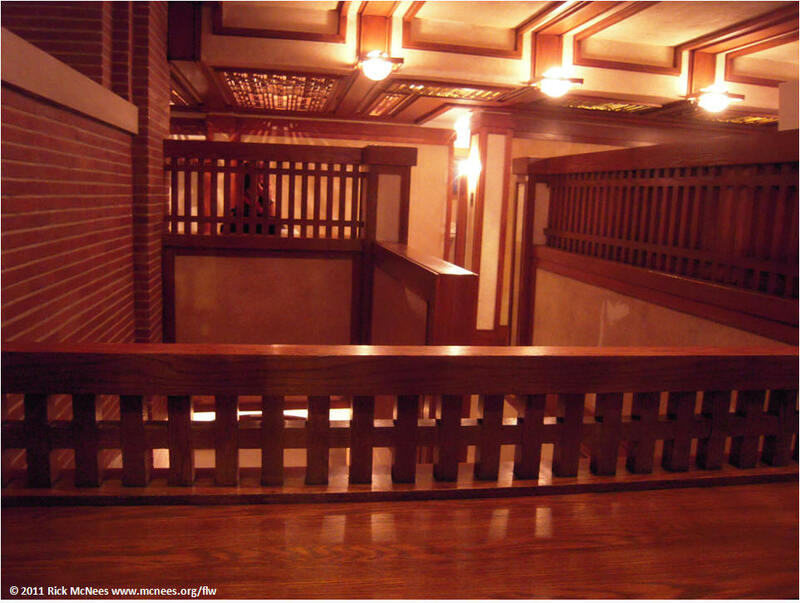 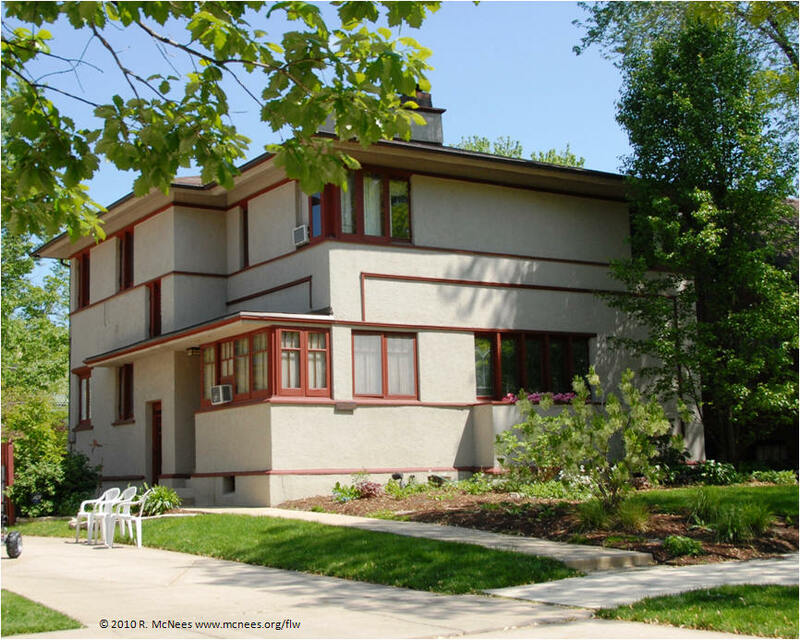 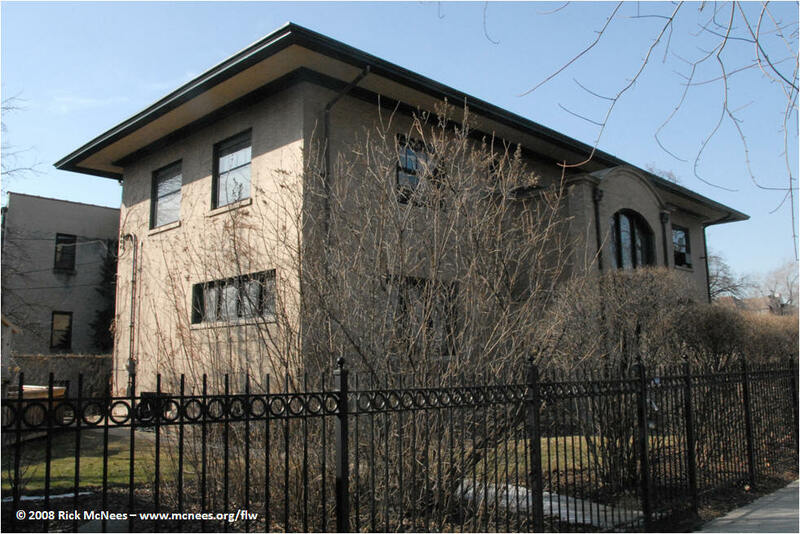 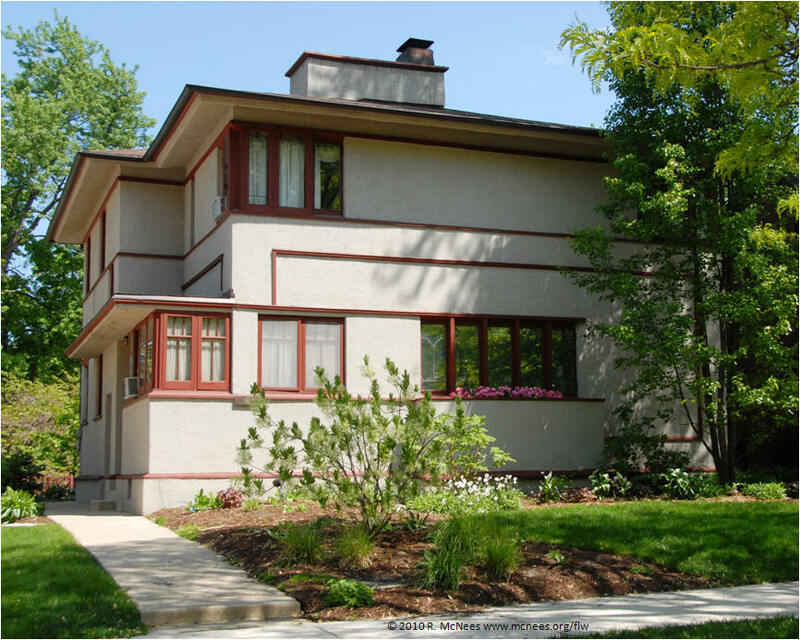 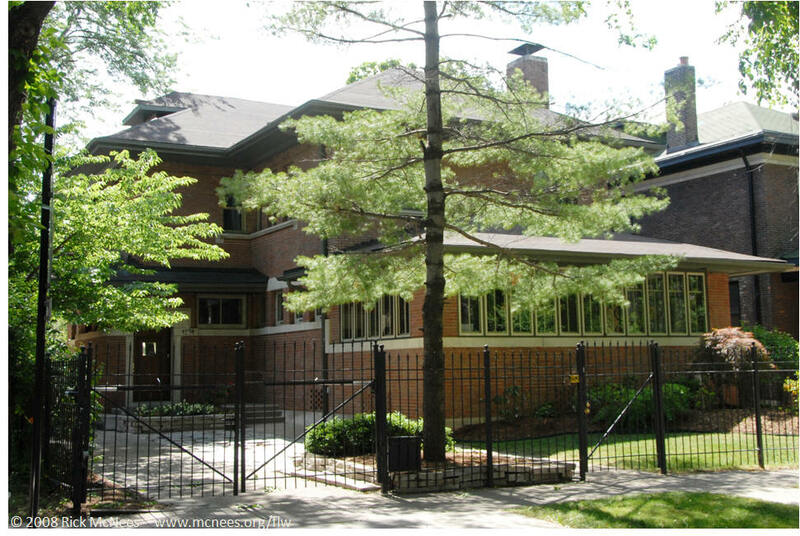 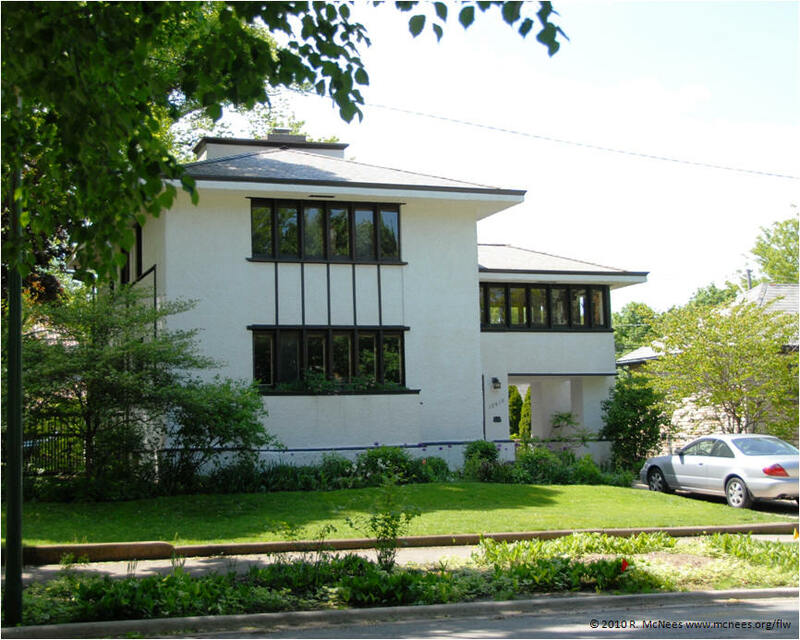 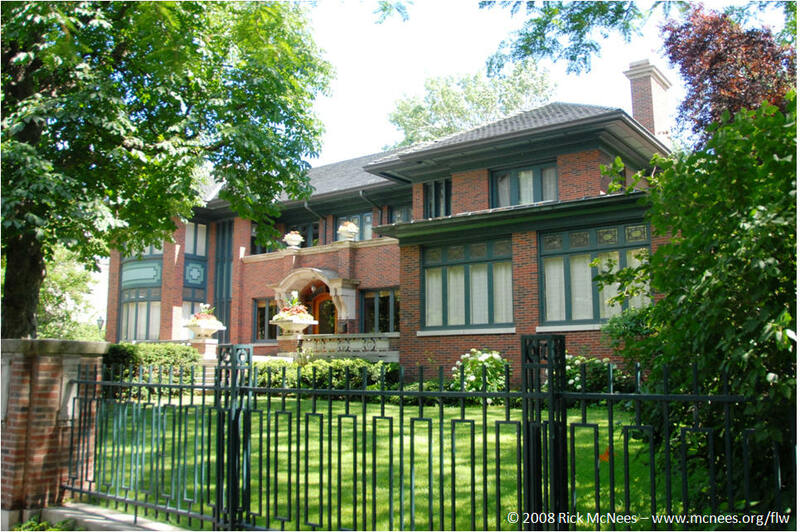 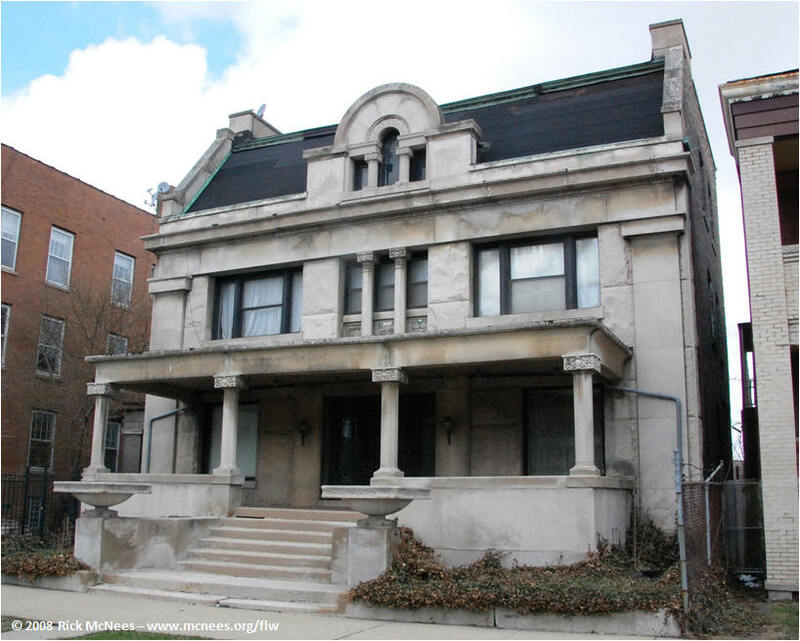 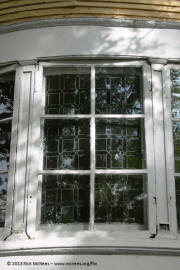 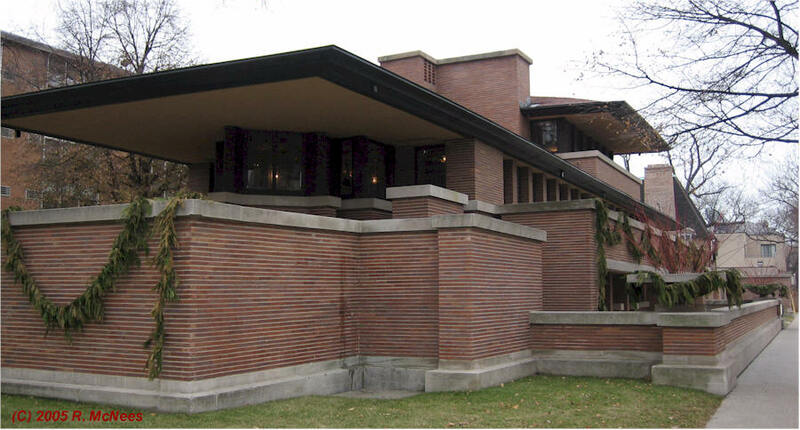 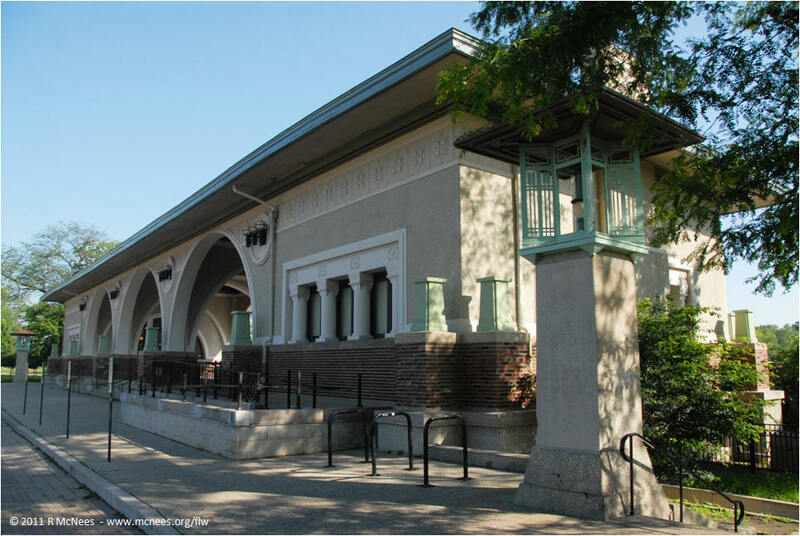 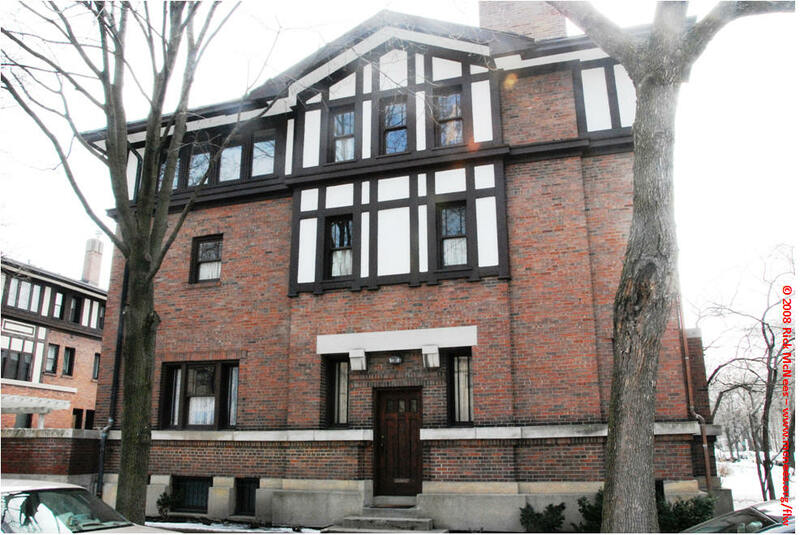 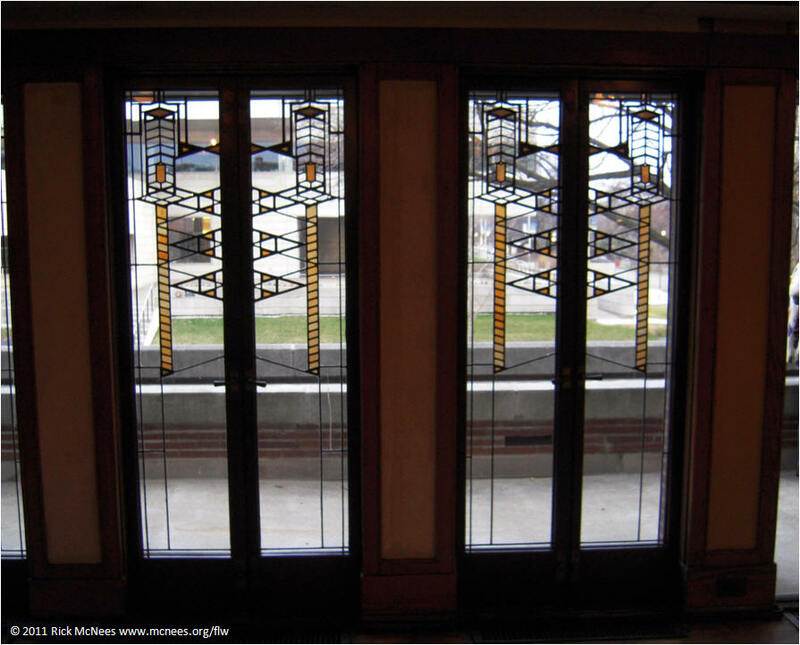 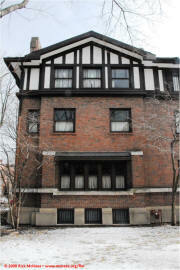 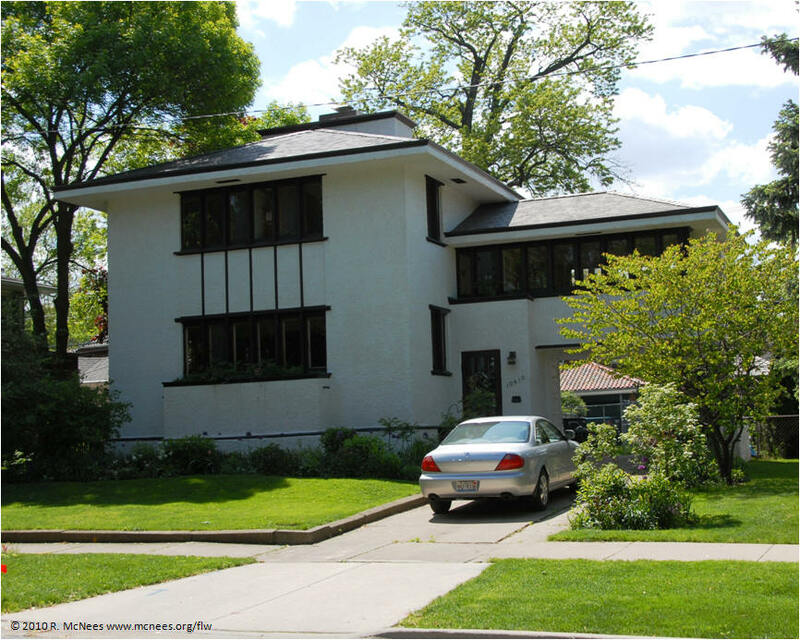 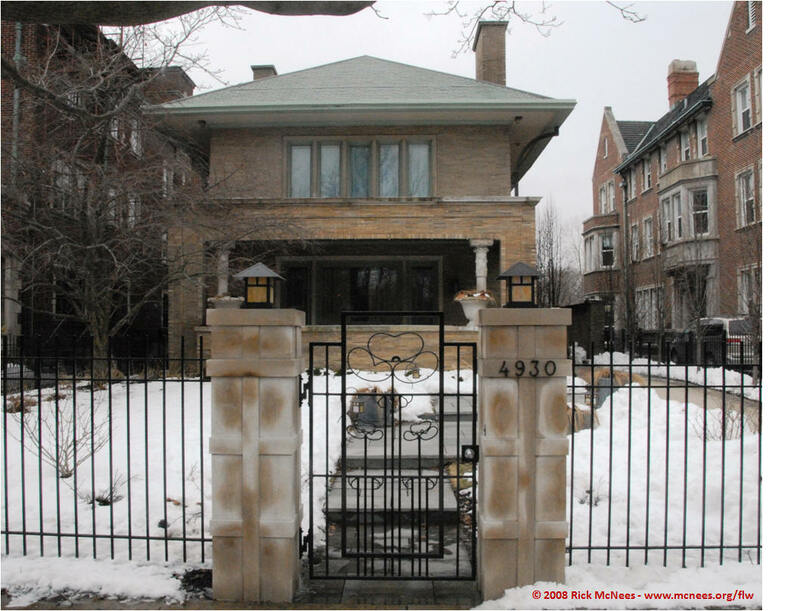 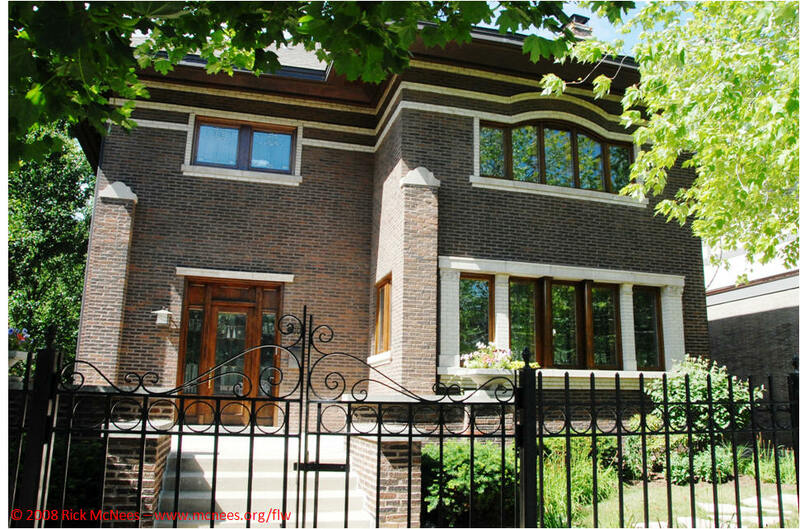 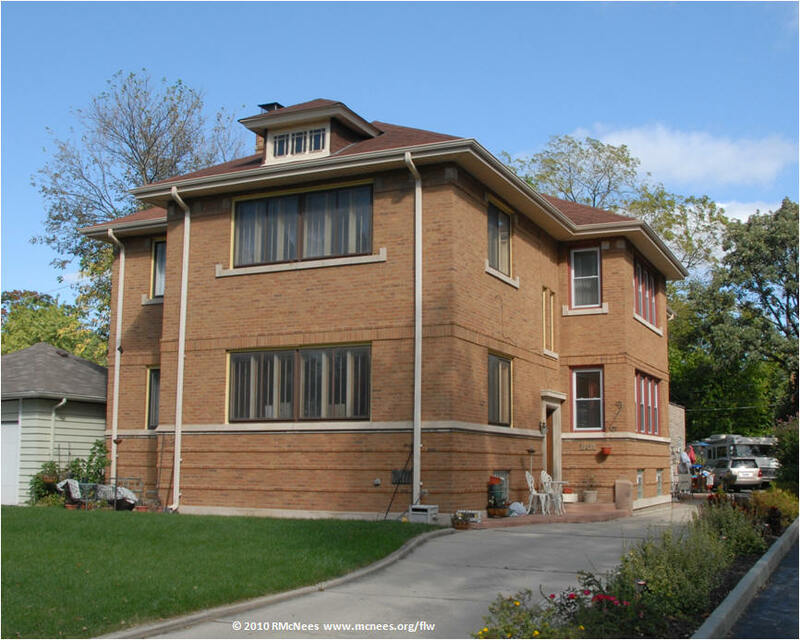 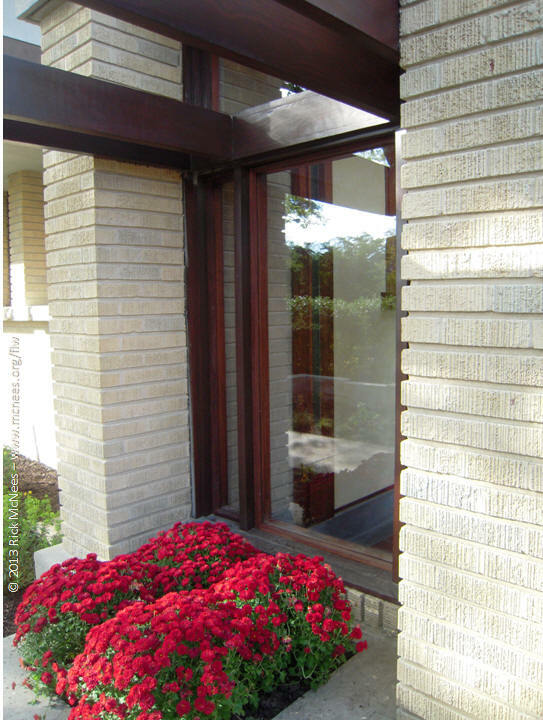 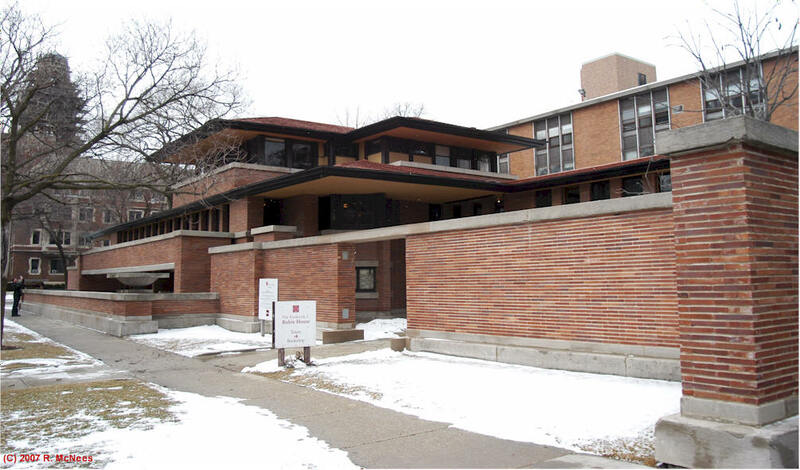 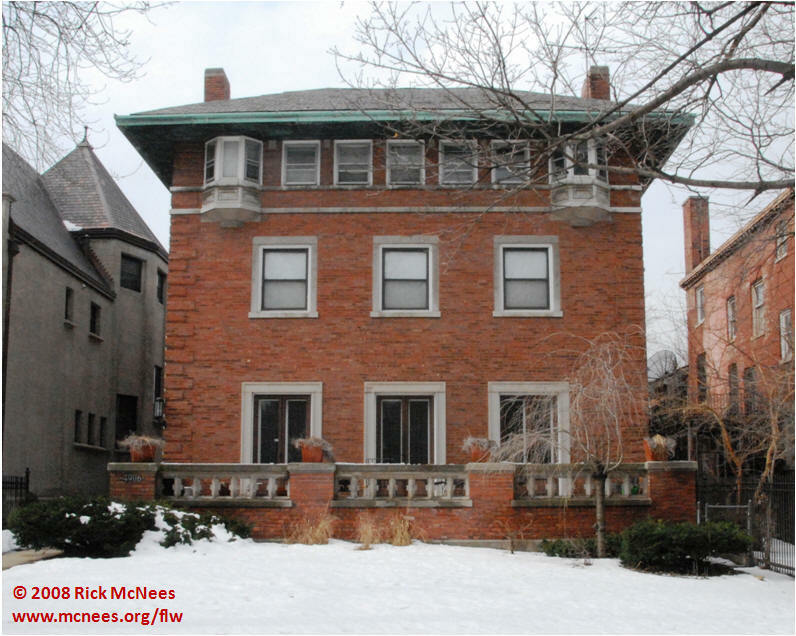 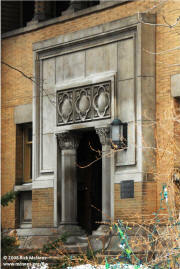 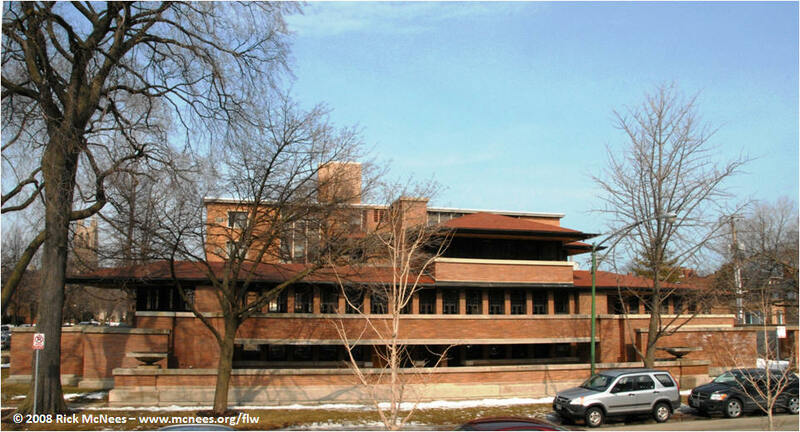 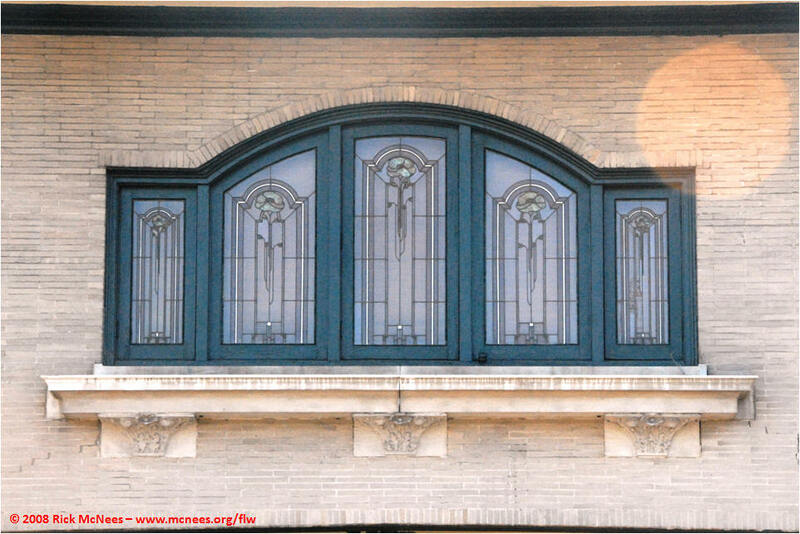 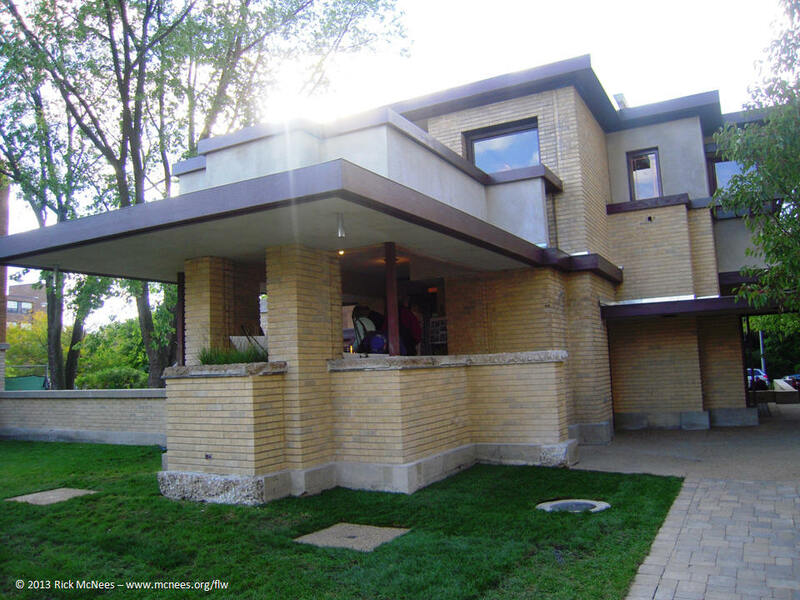 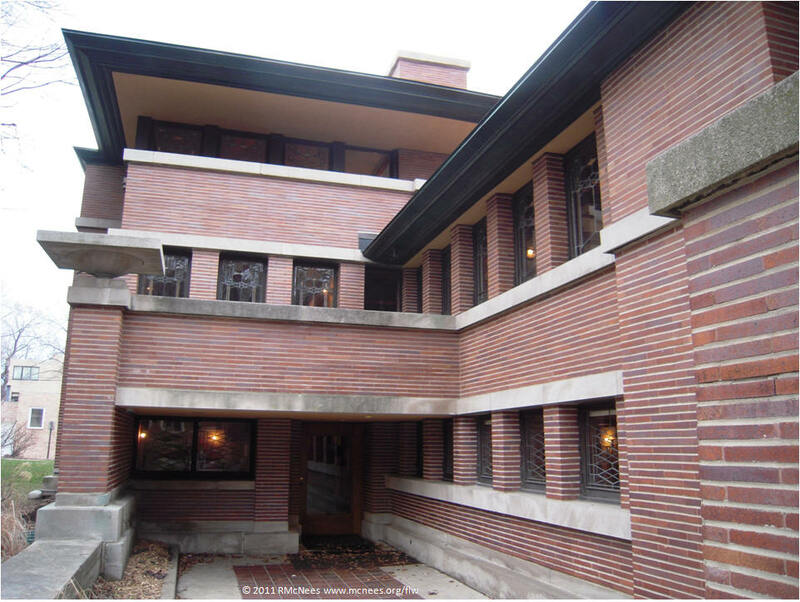 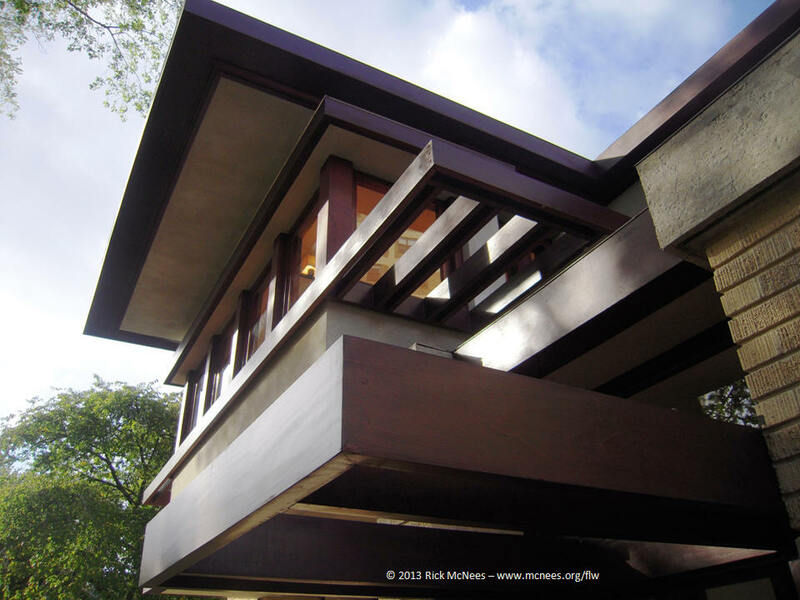 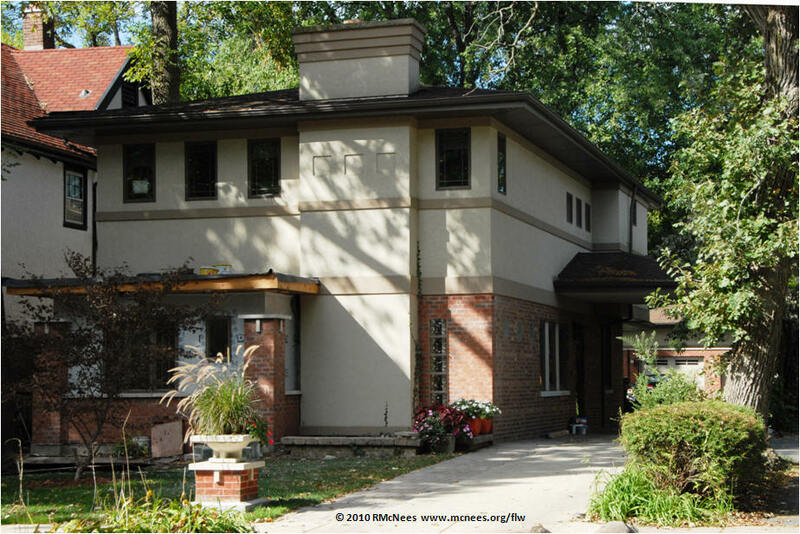 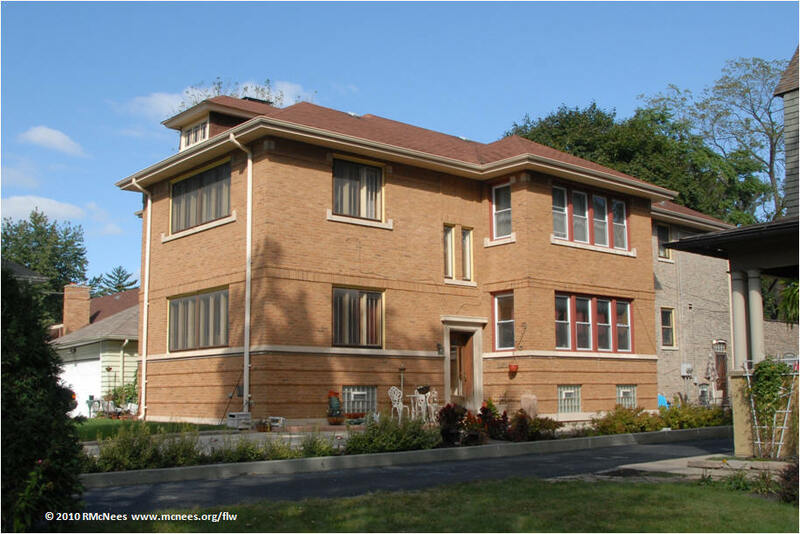 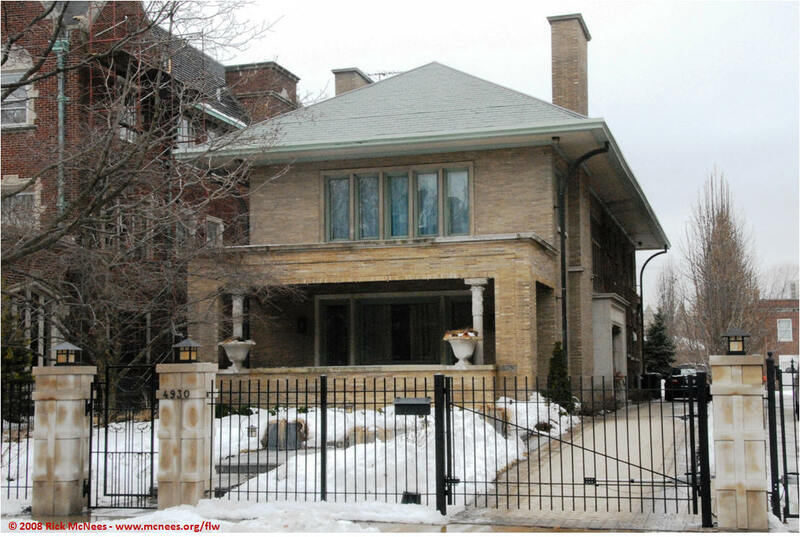 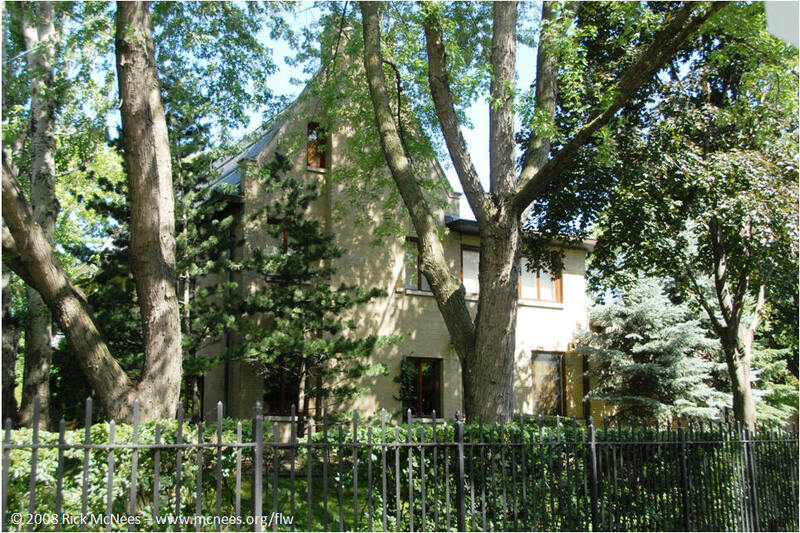 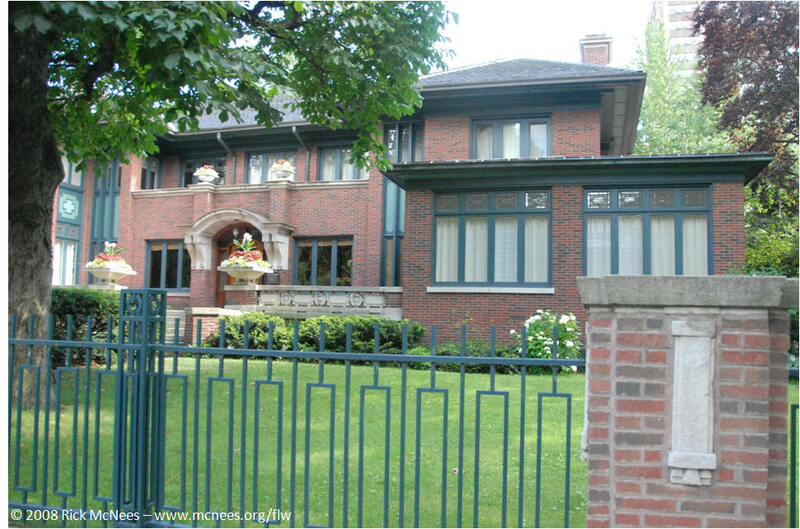 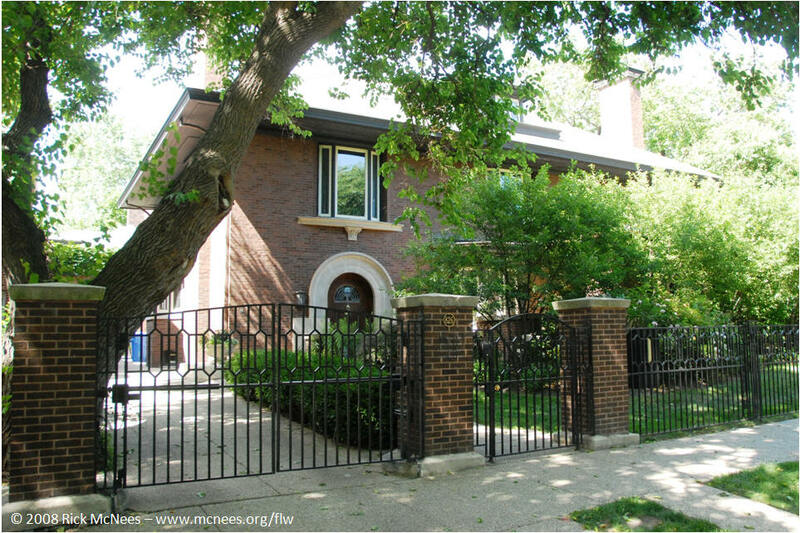 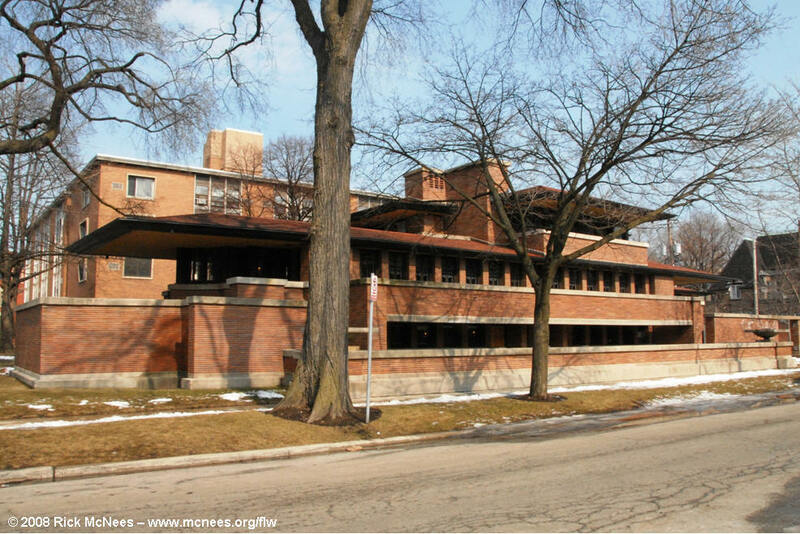 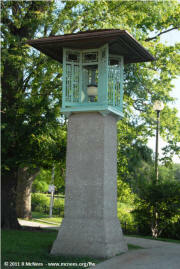 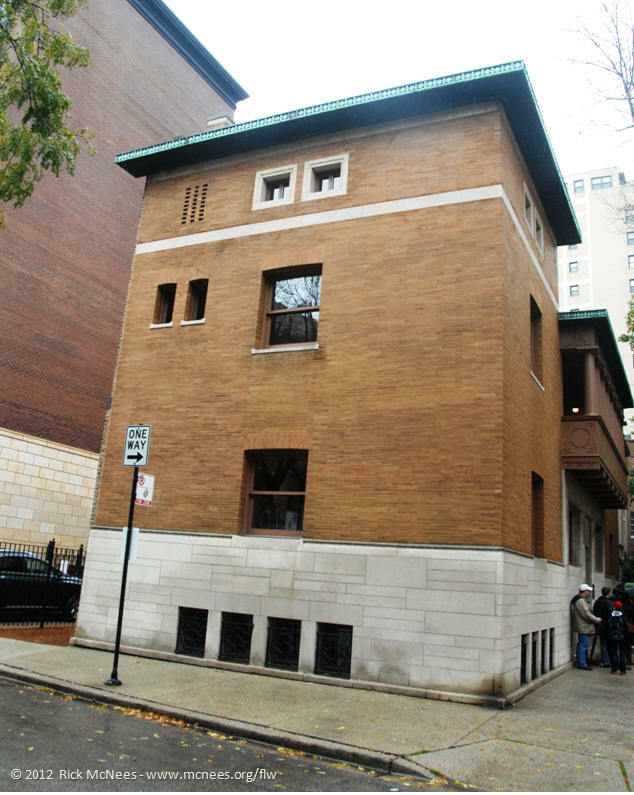 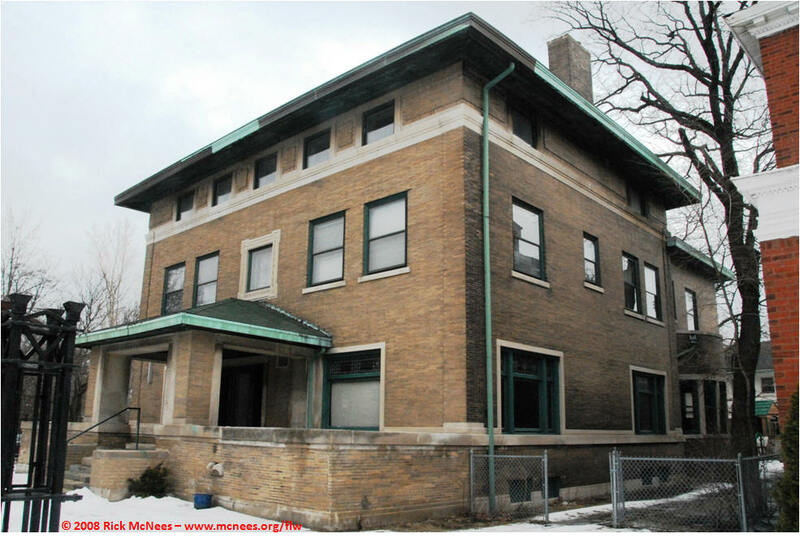 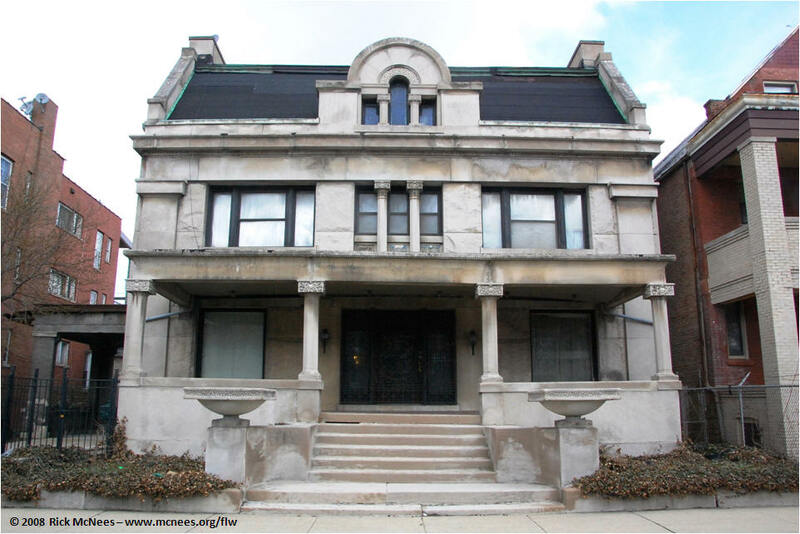 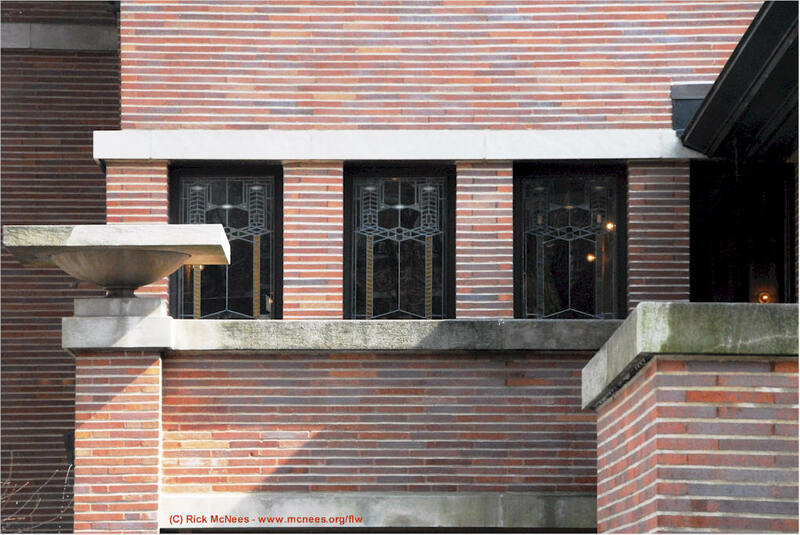 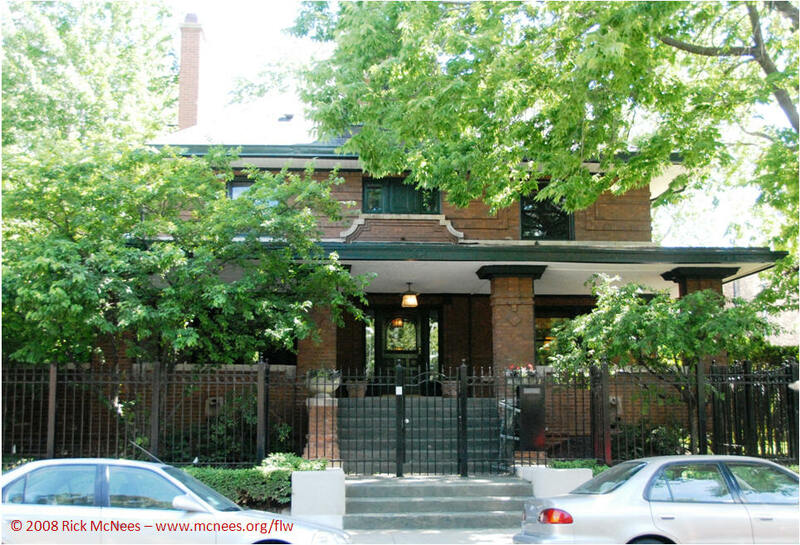 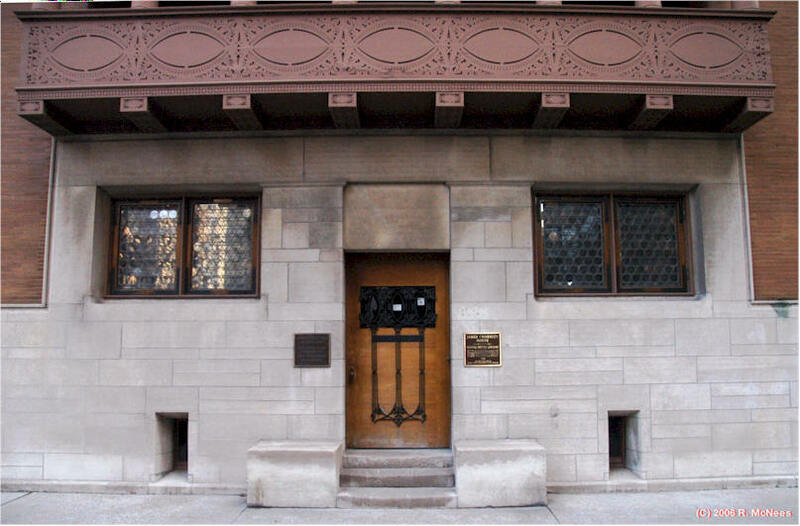 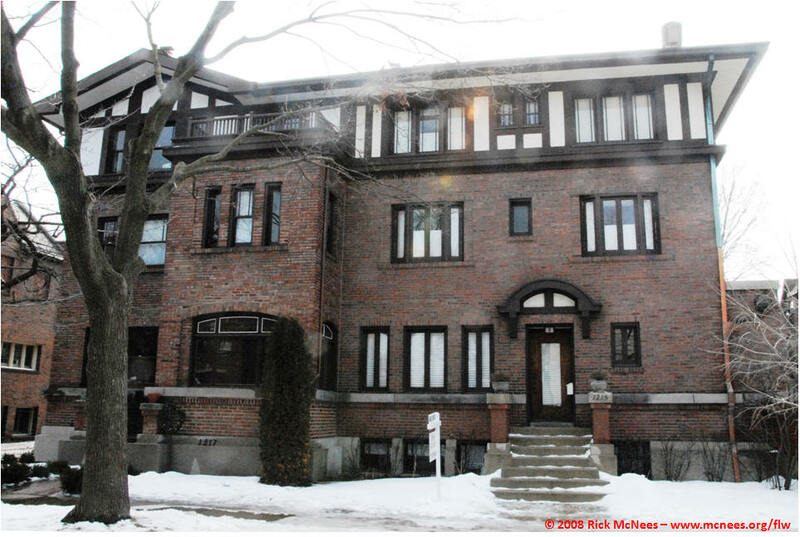 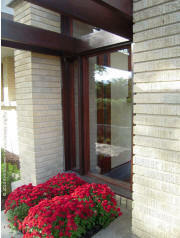 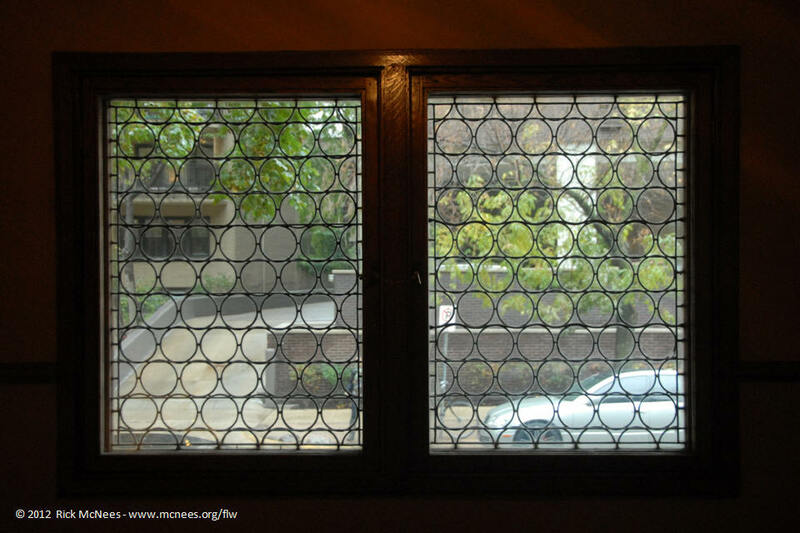 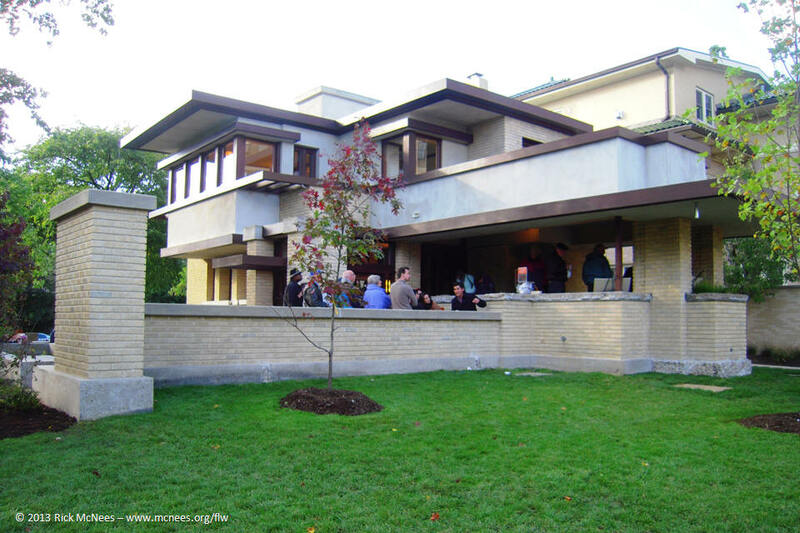 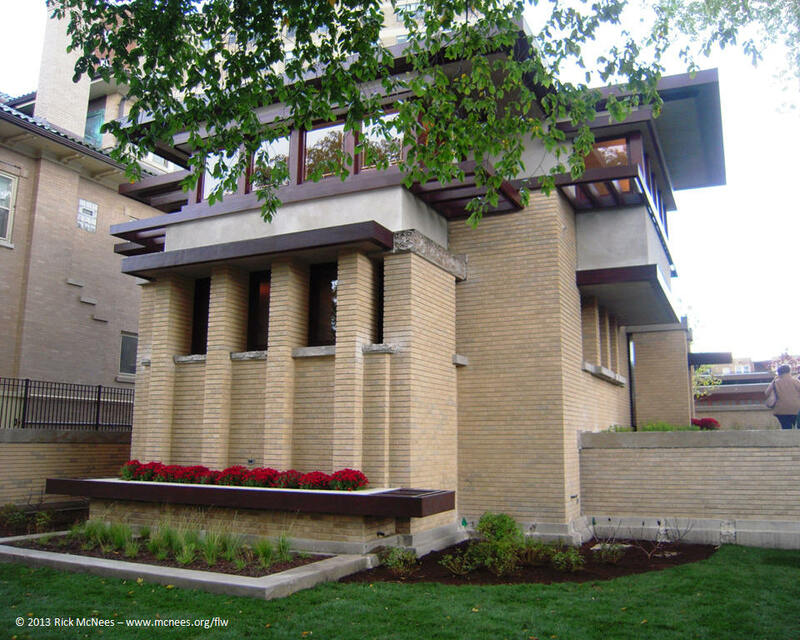 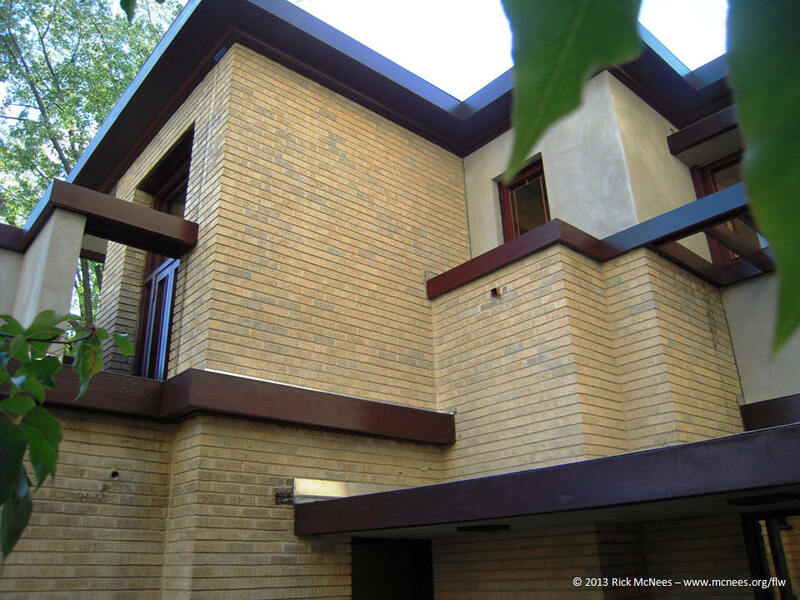 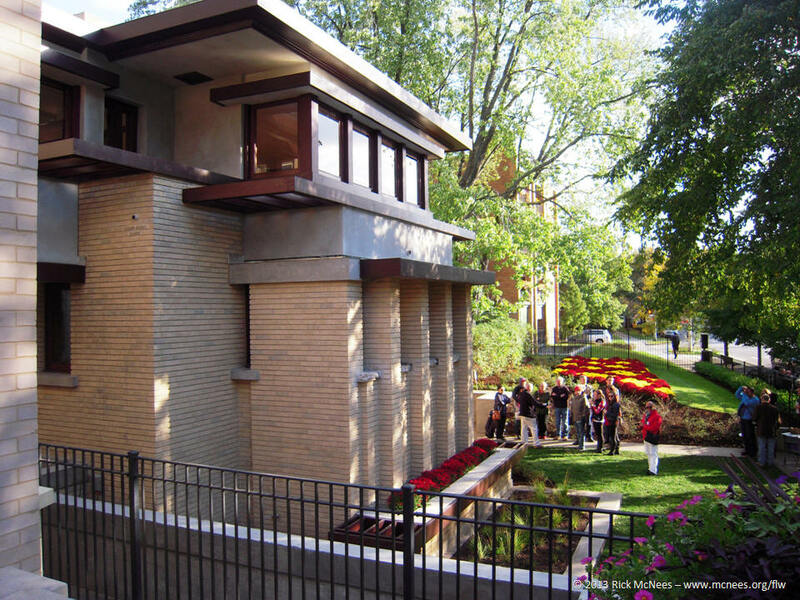 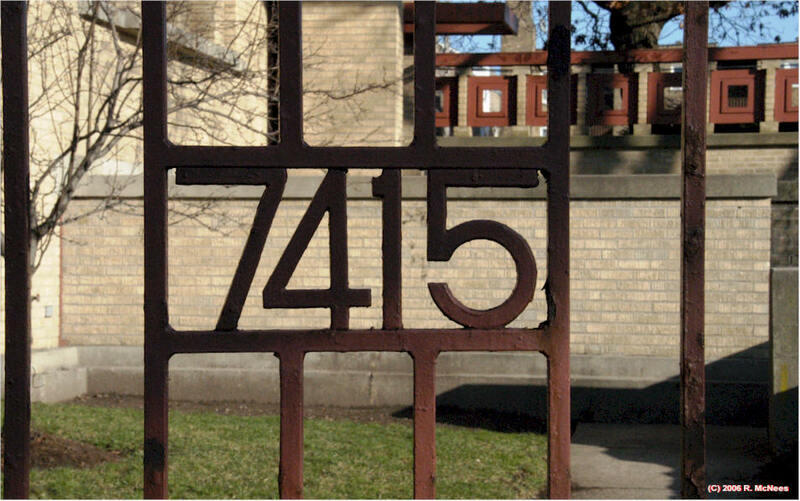 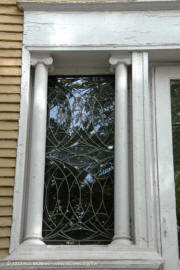 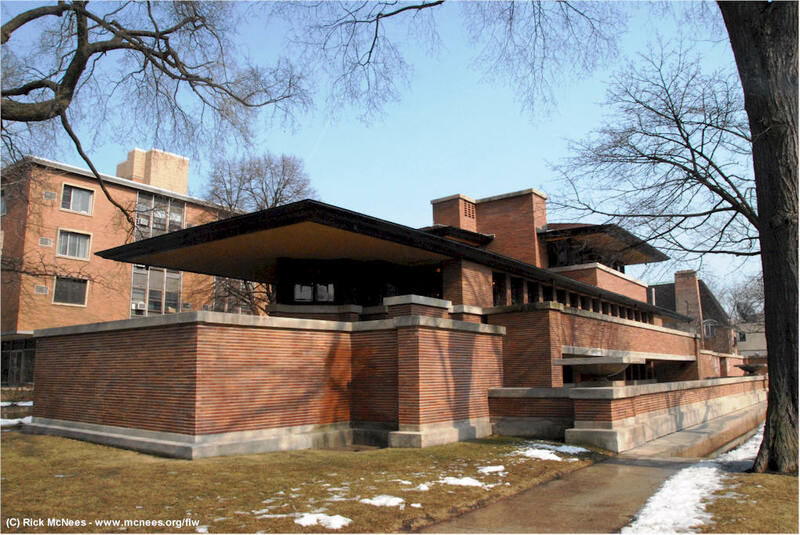 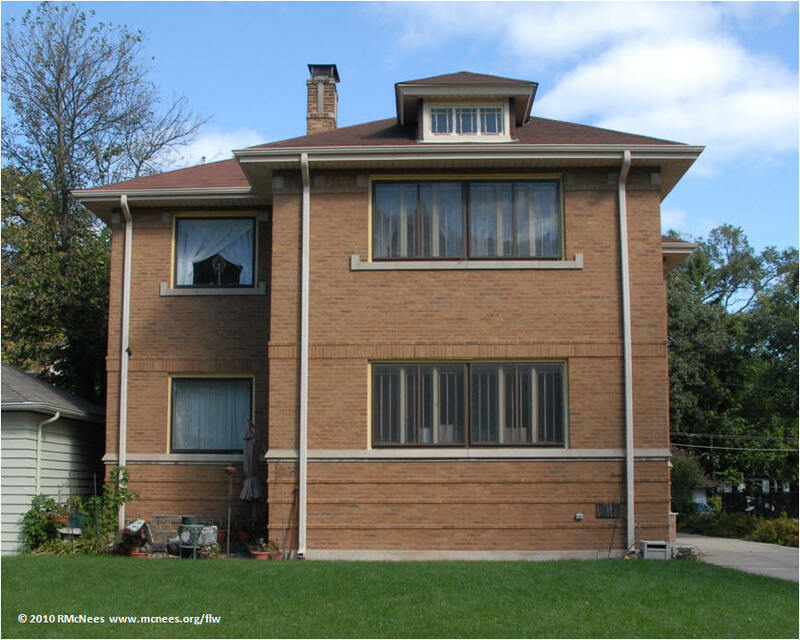 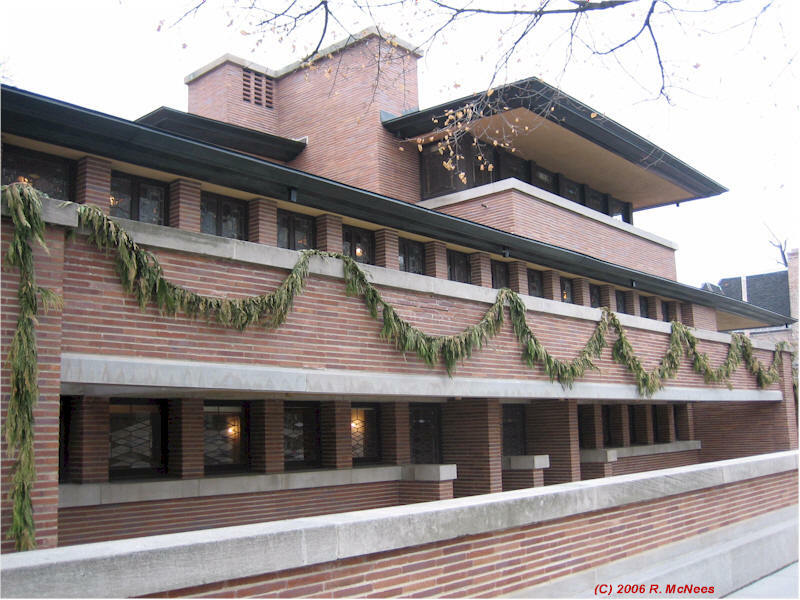 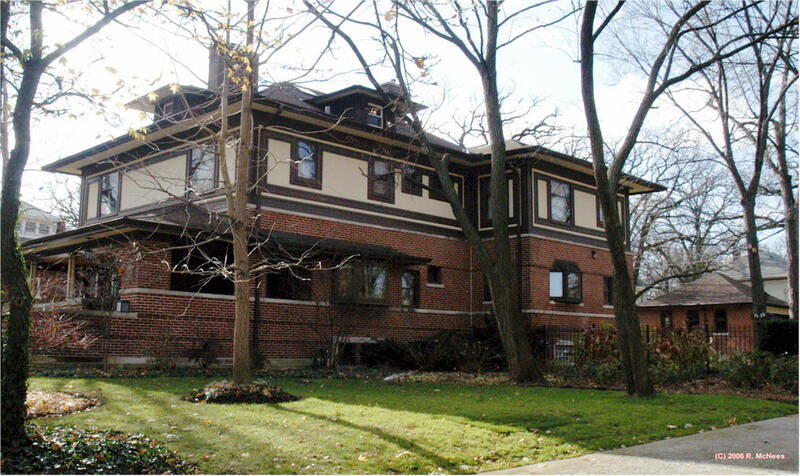 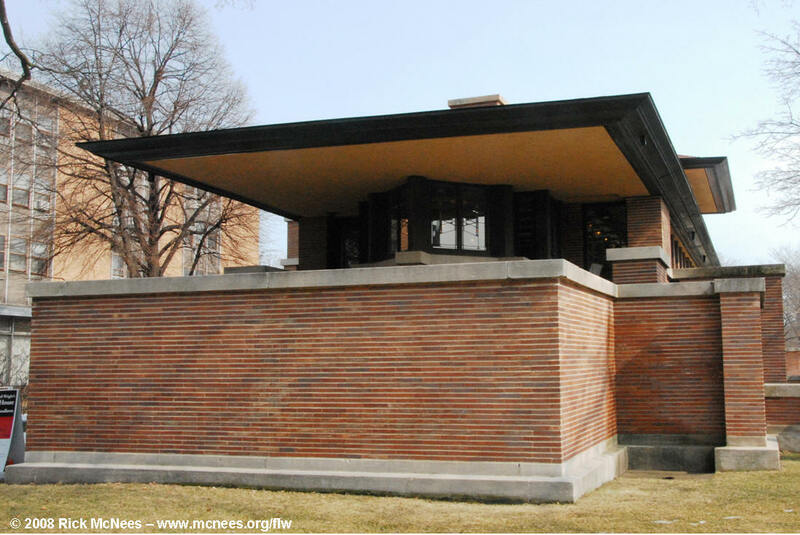 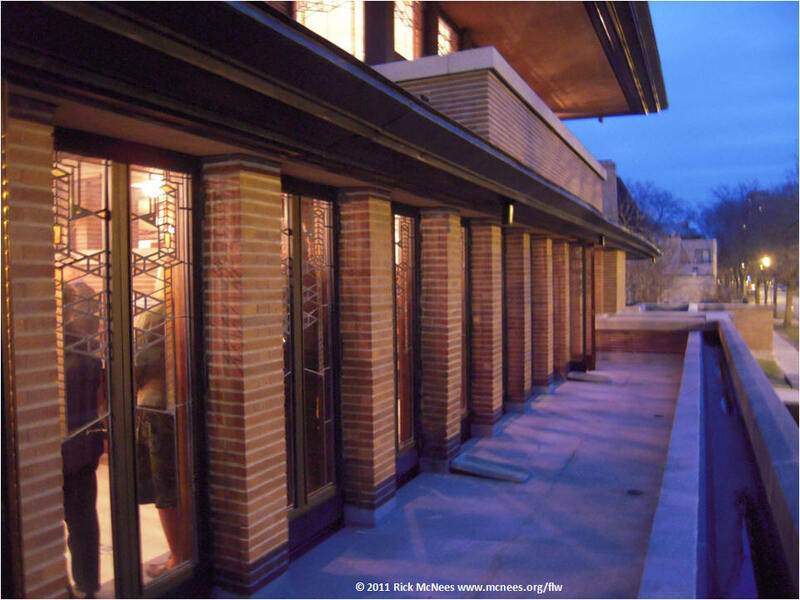 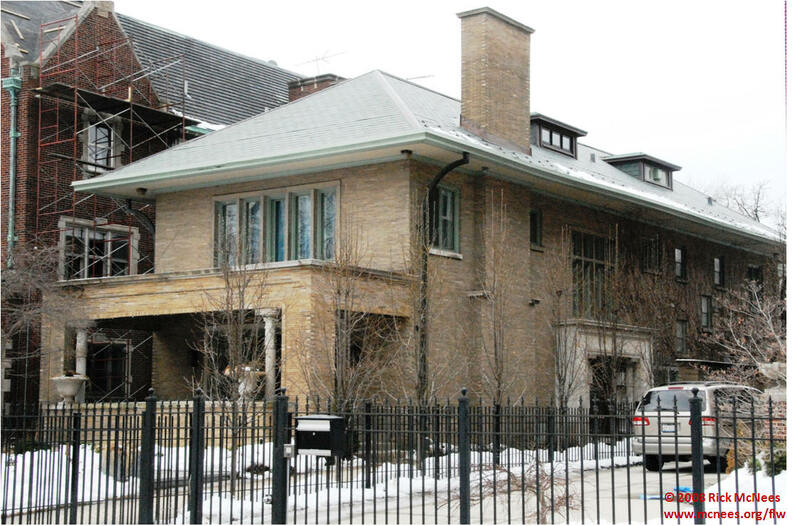 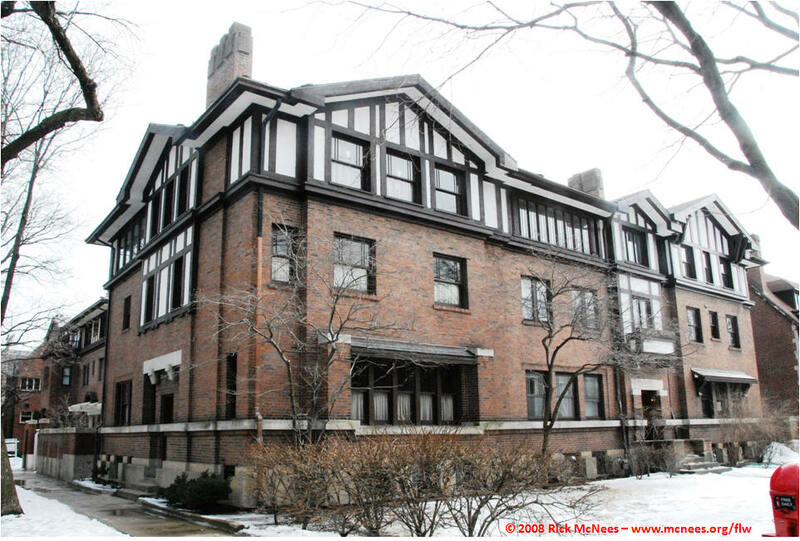 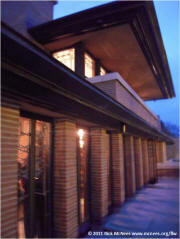 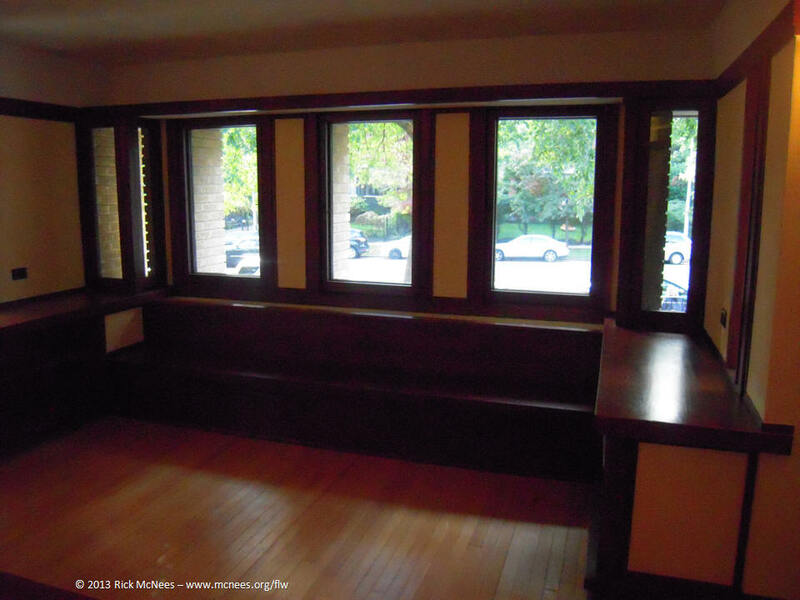 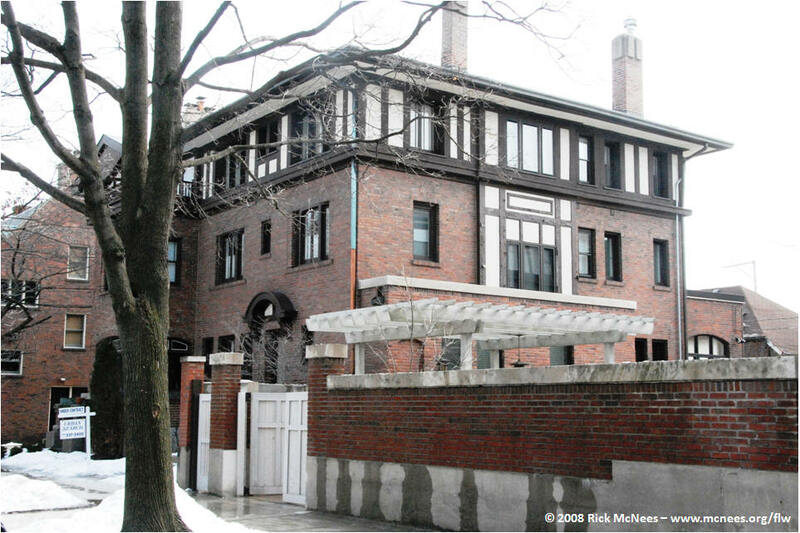 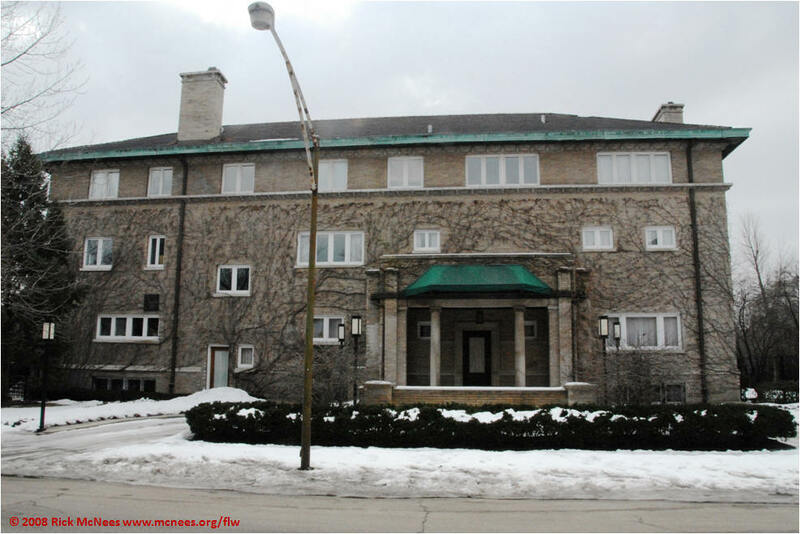 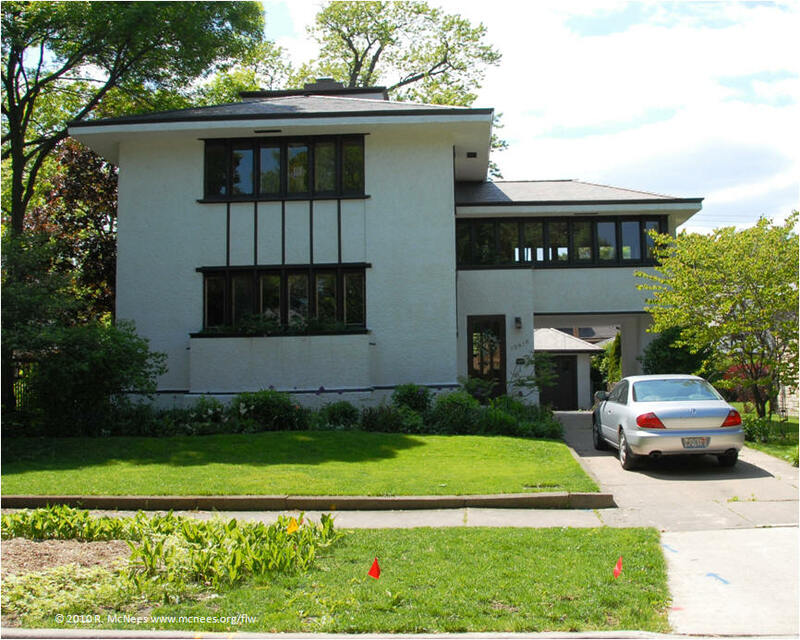 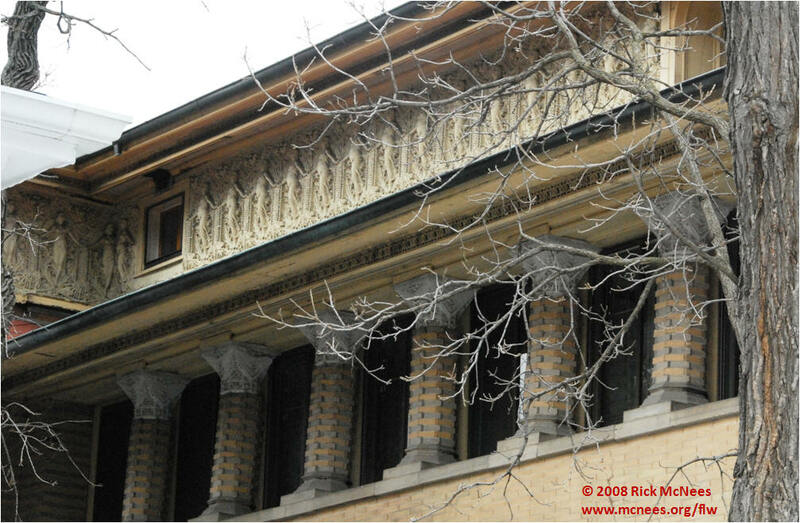 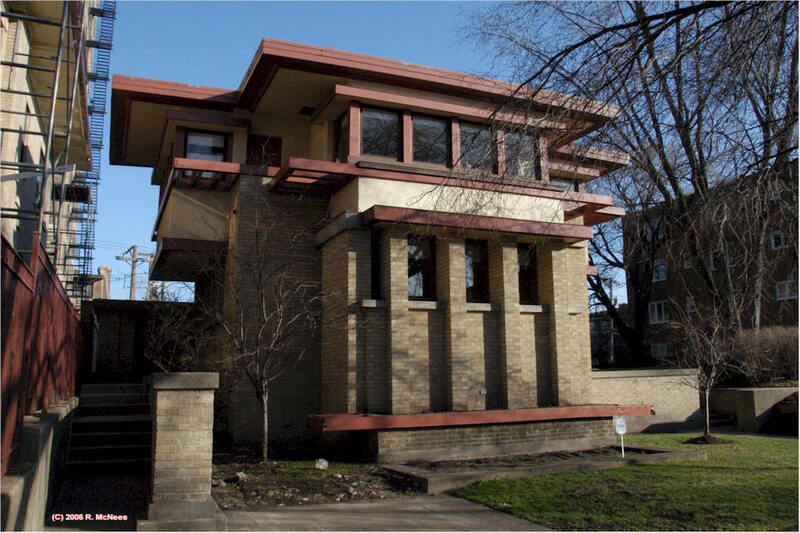 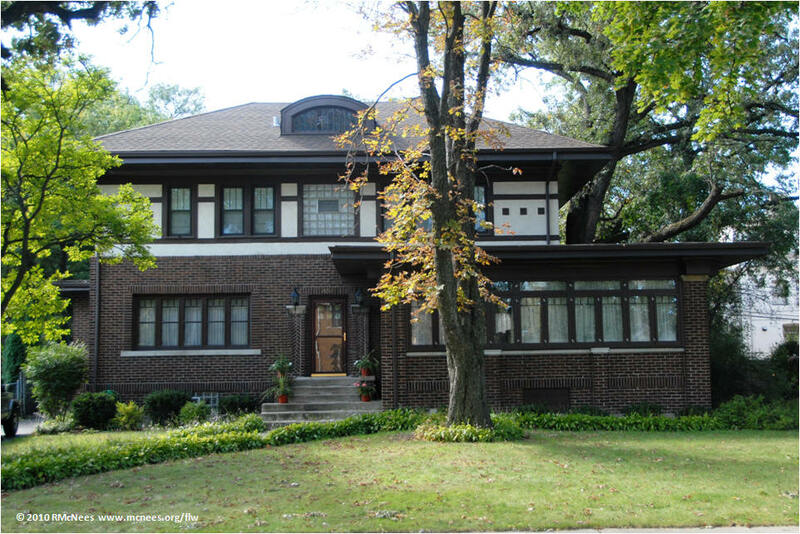 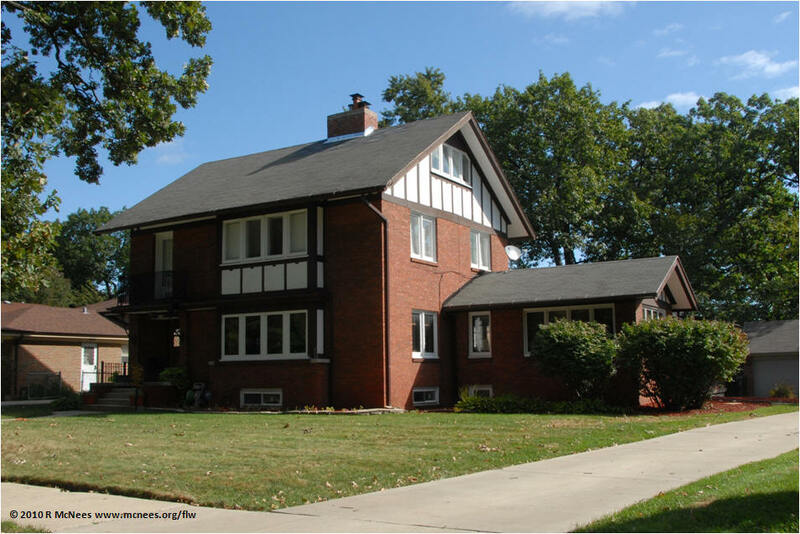 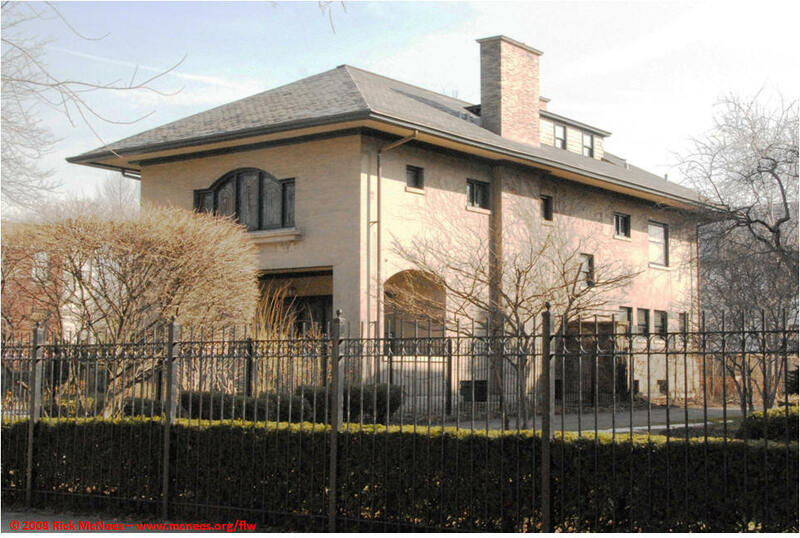 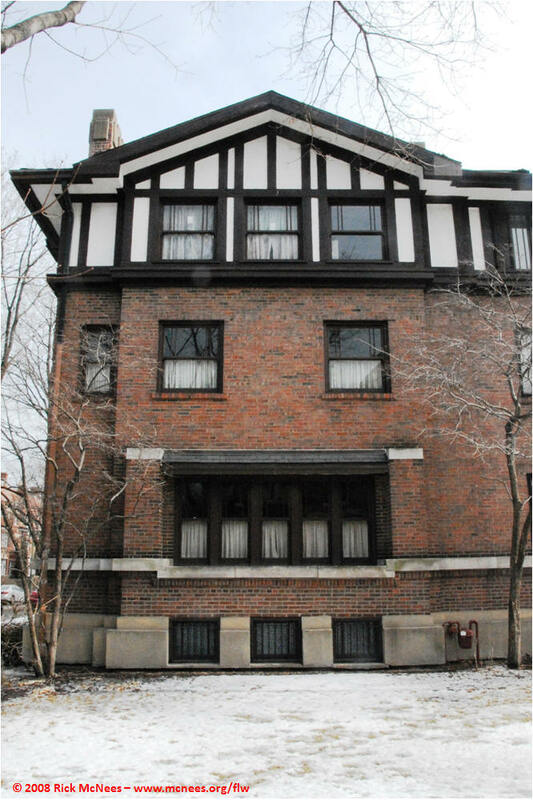 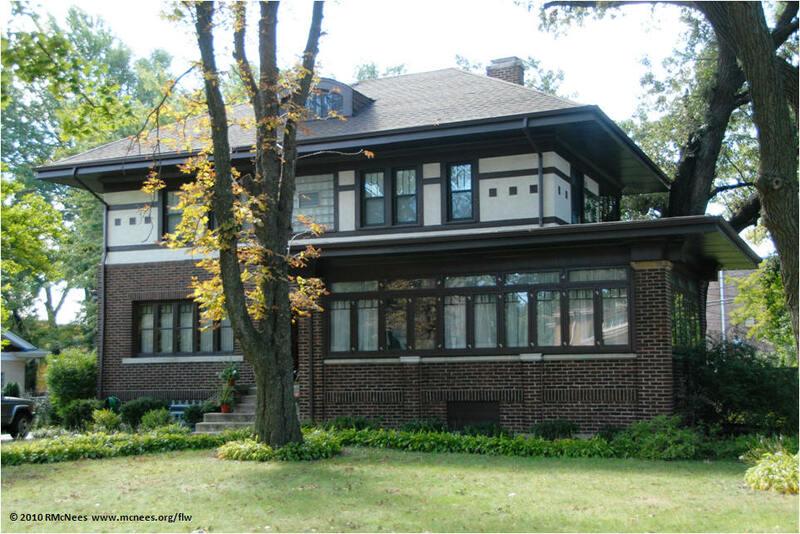 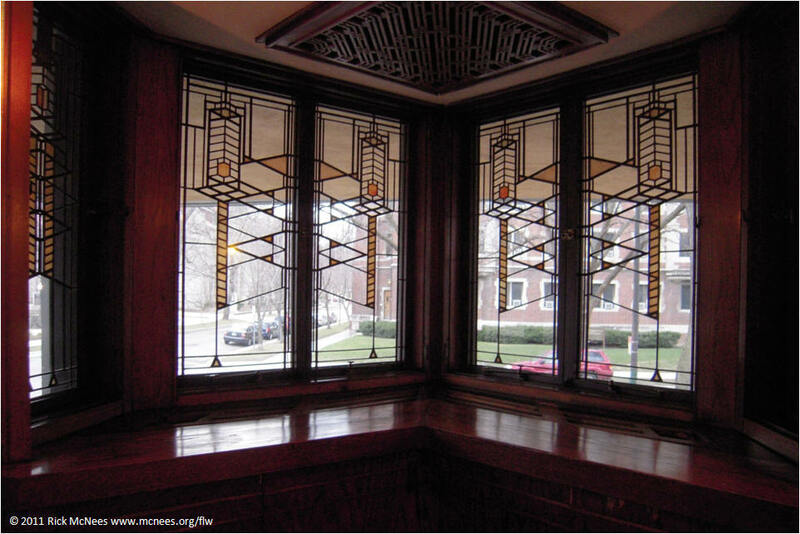 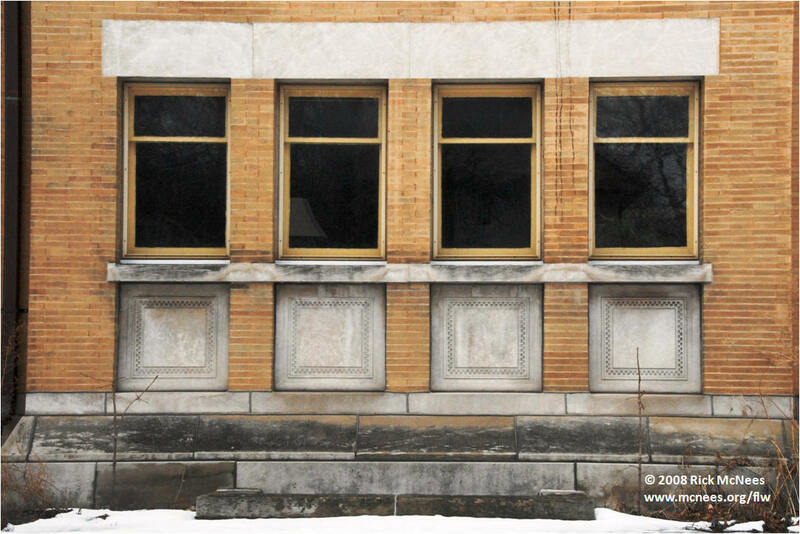 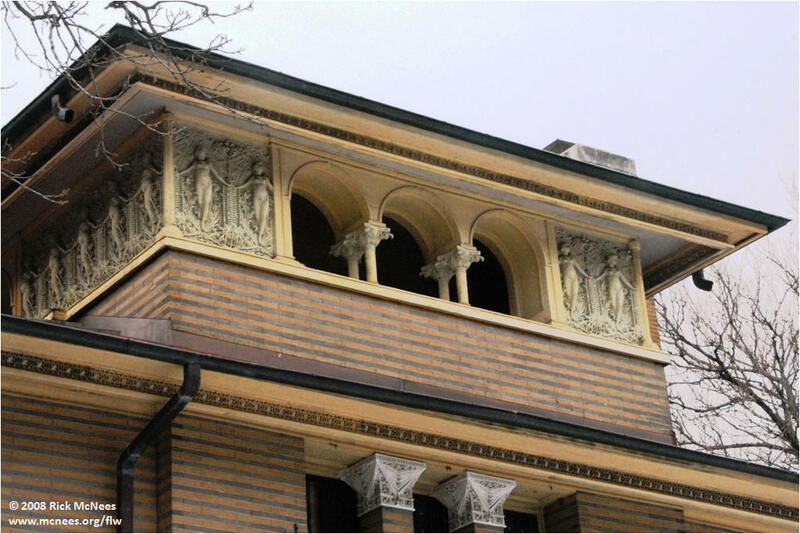 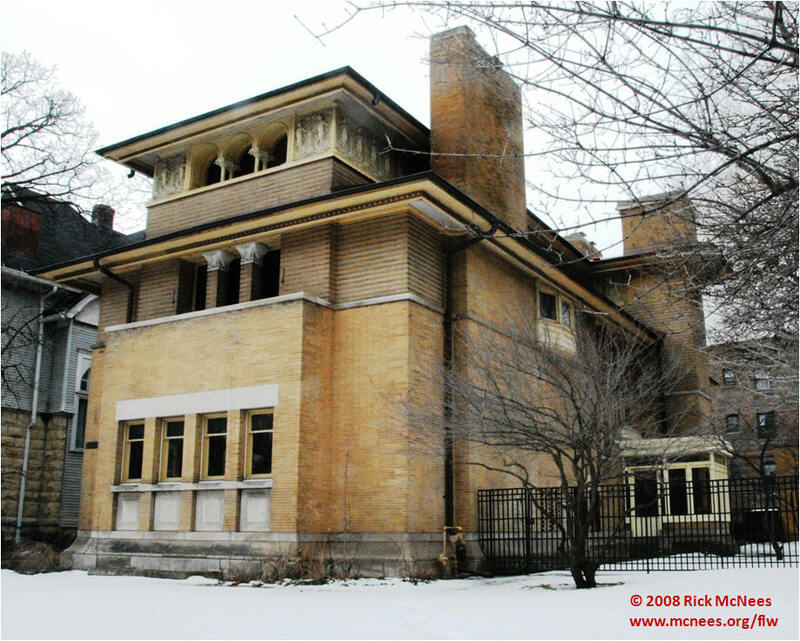 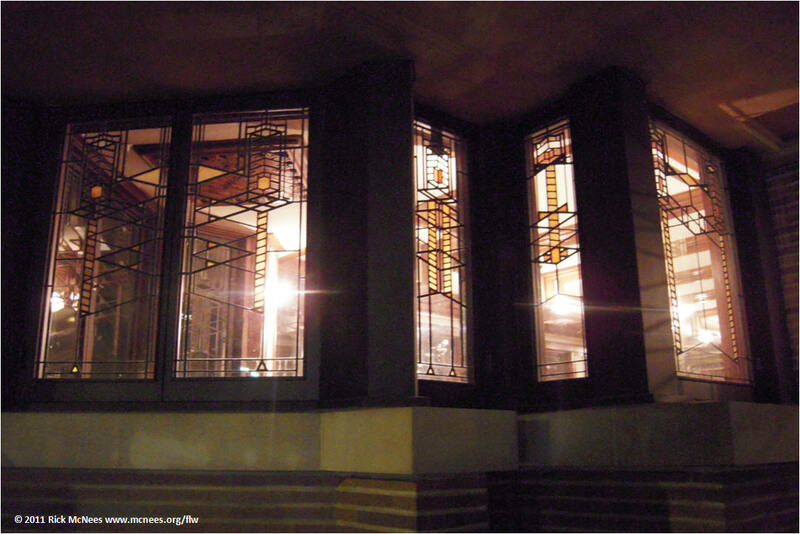 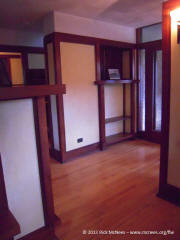 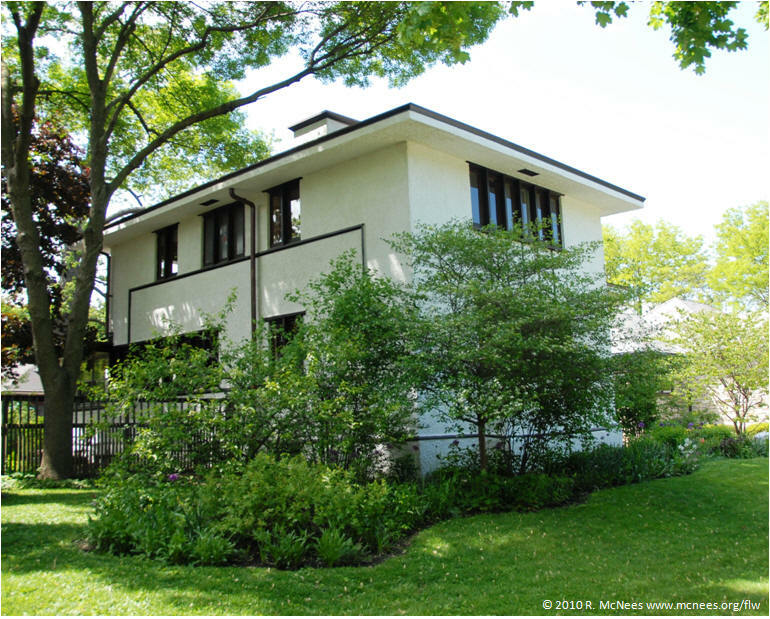 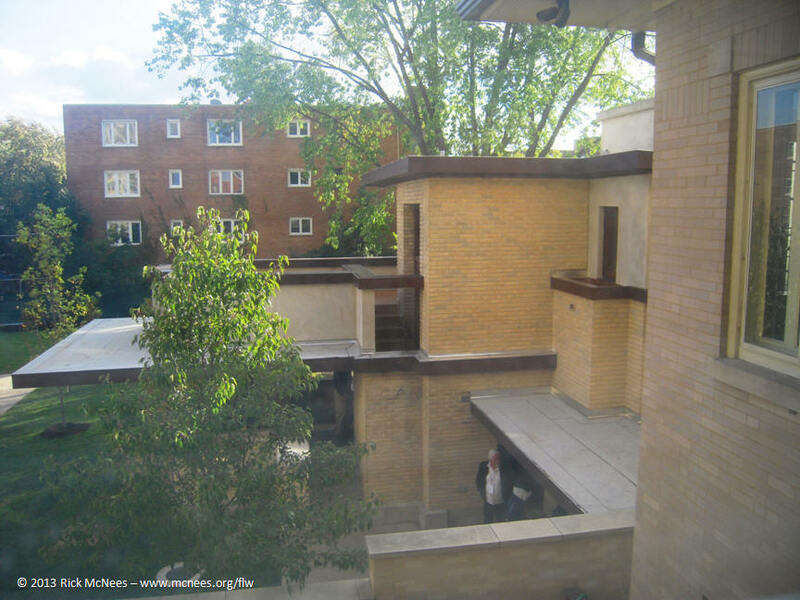 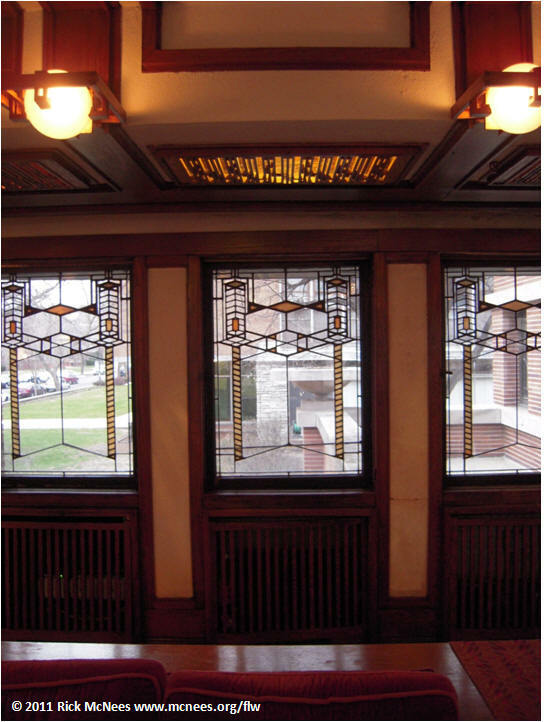 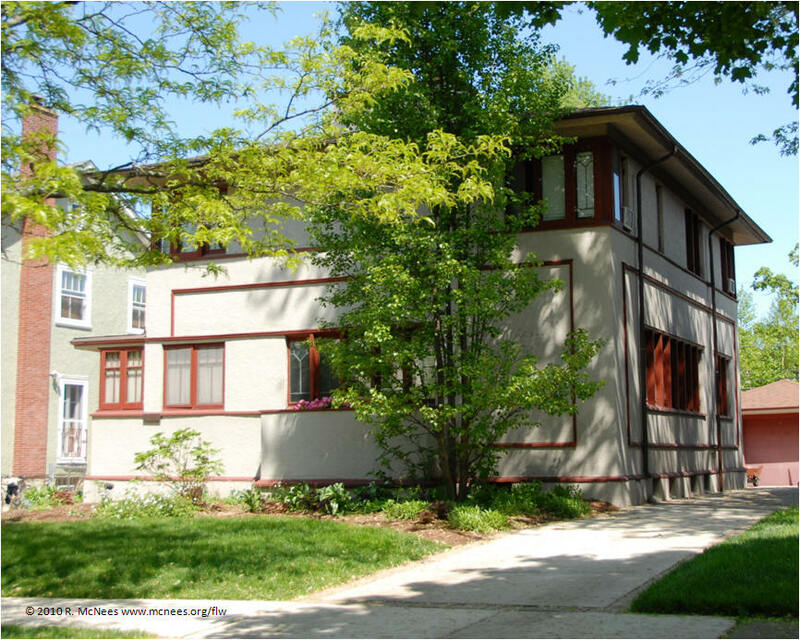 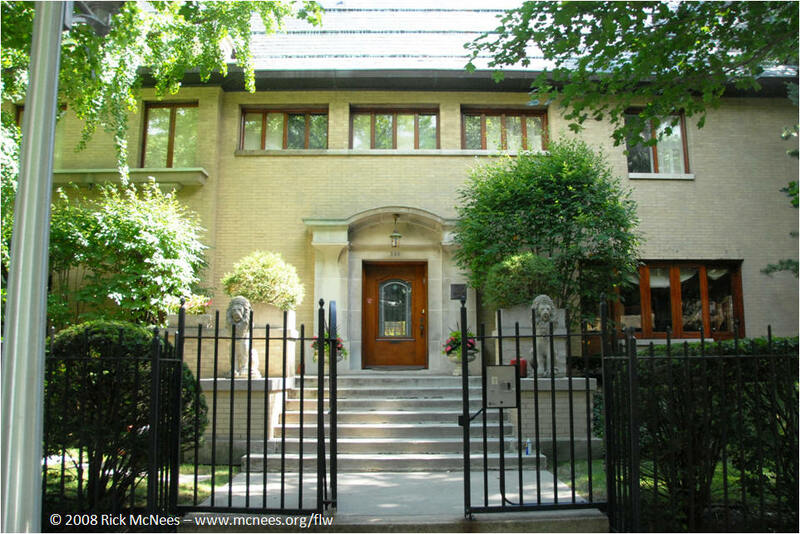 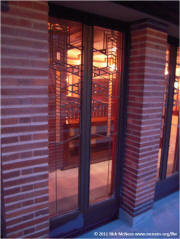 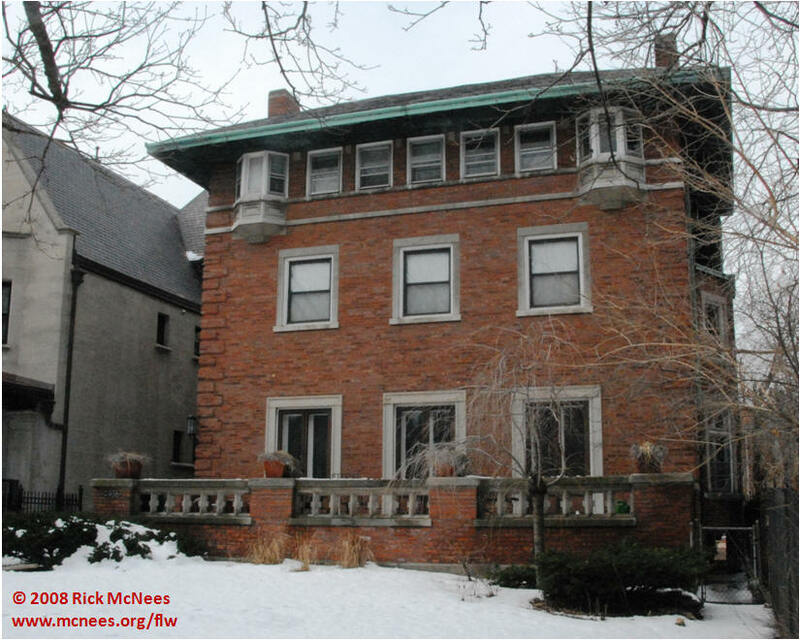 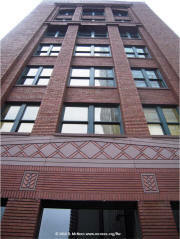 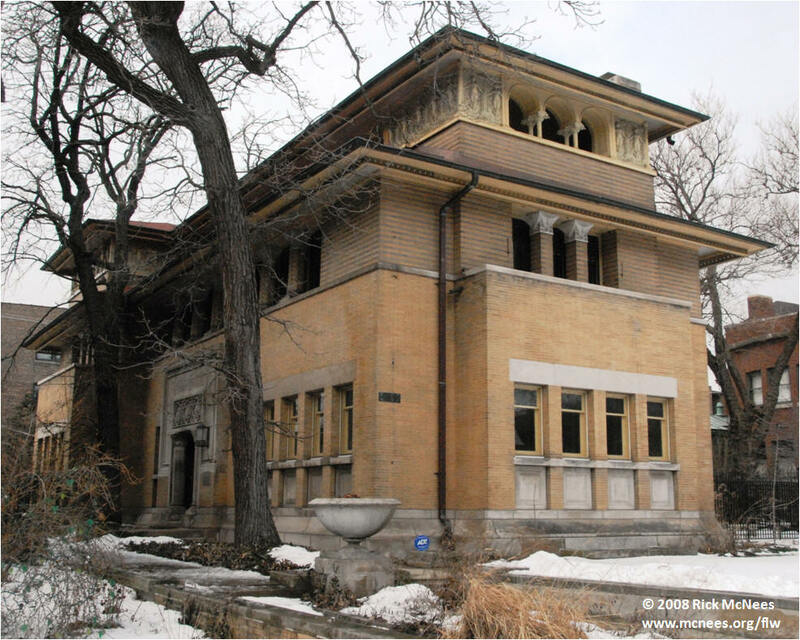 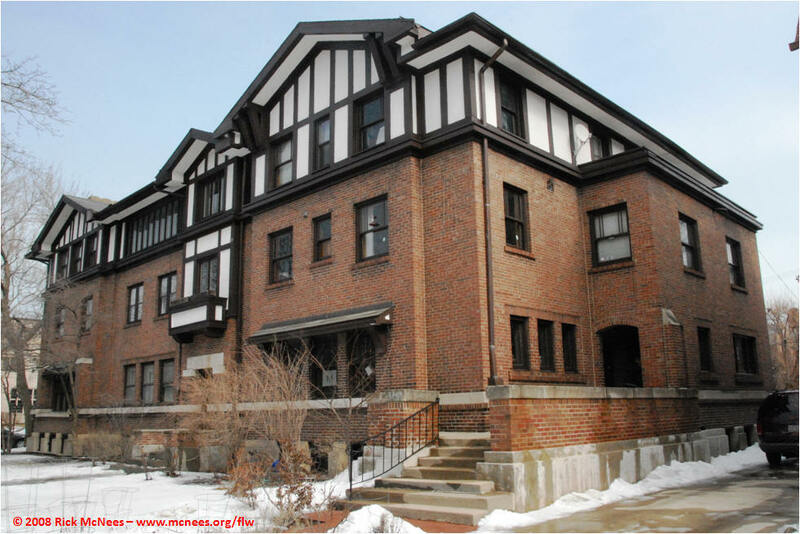 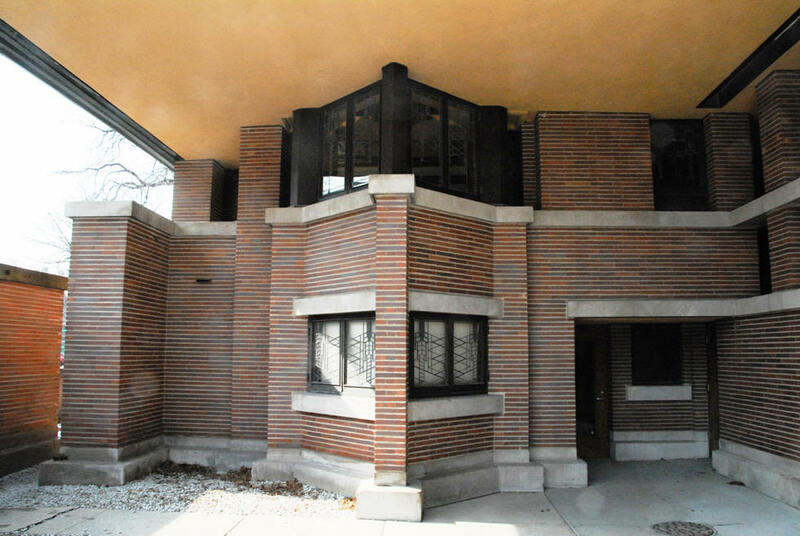 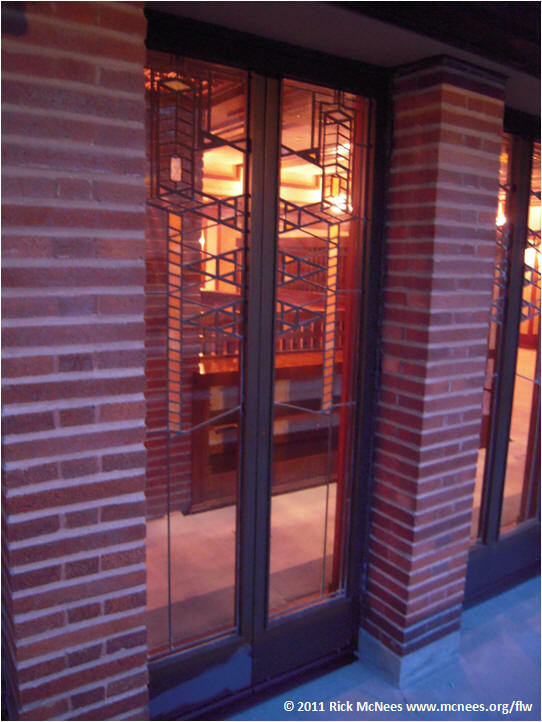 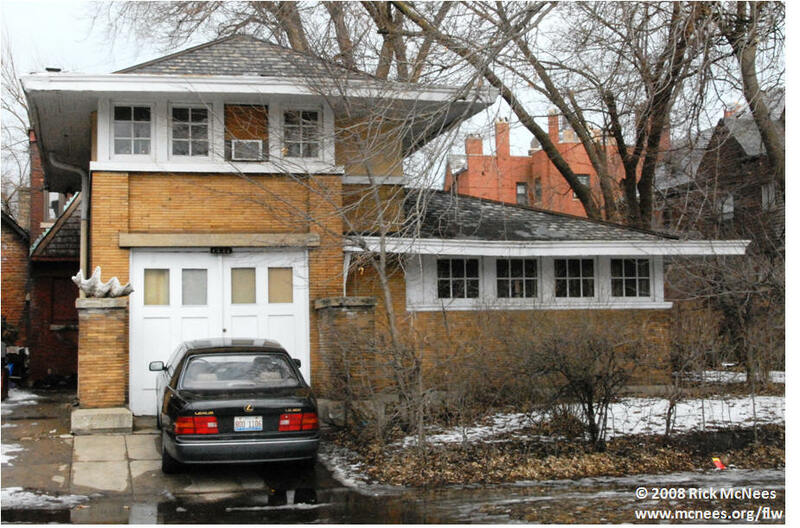 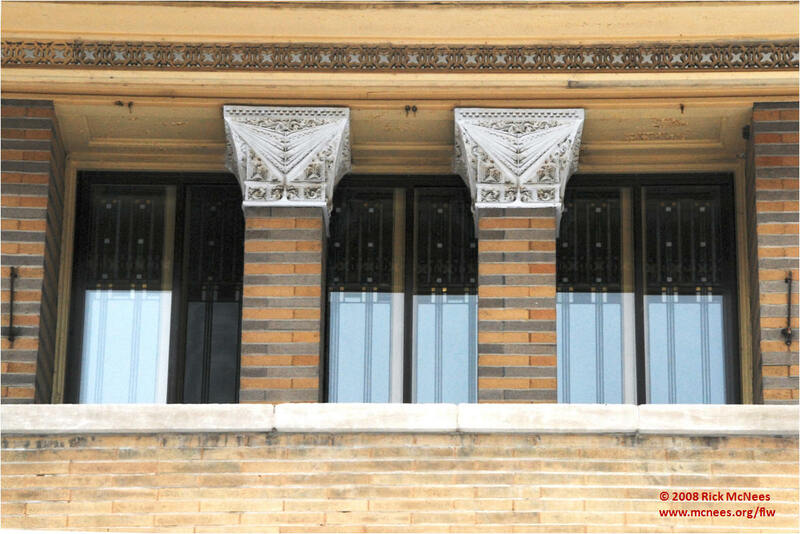 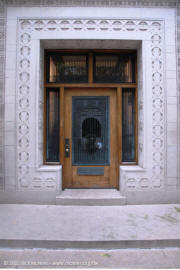 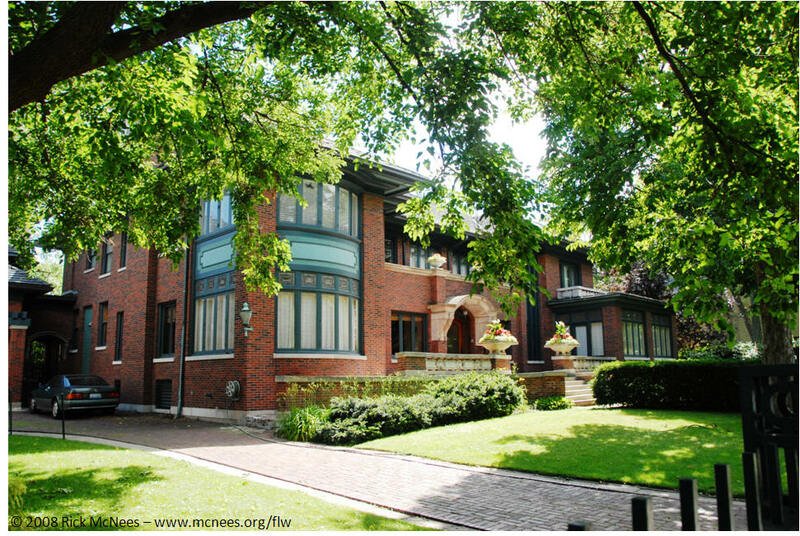 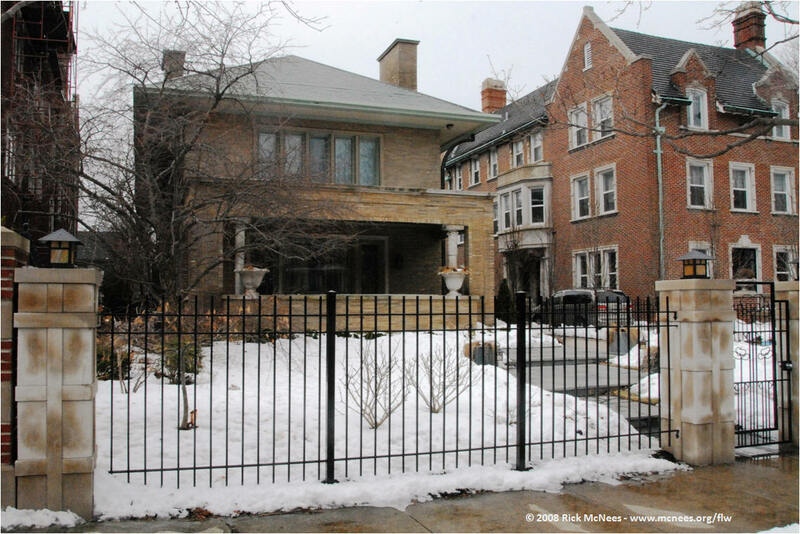 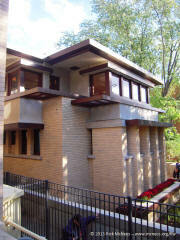 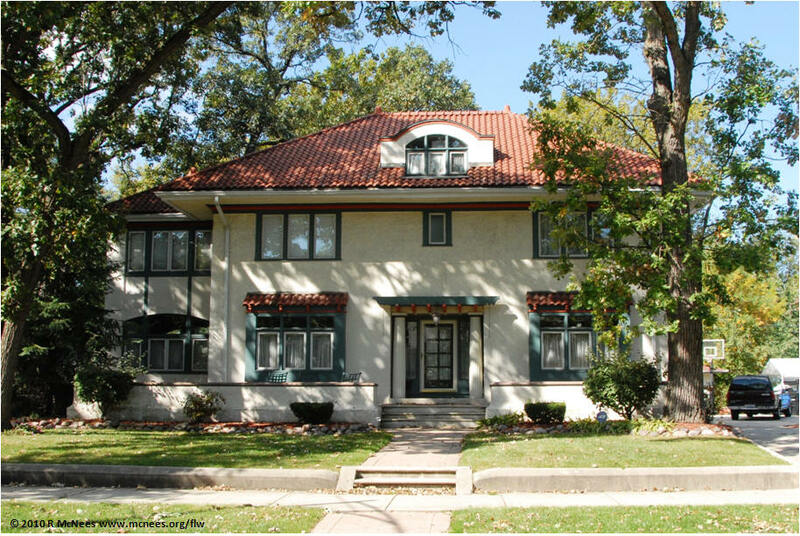 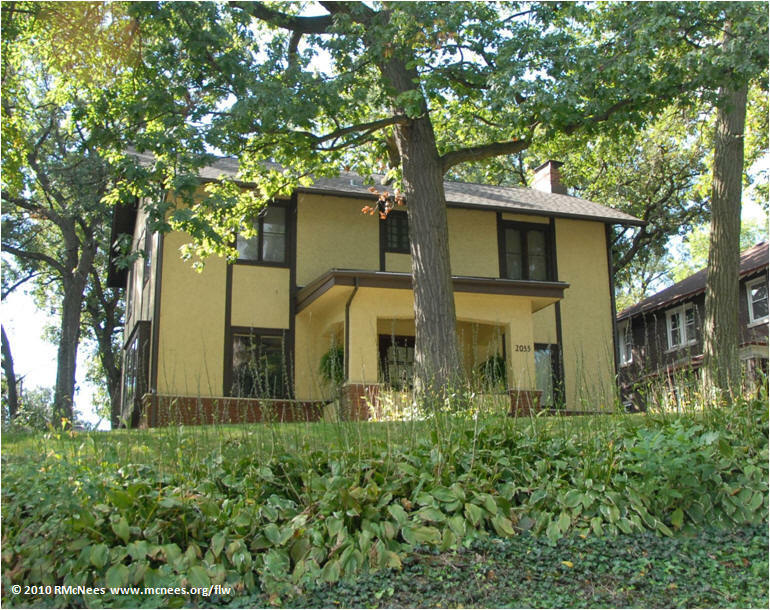 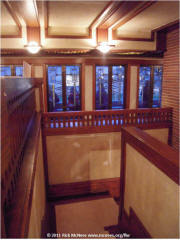 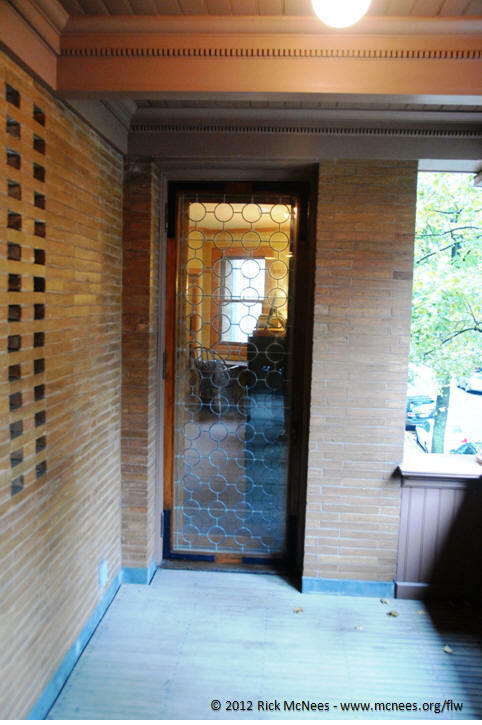 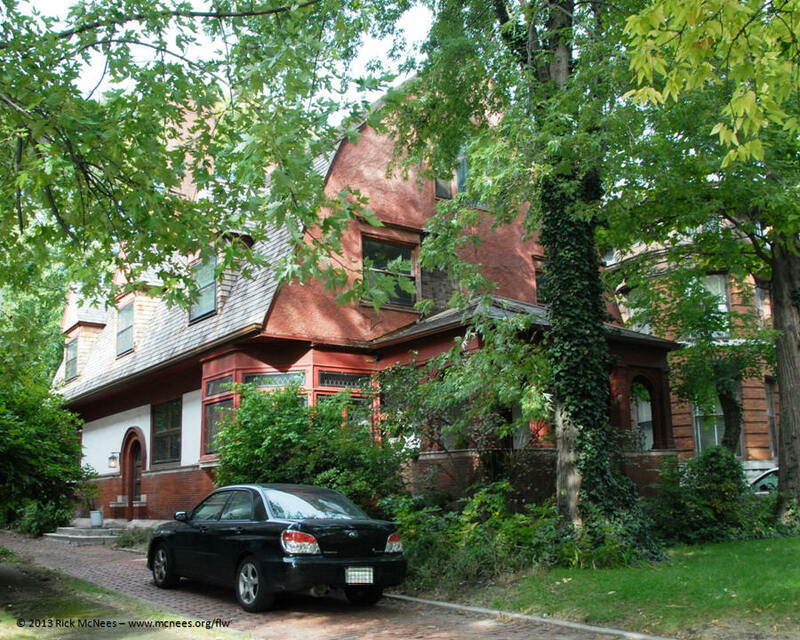 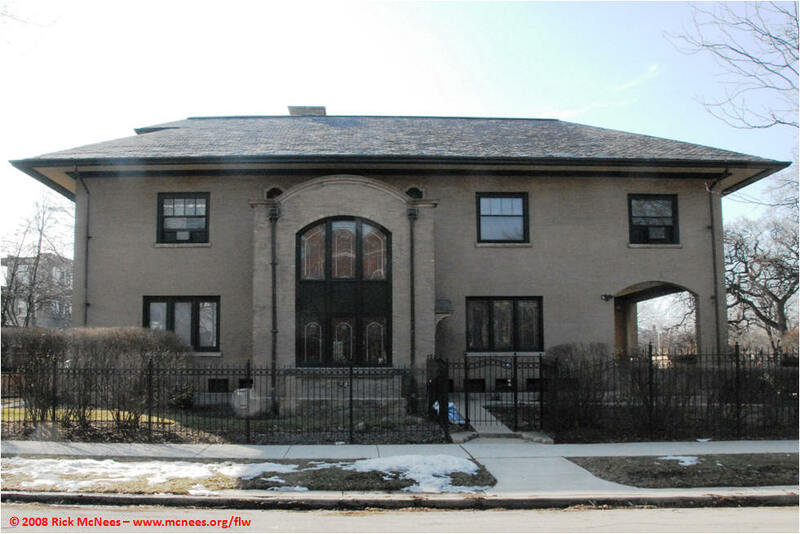 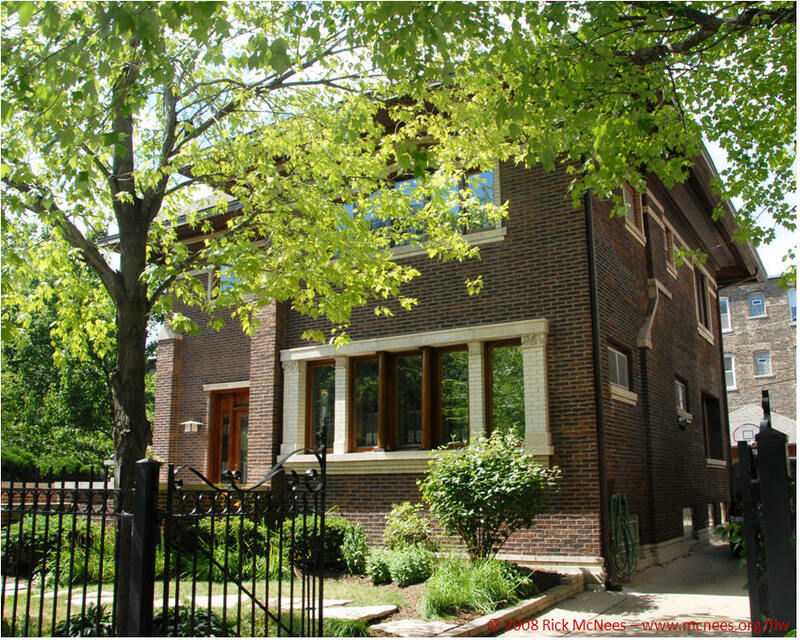 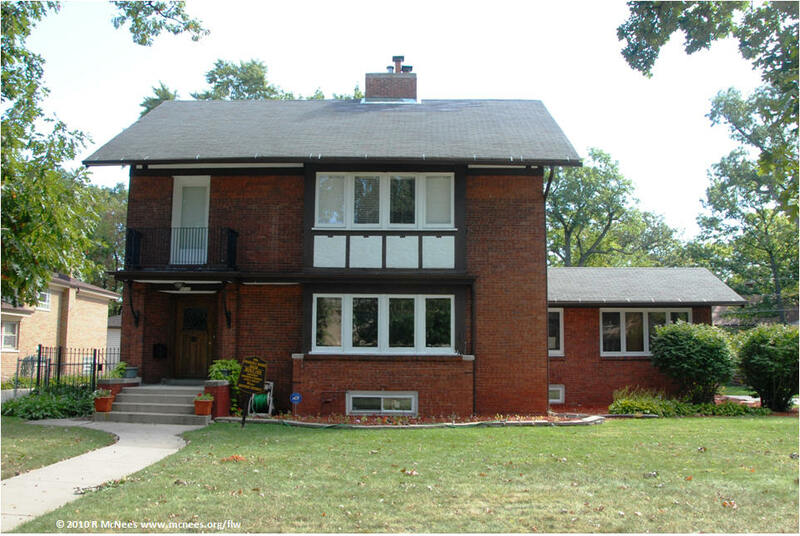 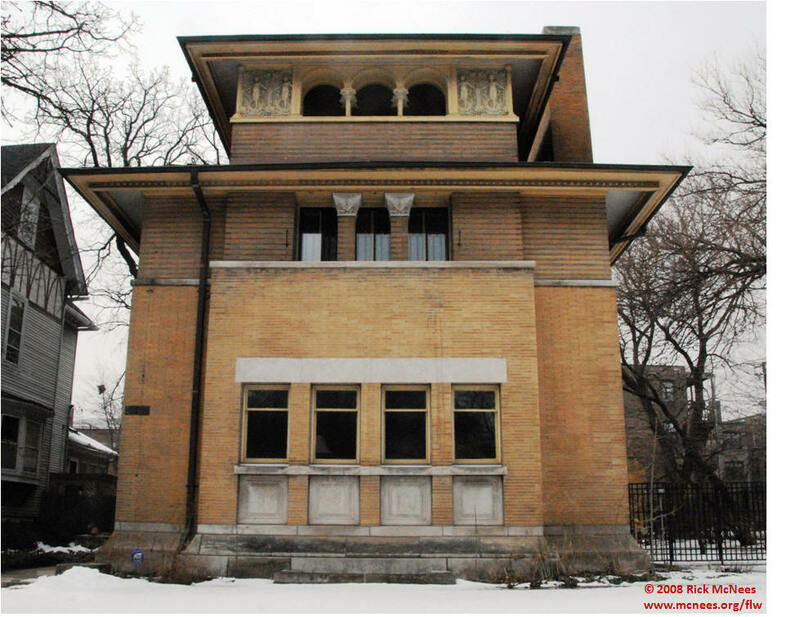 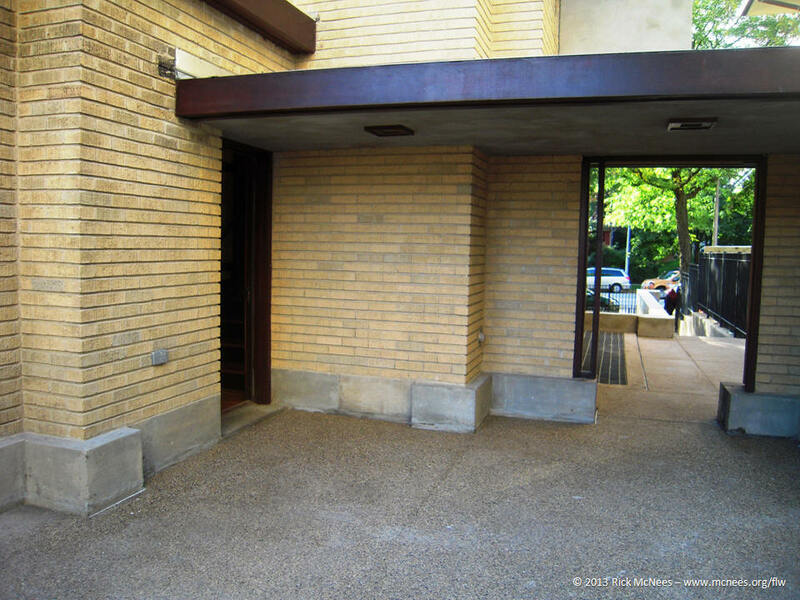 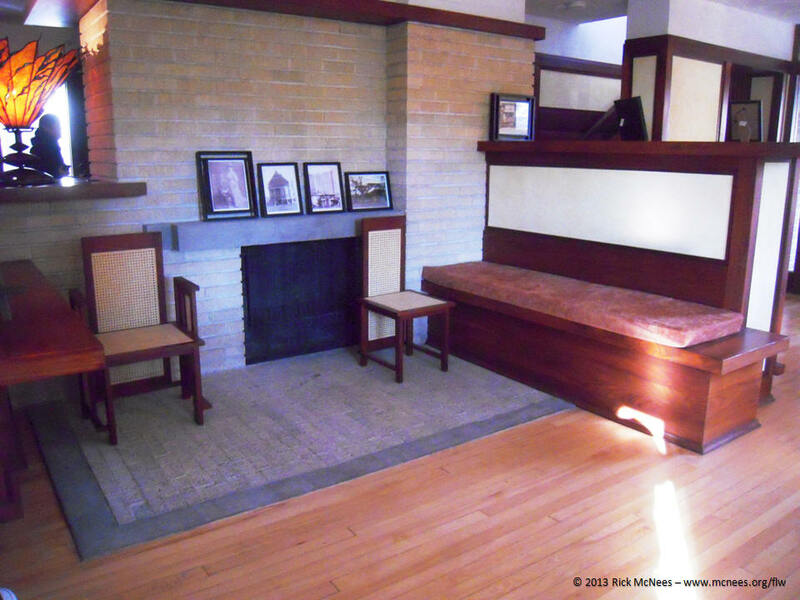 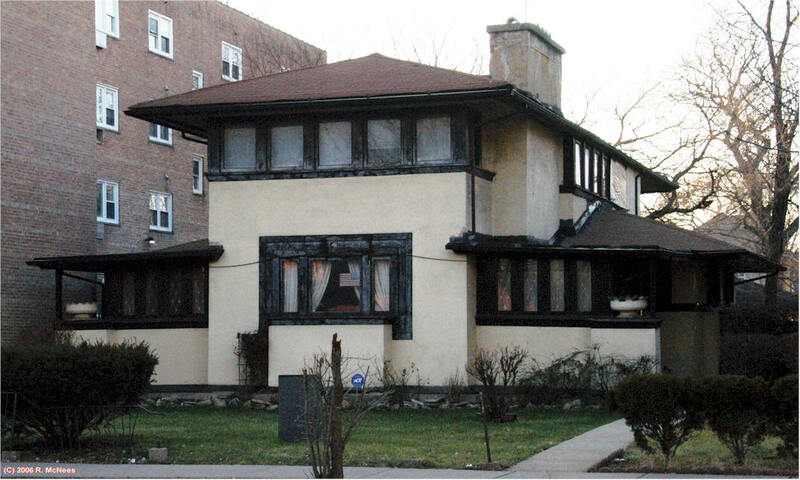 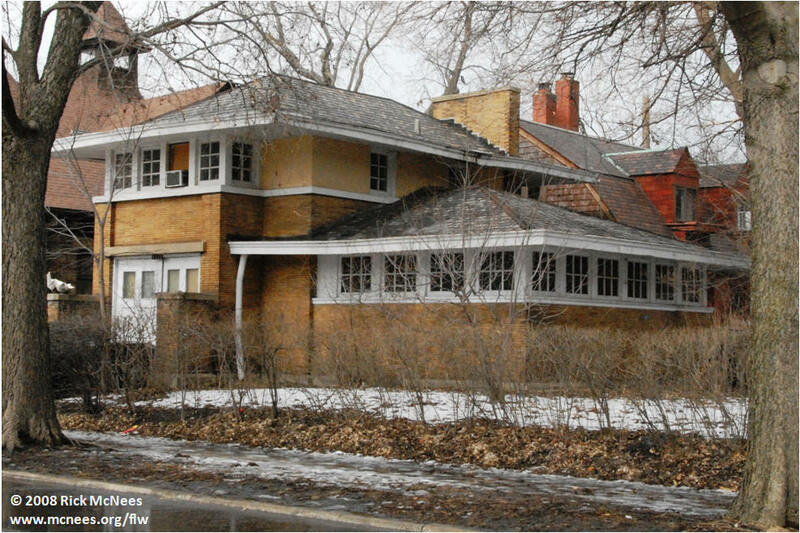 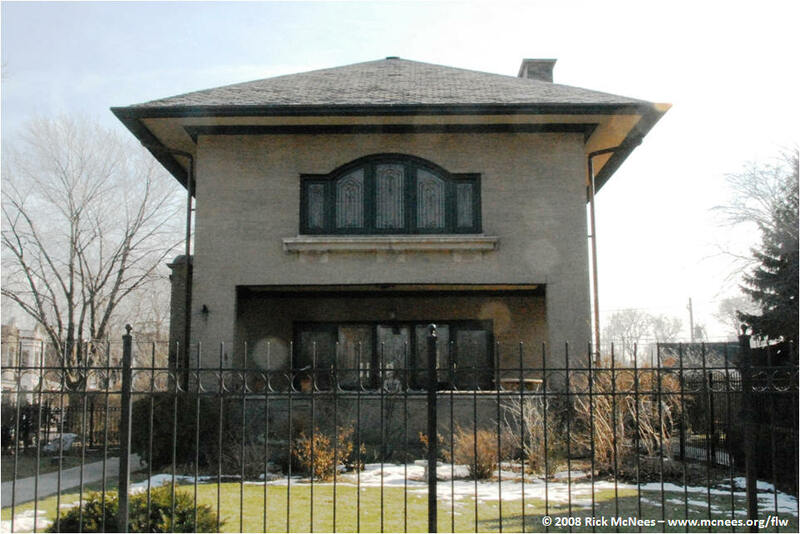 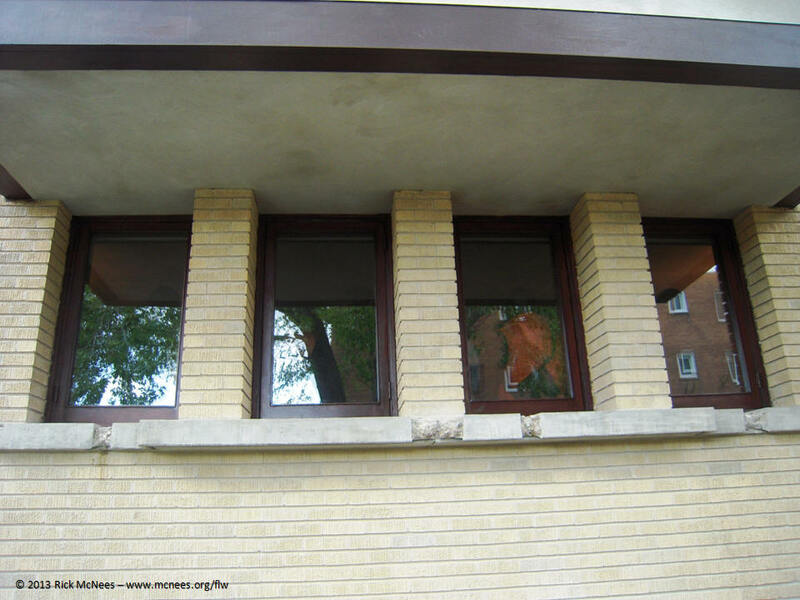 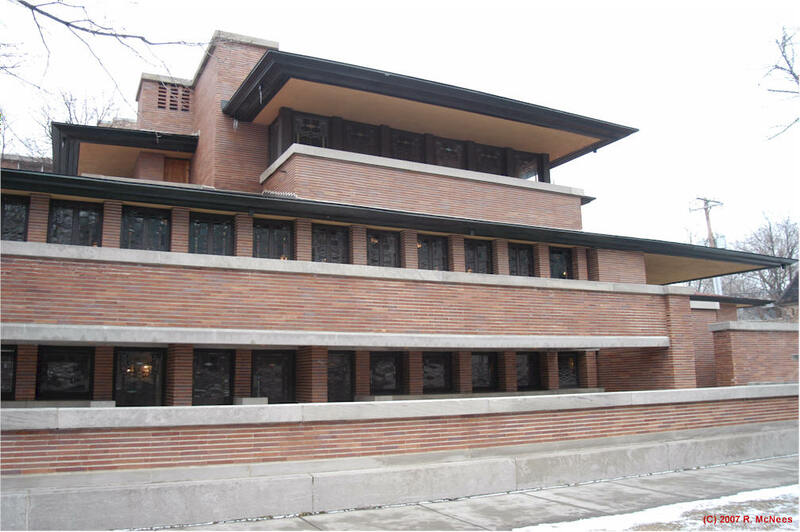 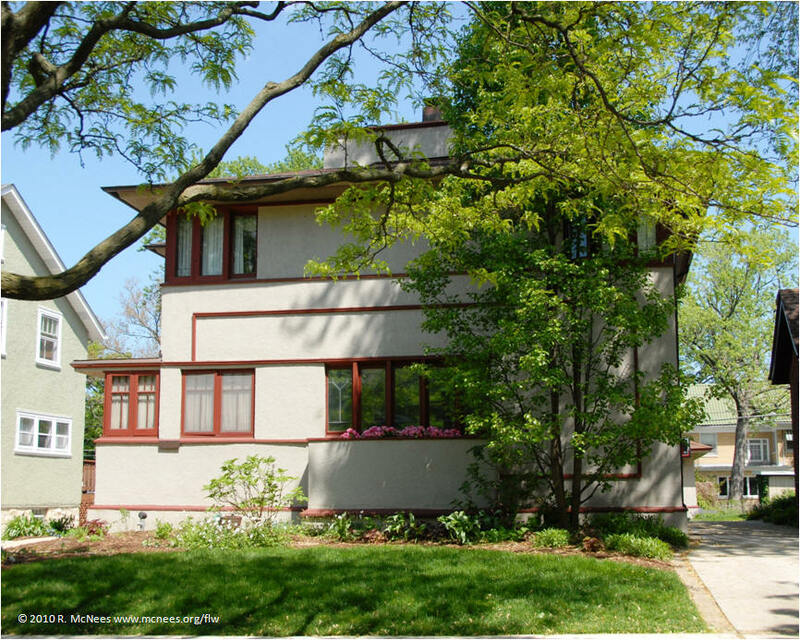 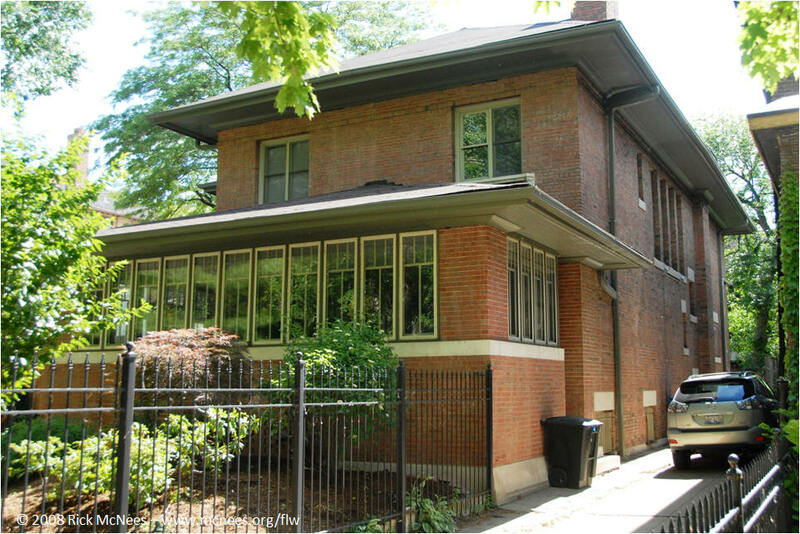 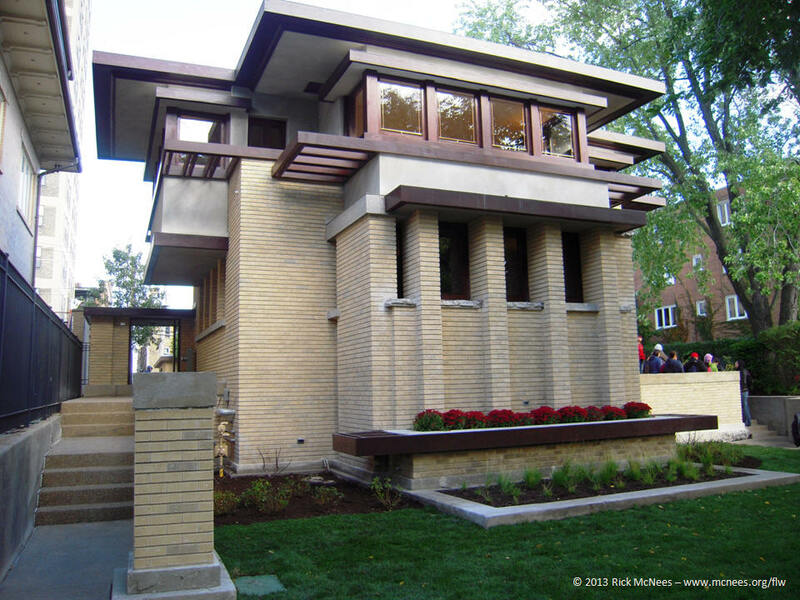 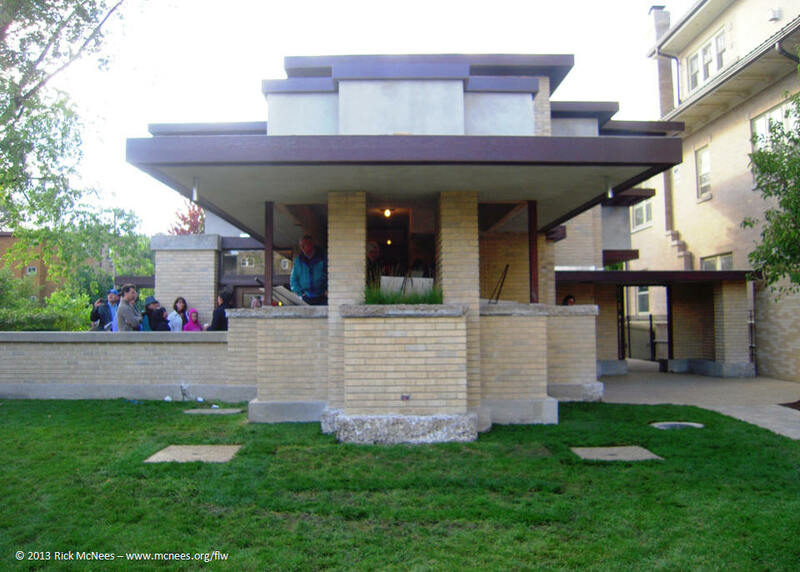 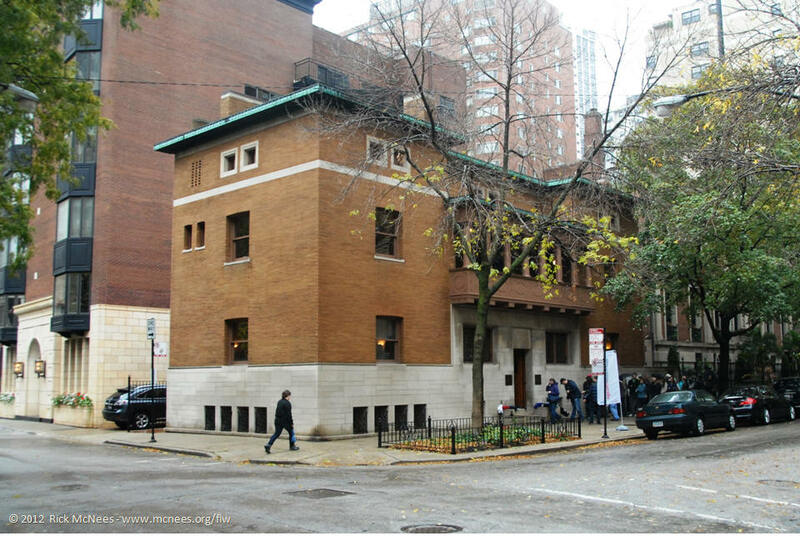 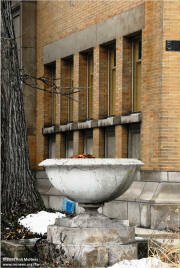 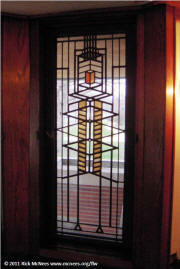 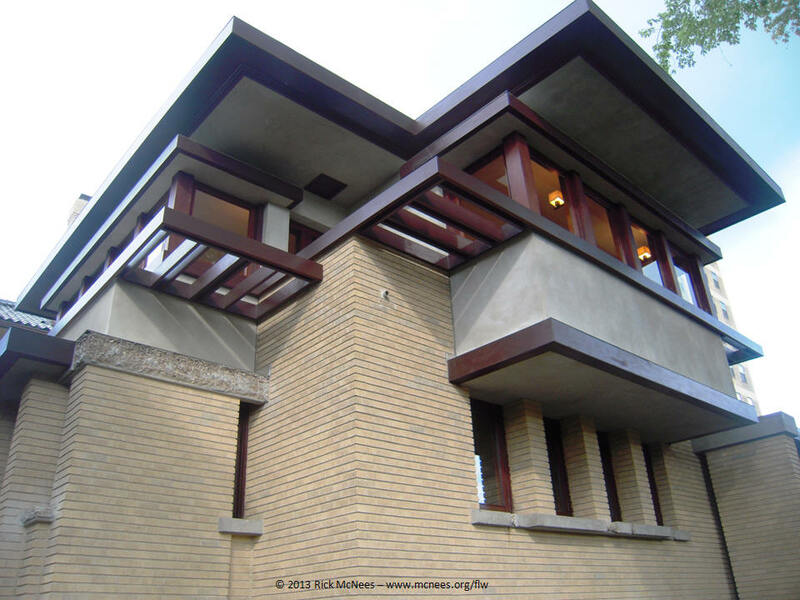 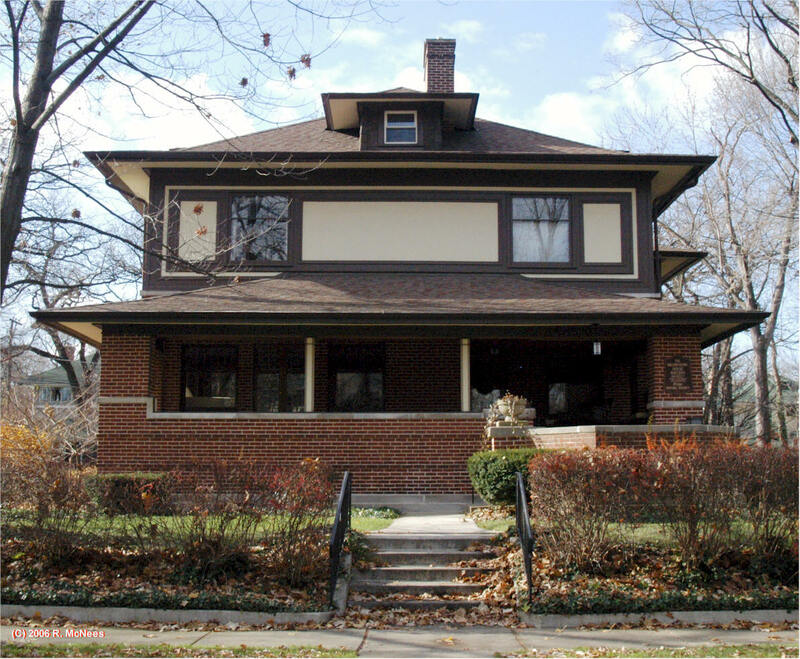 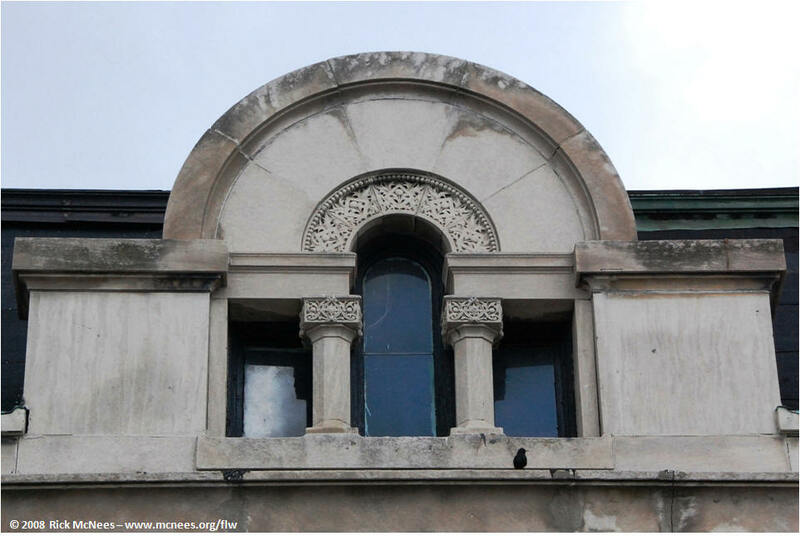 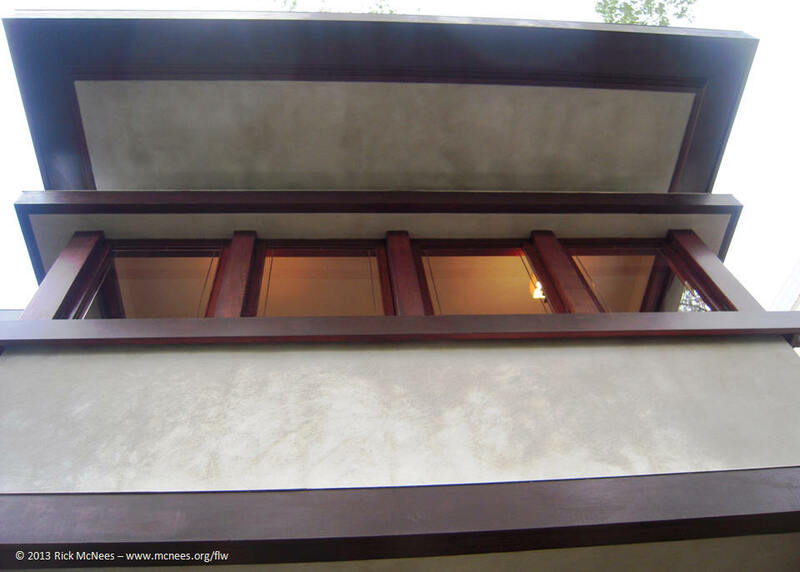 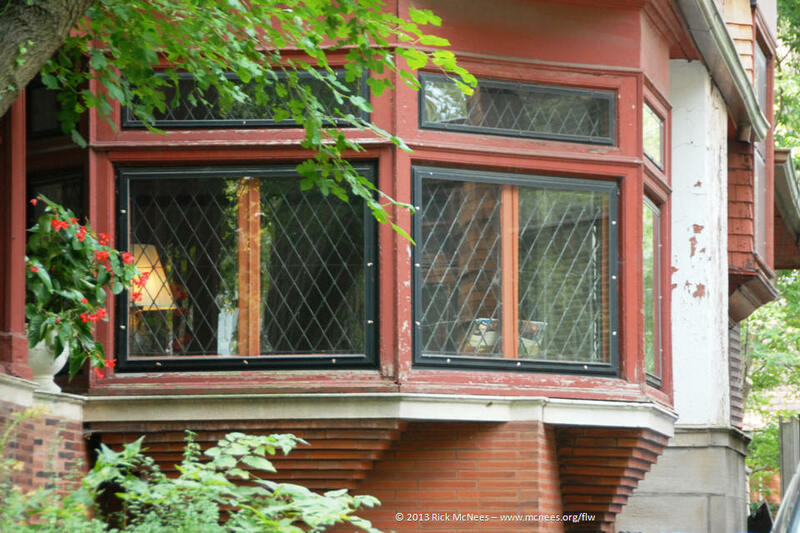 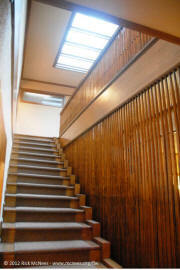 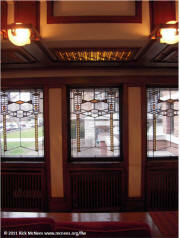 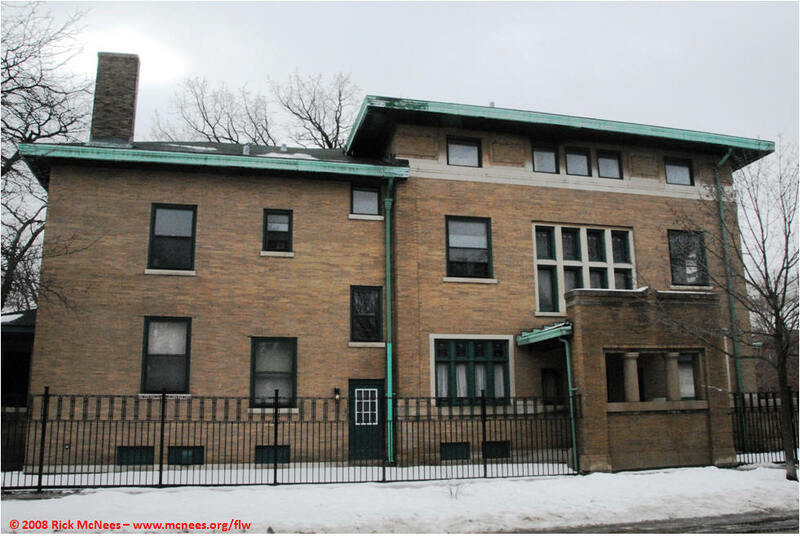 See more Chicago Prairie architecture on Robie House and Chicago South Shore pages. 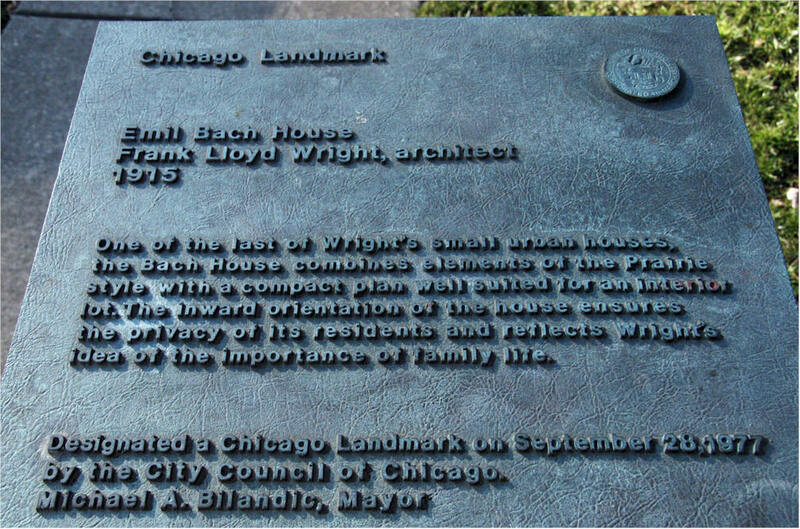 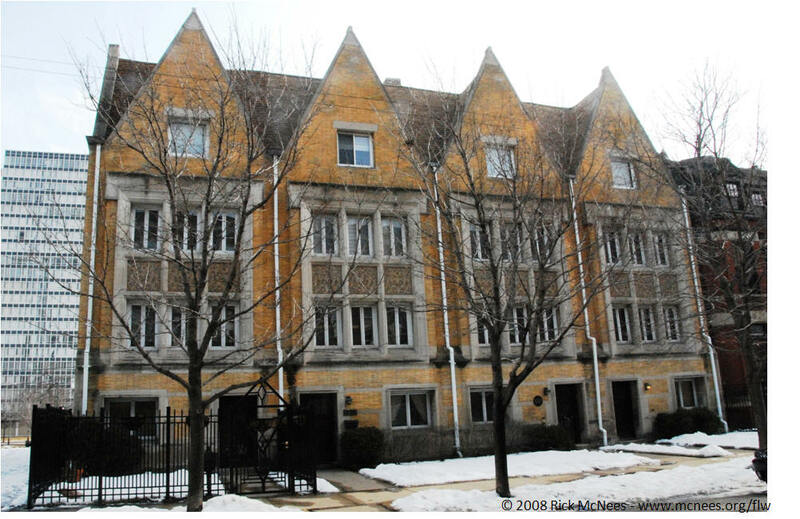 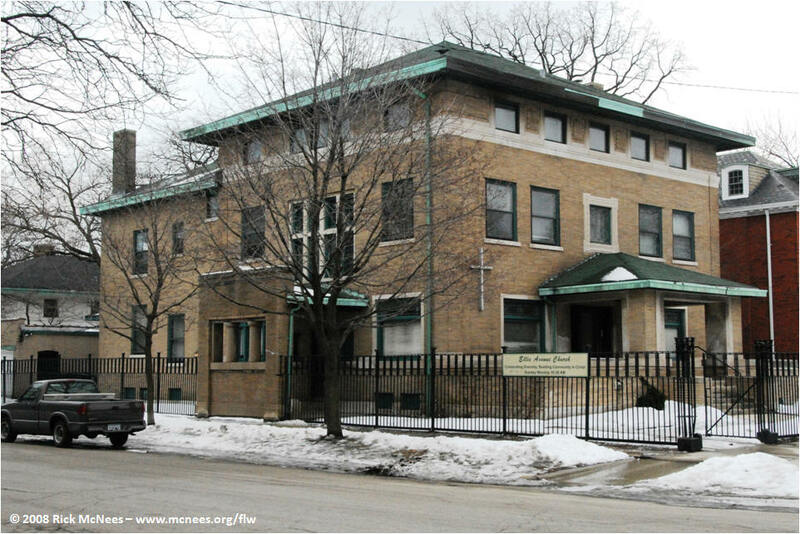 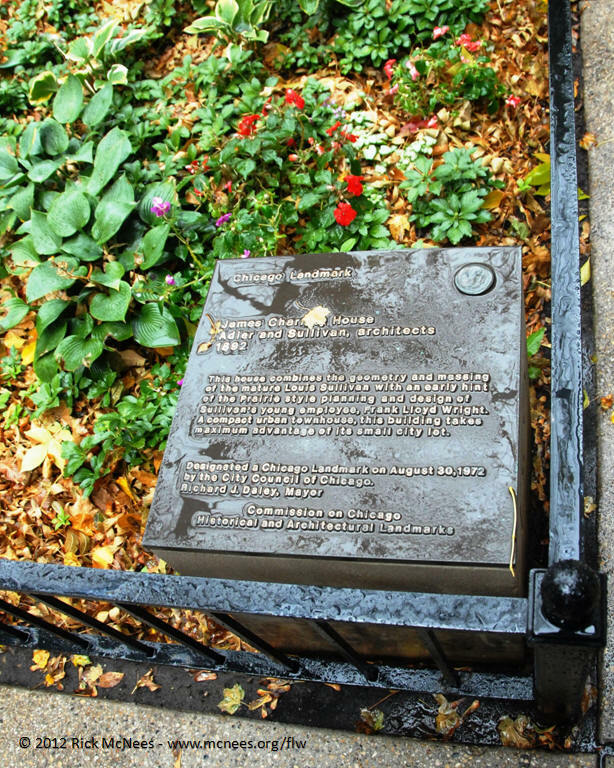 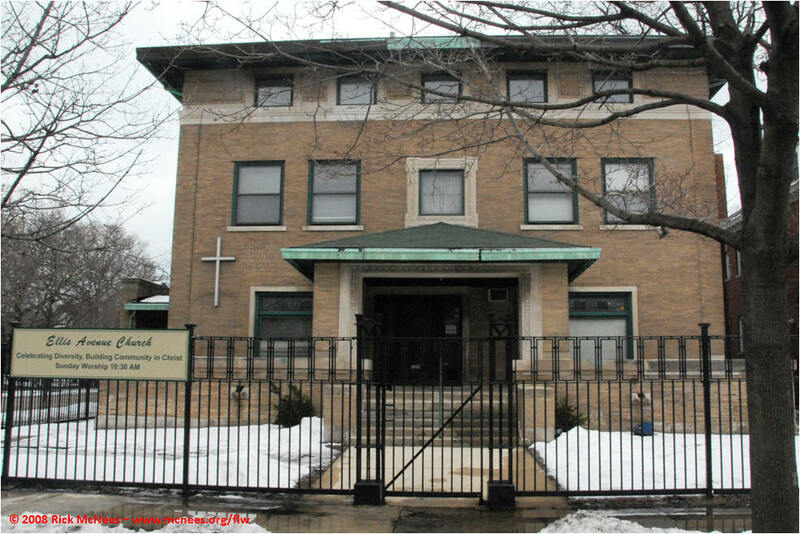 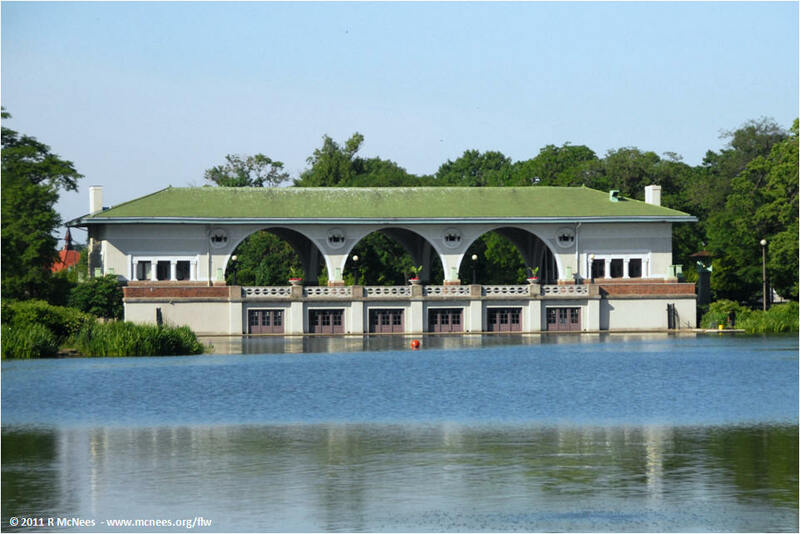 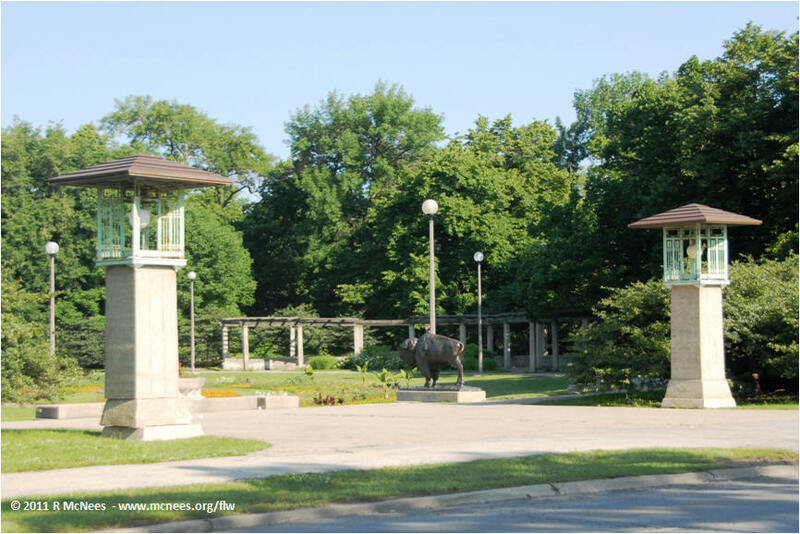 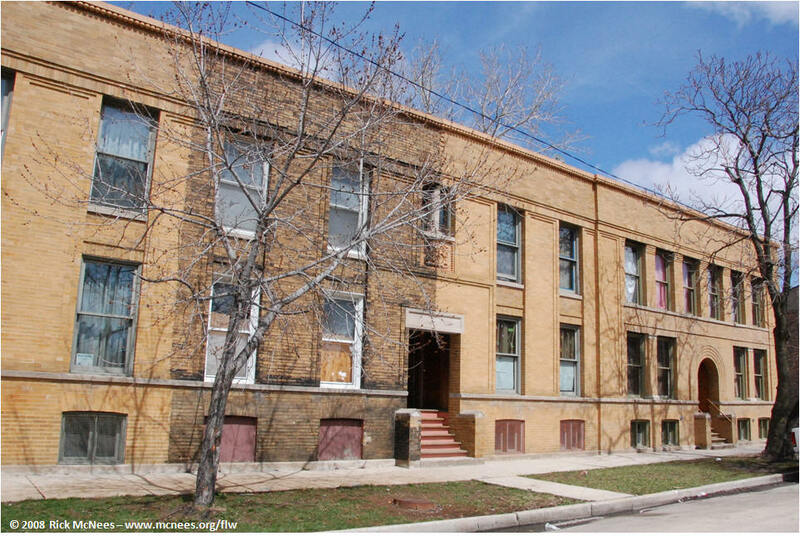 Also see Chicago Douglas Park. 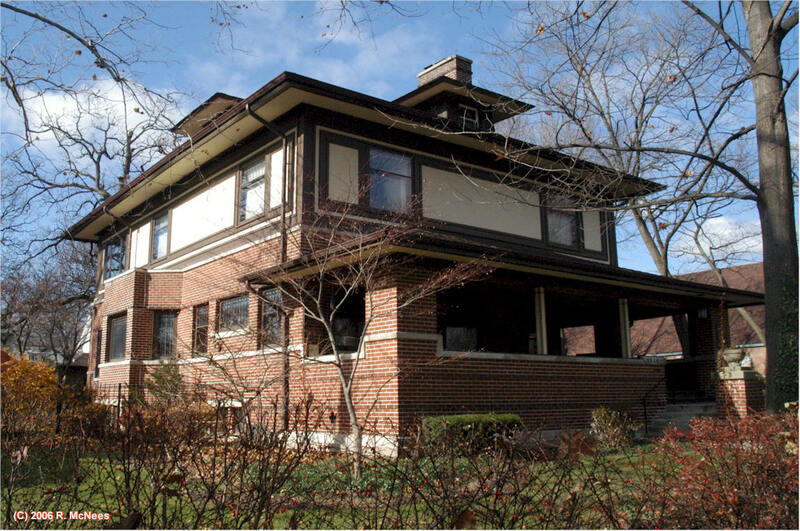 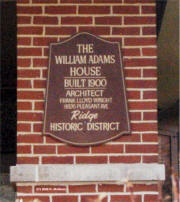 A Richards American System-Built Home. 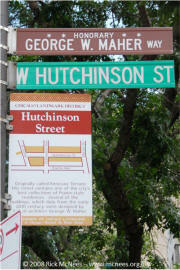 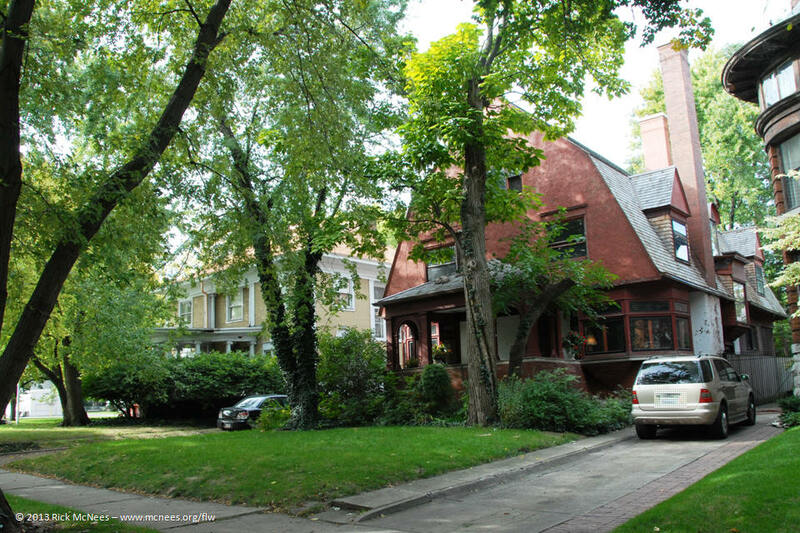 - One block north is the Smith House. 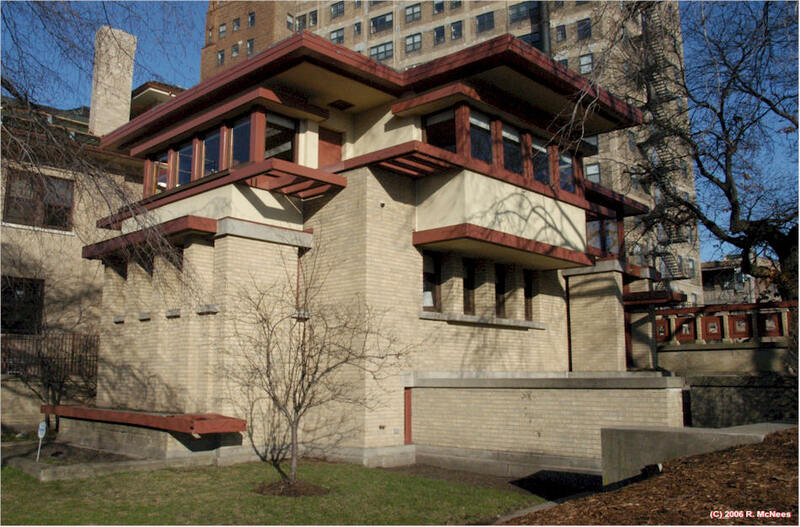 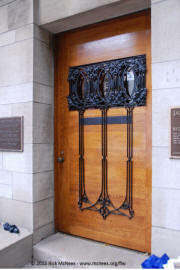 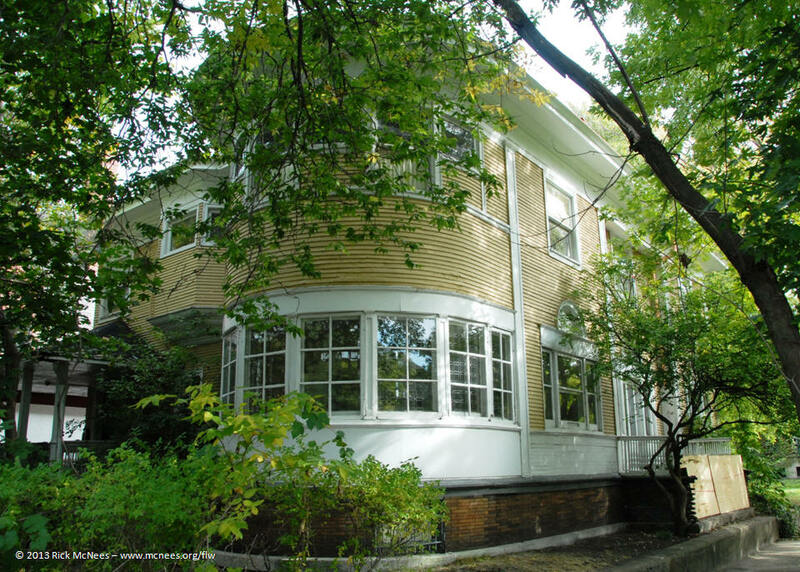 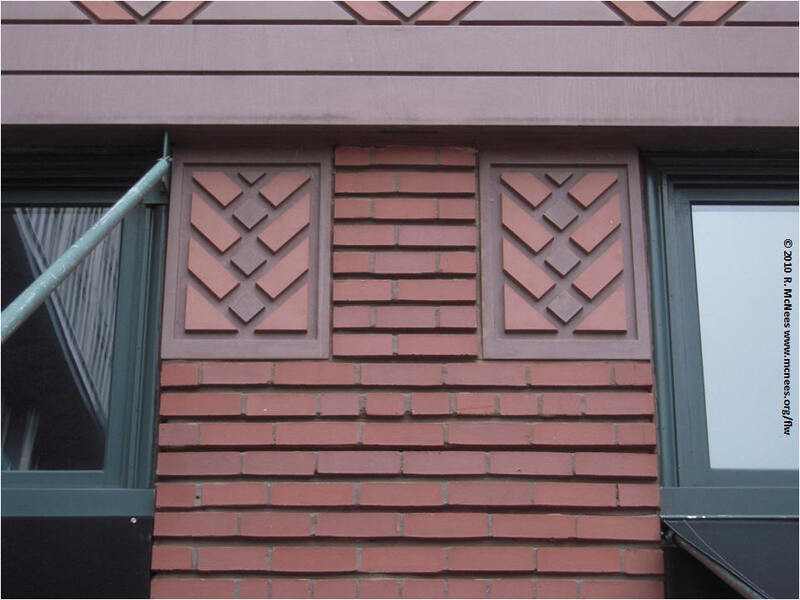 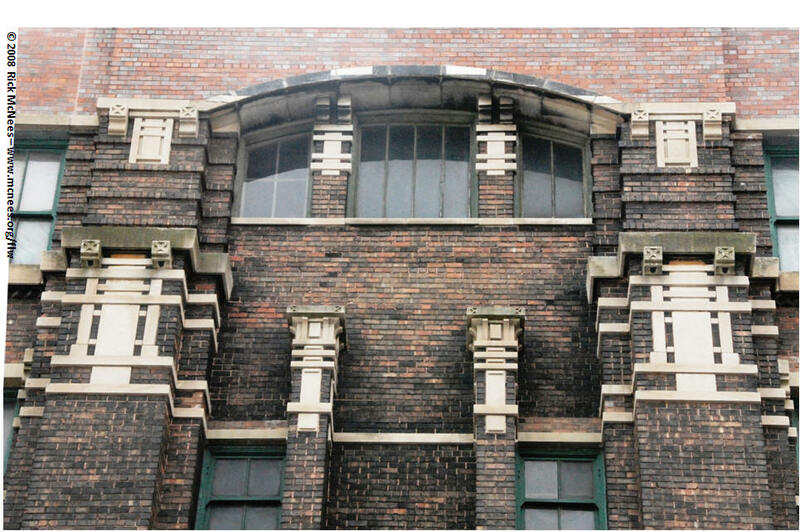 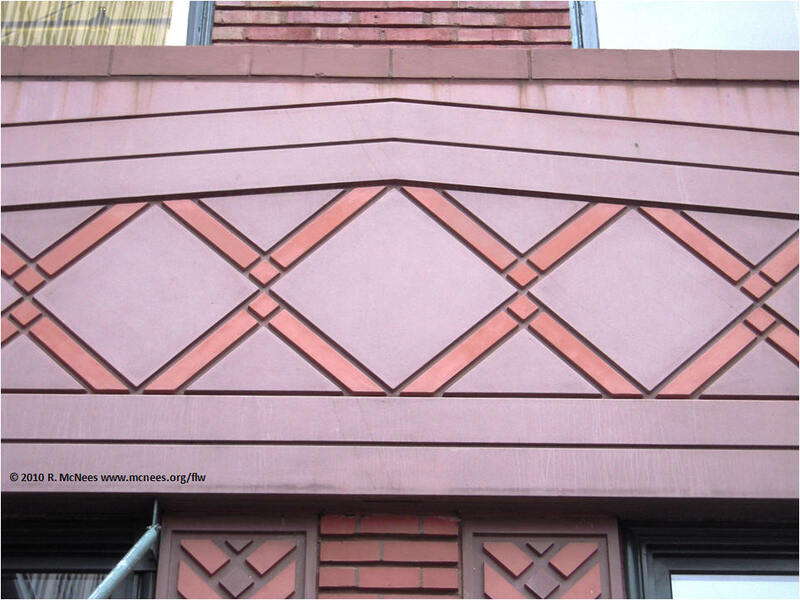 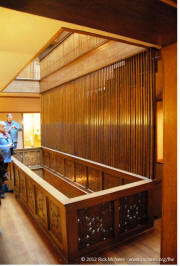 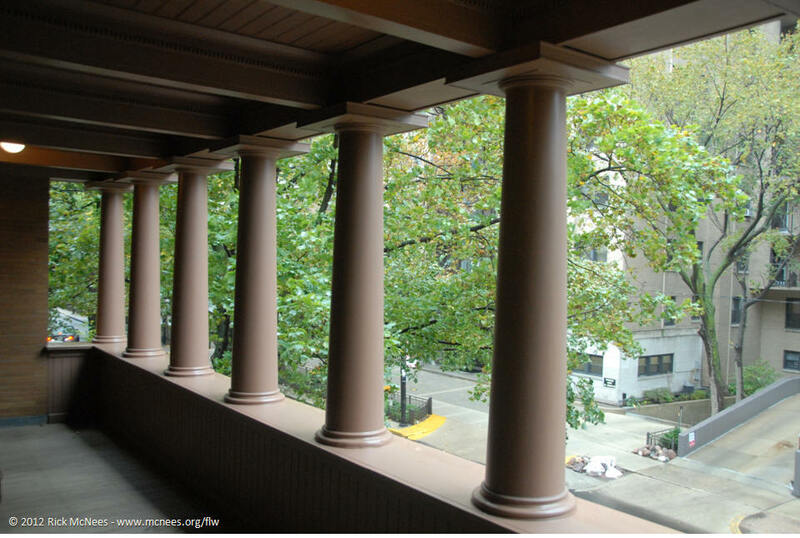 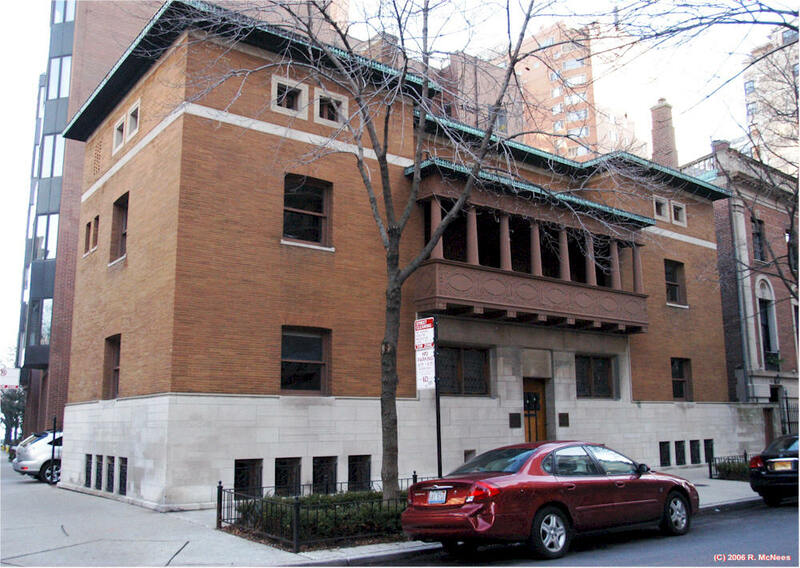 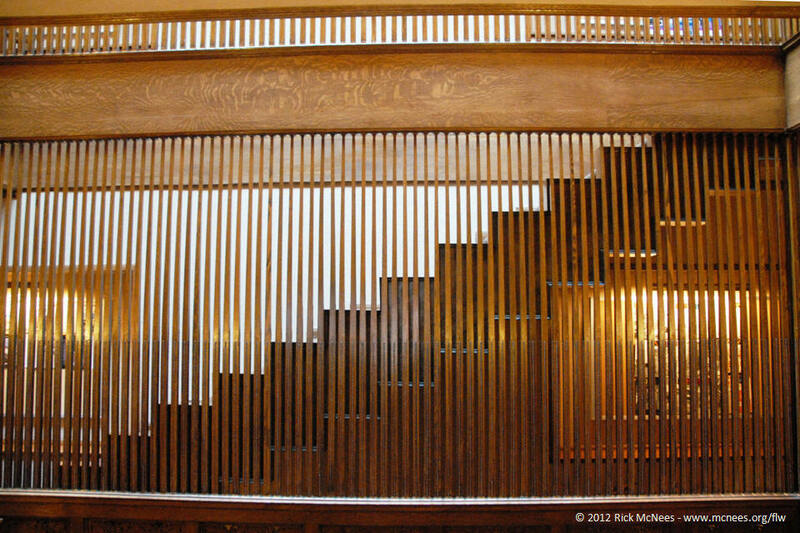 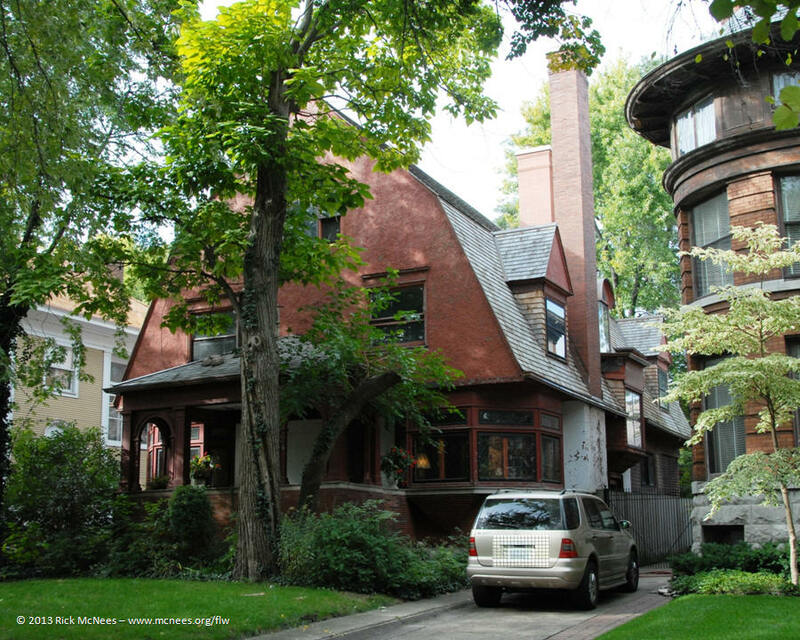 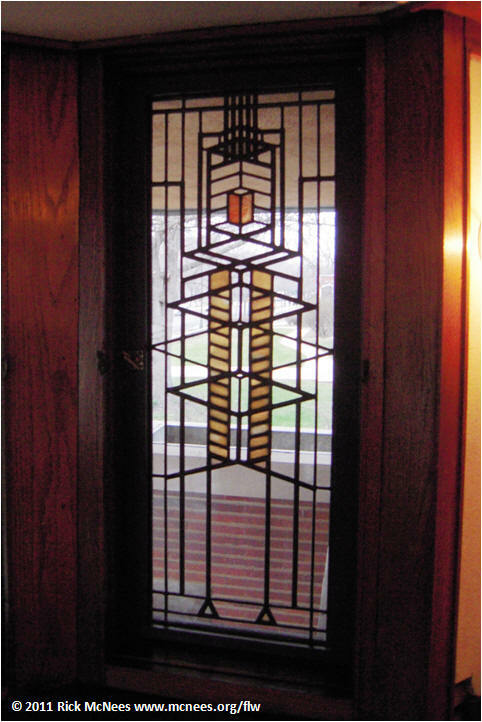 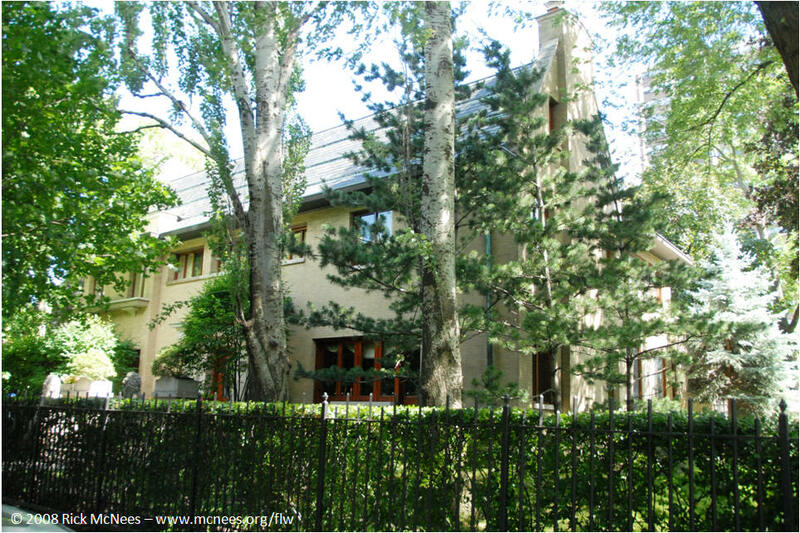 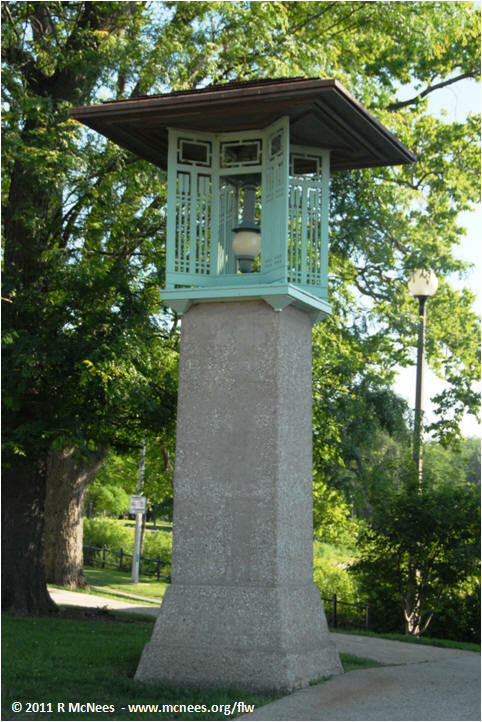 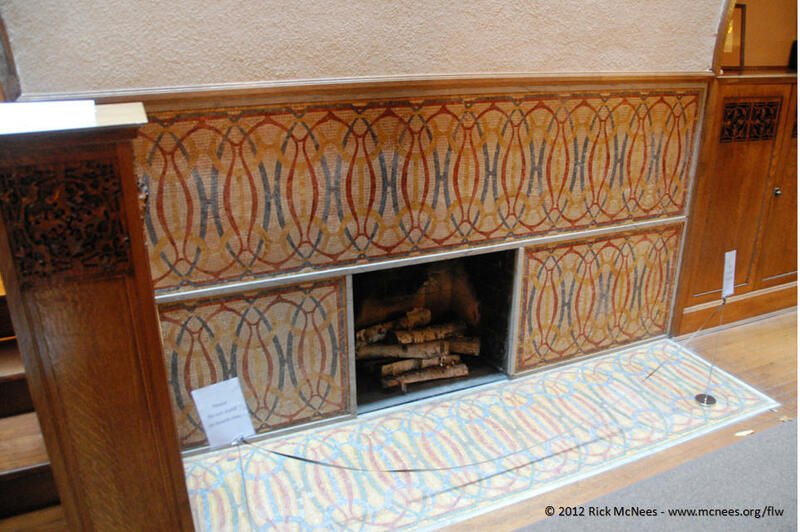 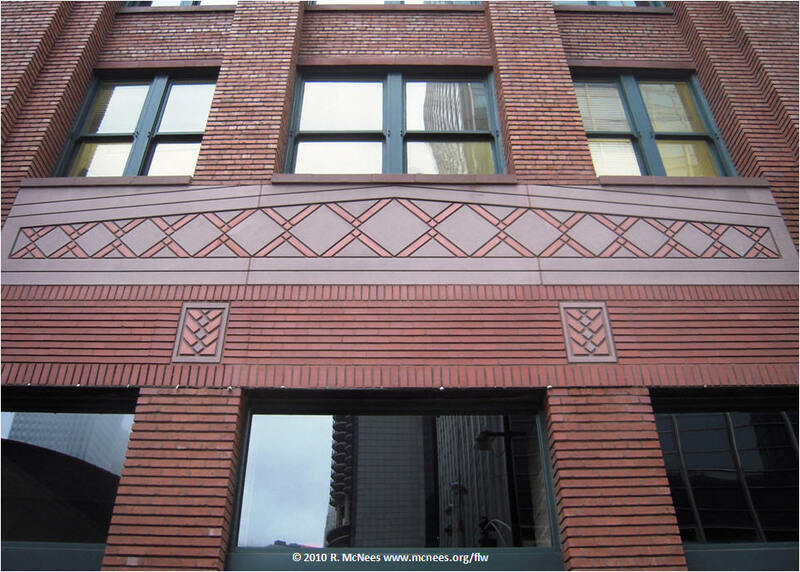 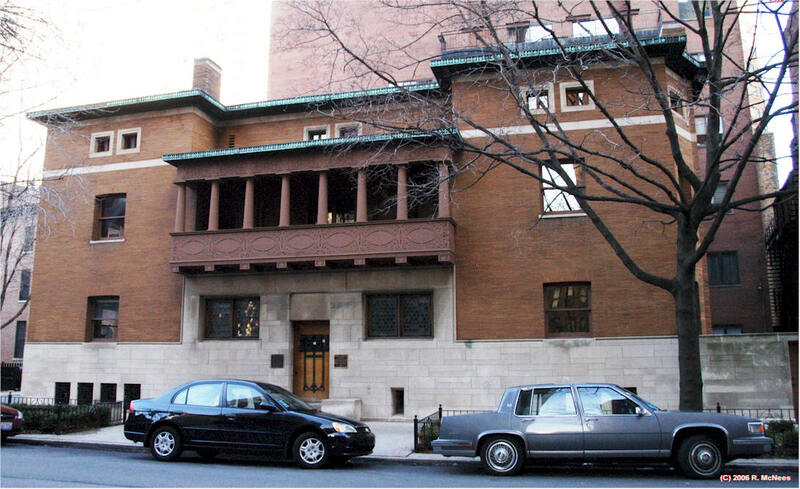 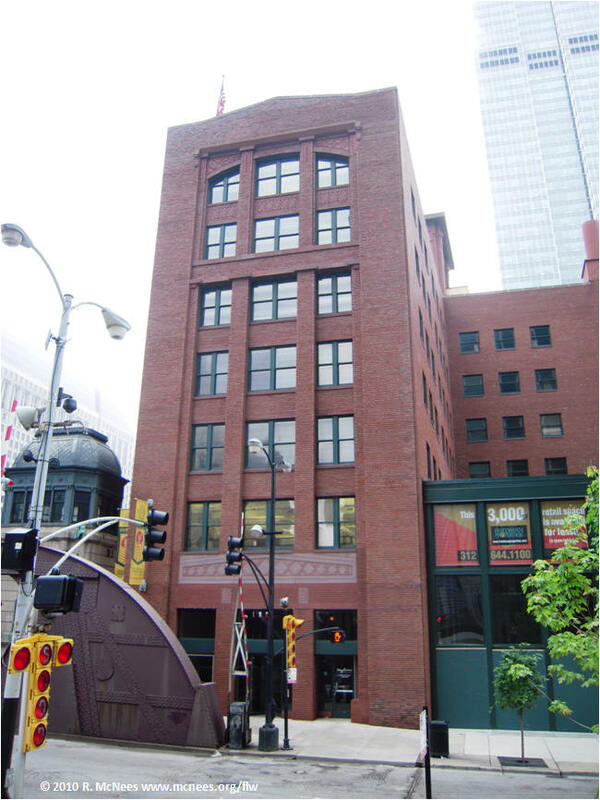 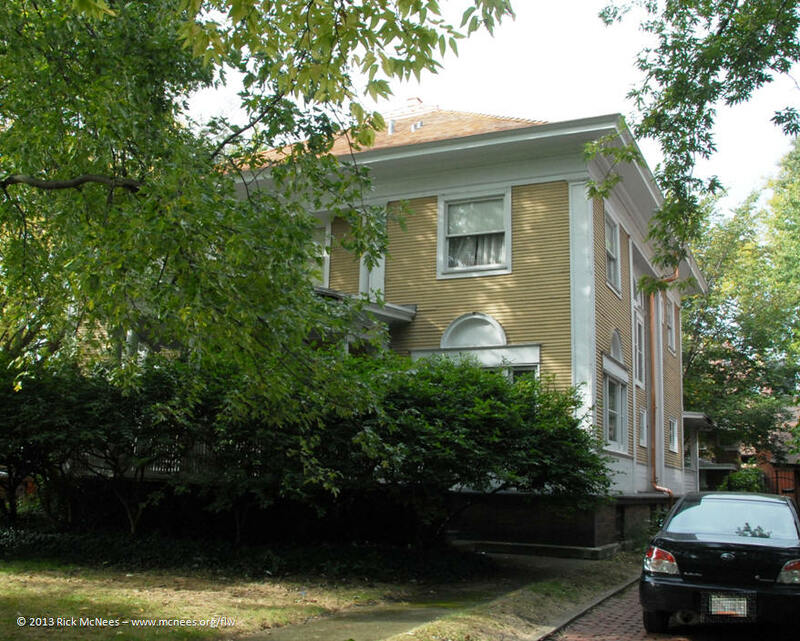 Frank Lloyd Wright worked for Adler & Sullivan from 1888 to 1893 rising through the ranks to become Sullivan's chief draftsman. 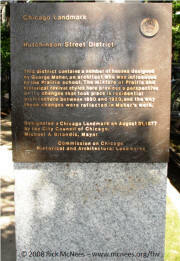 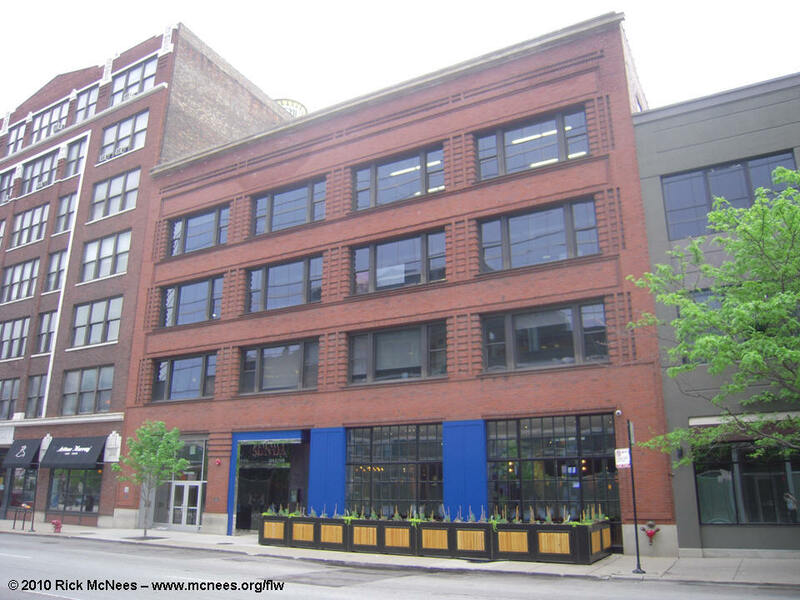 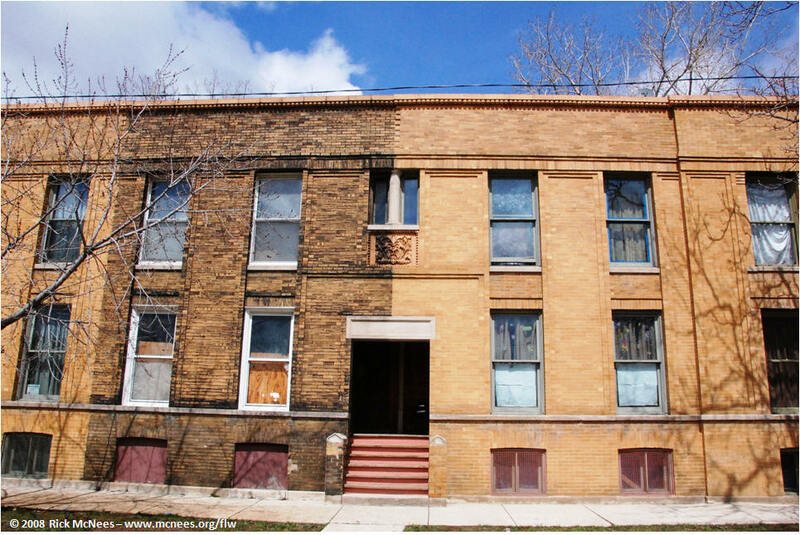 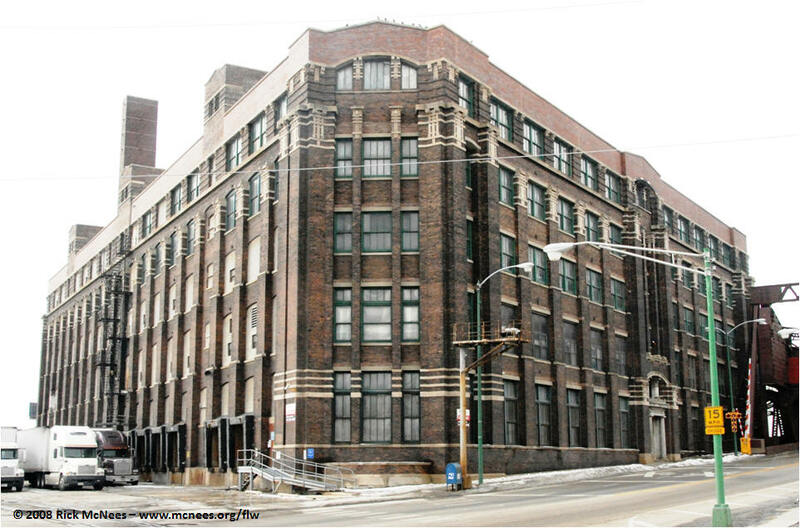 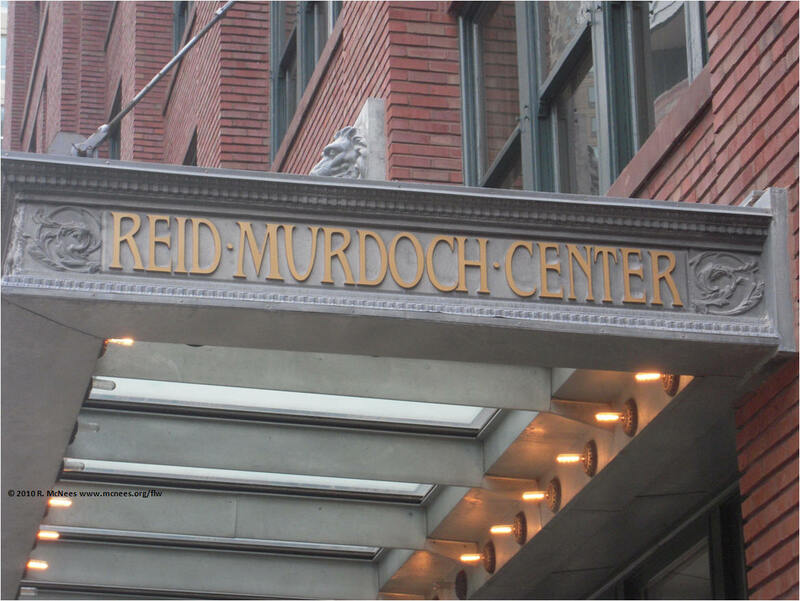 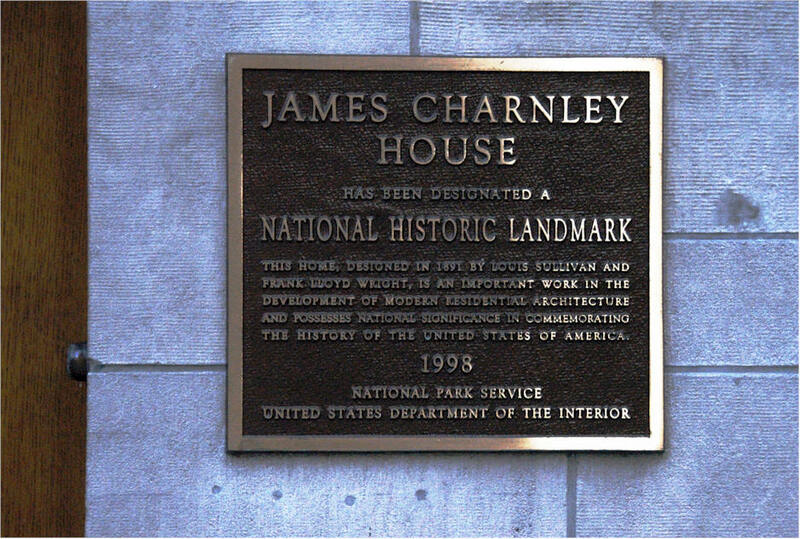 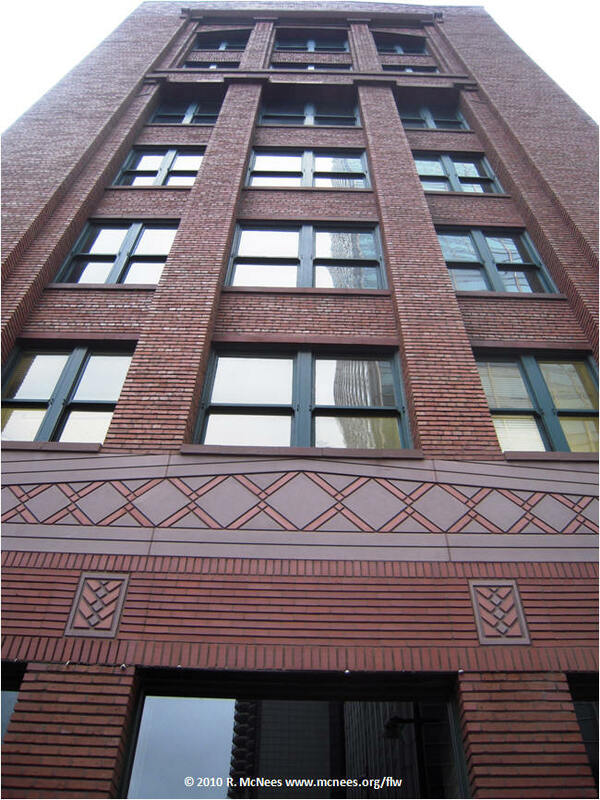 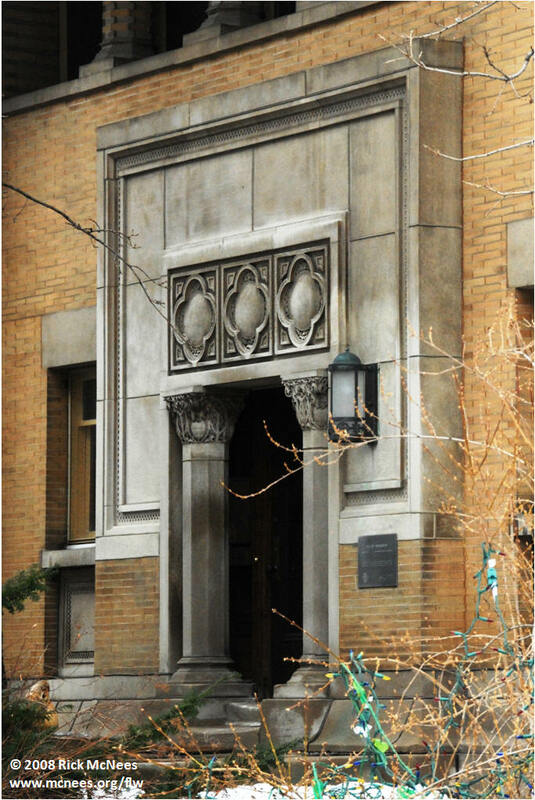 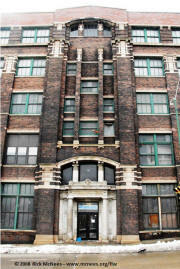 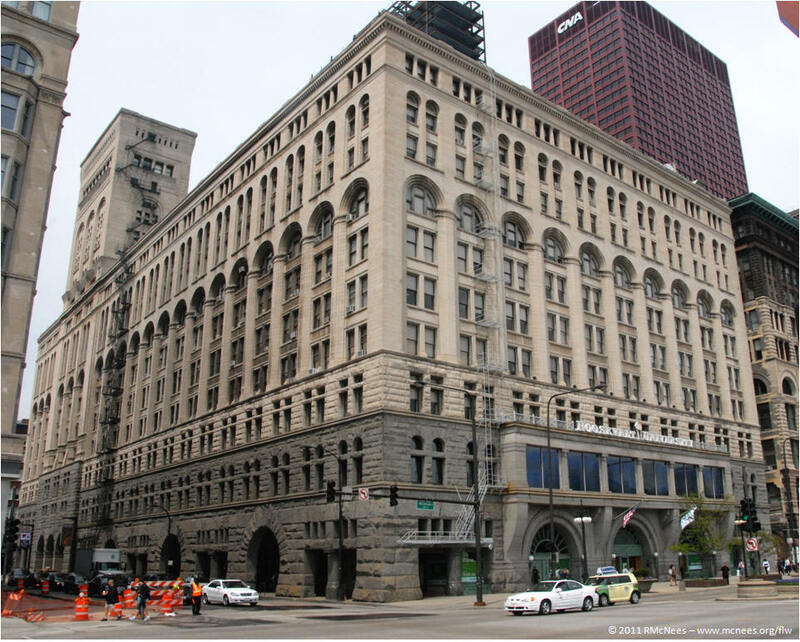 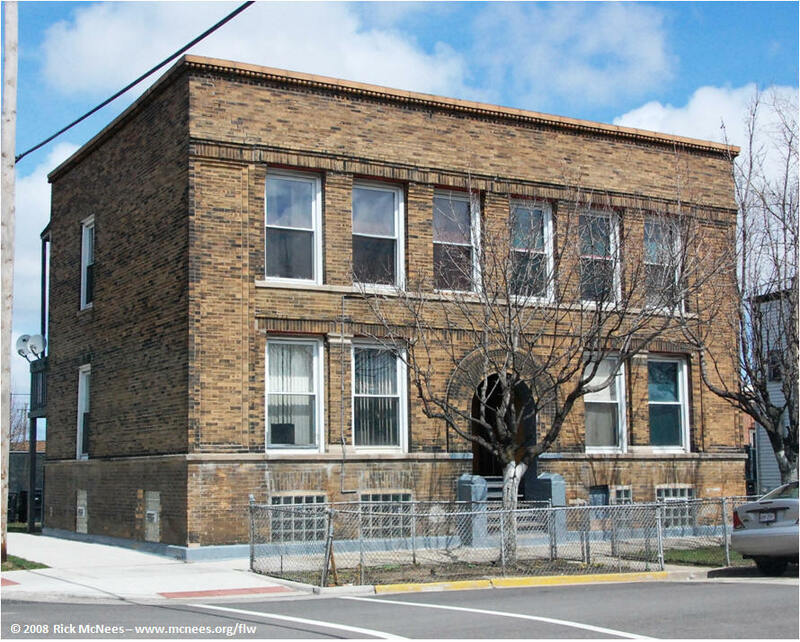 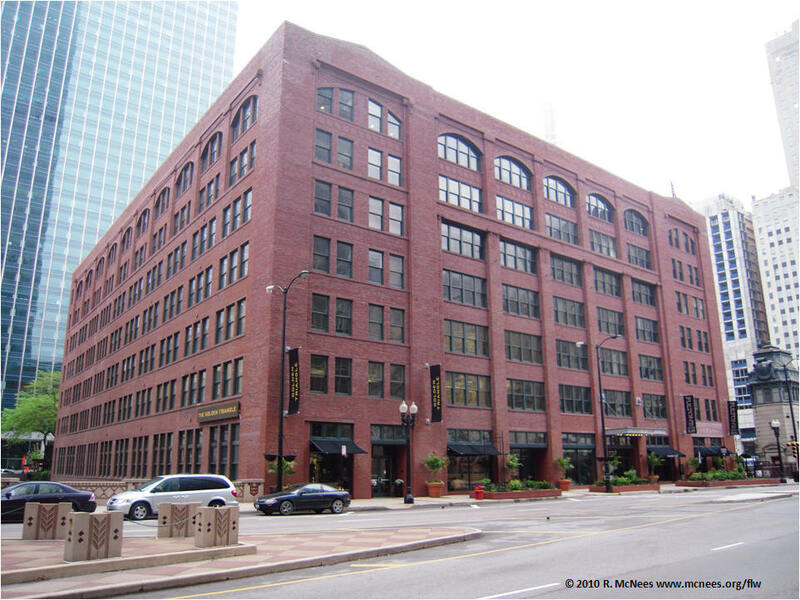 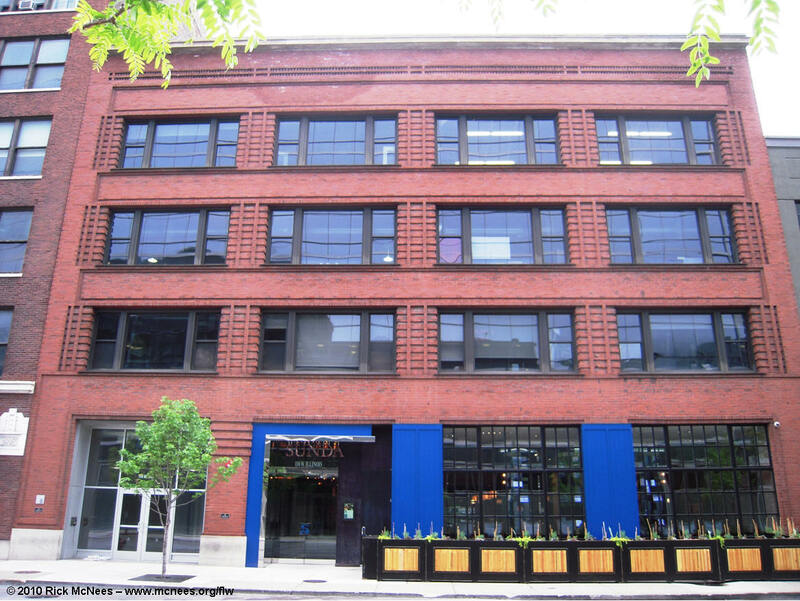 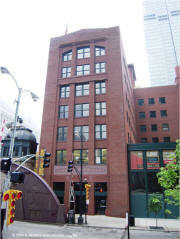 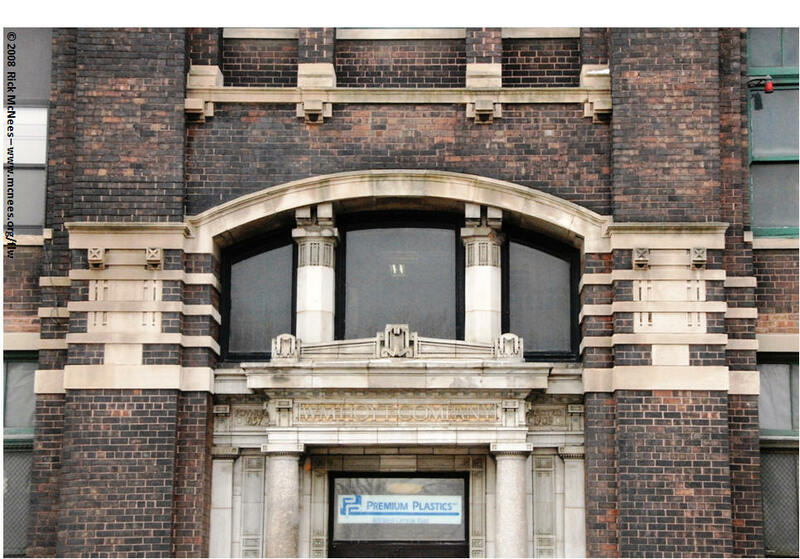 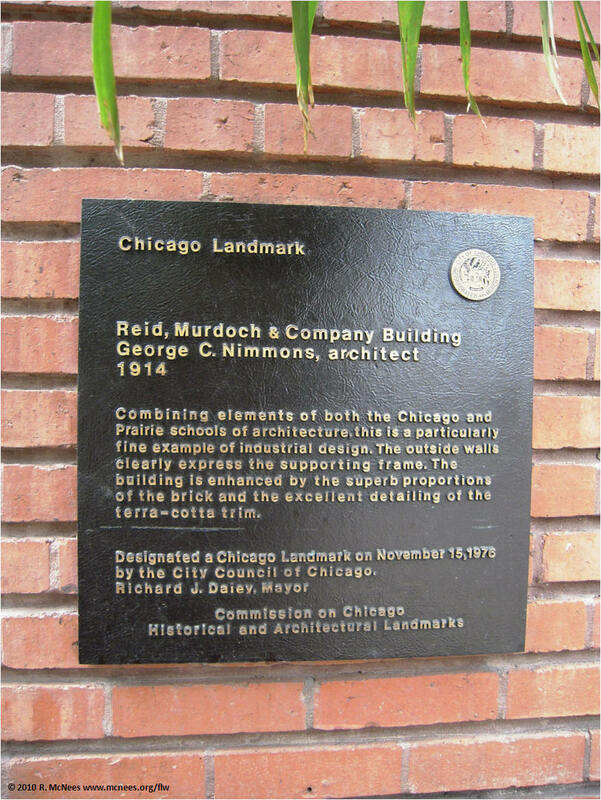 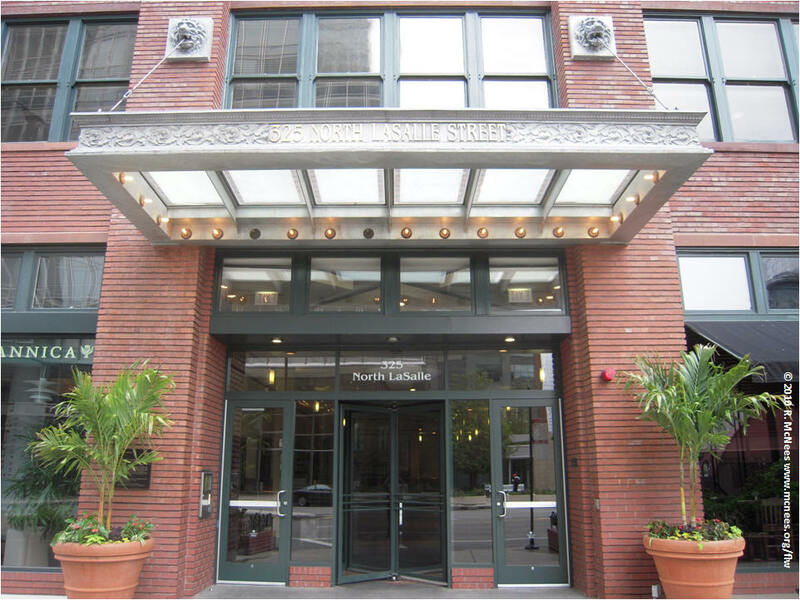 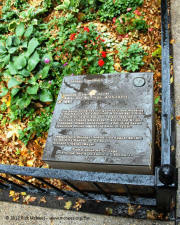 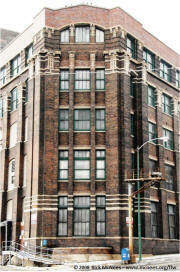 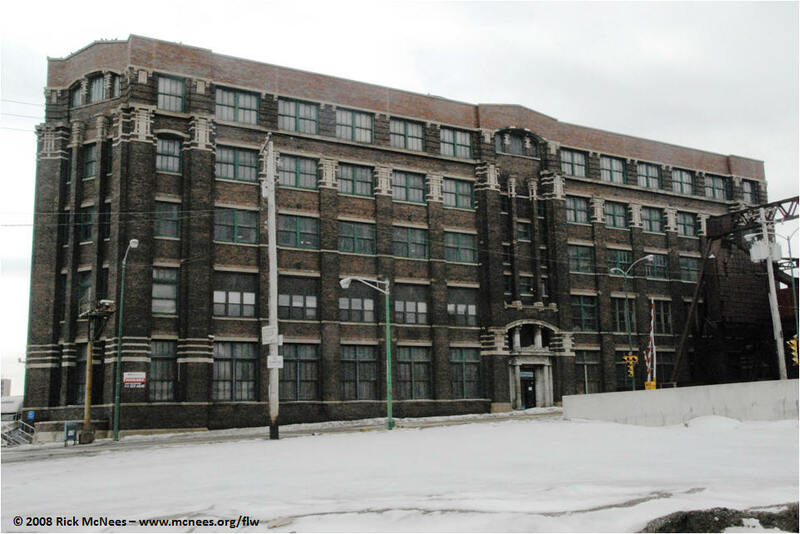 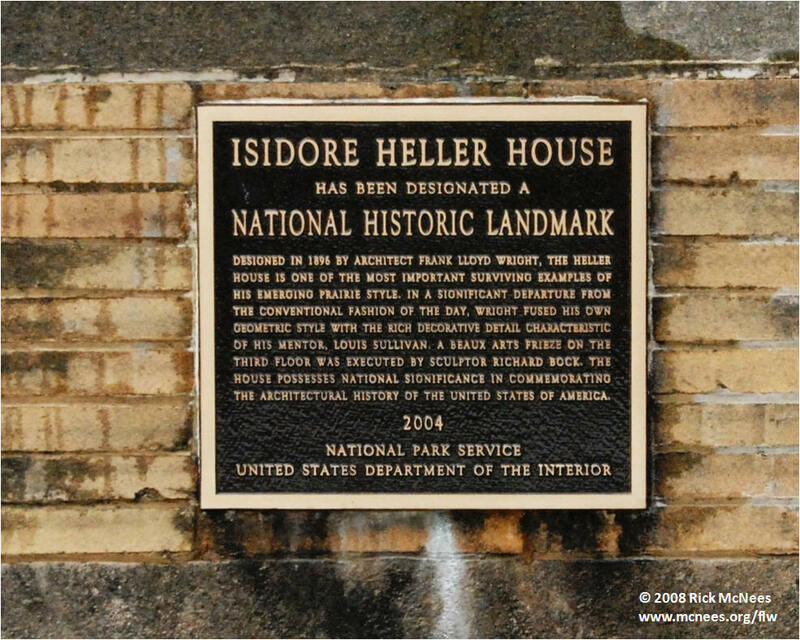 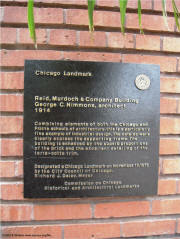 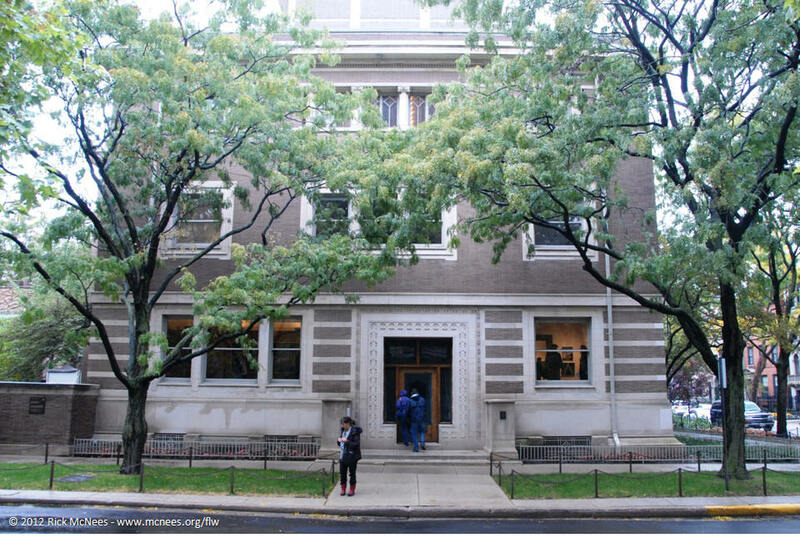 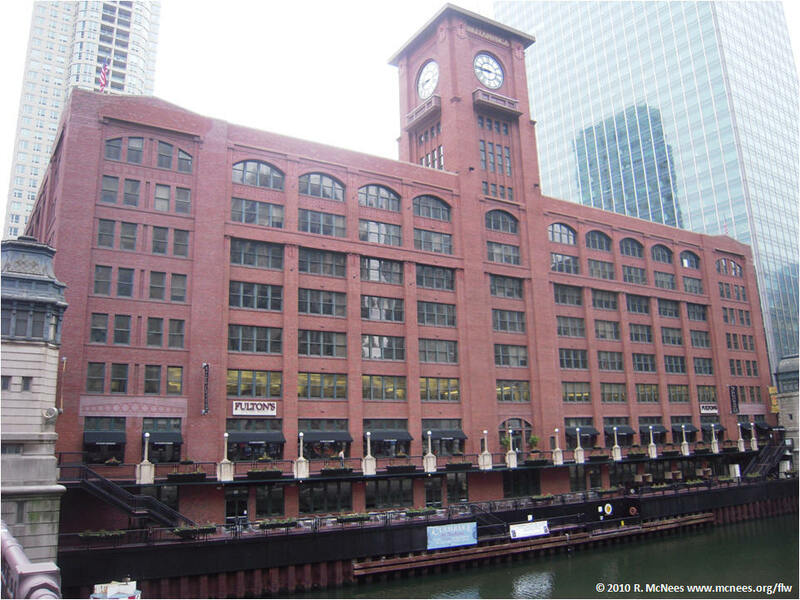 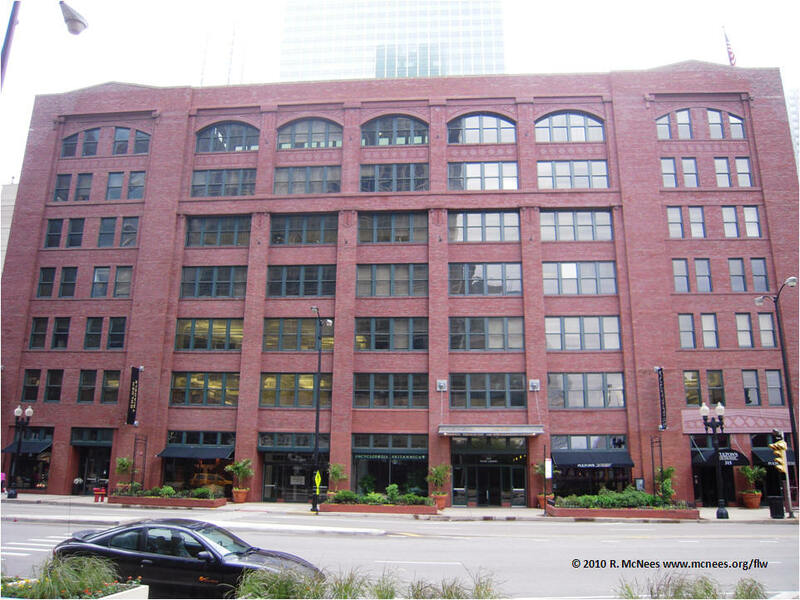 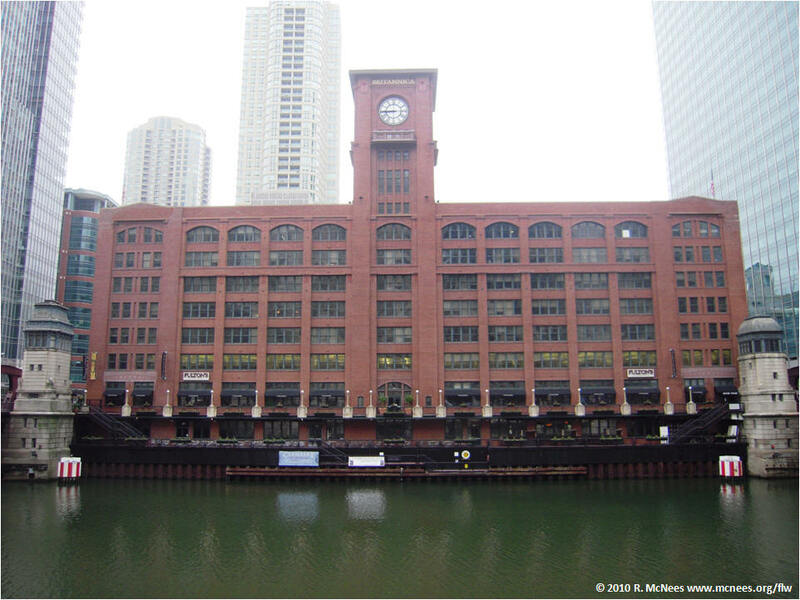 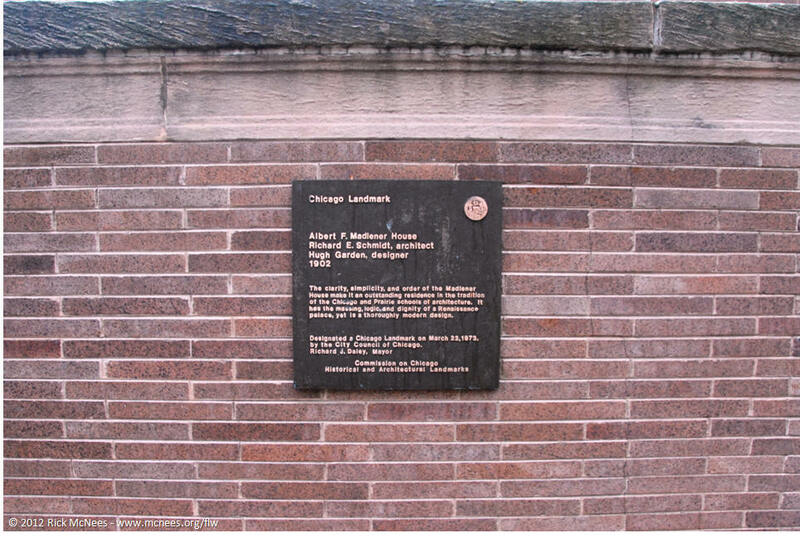 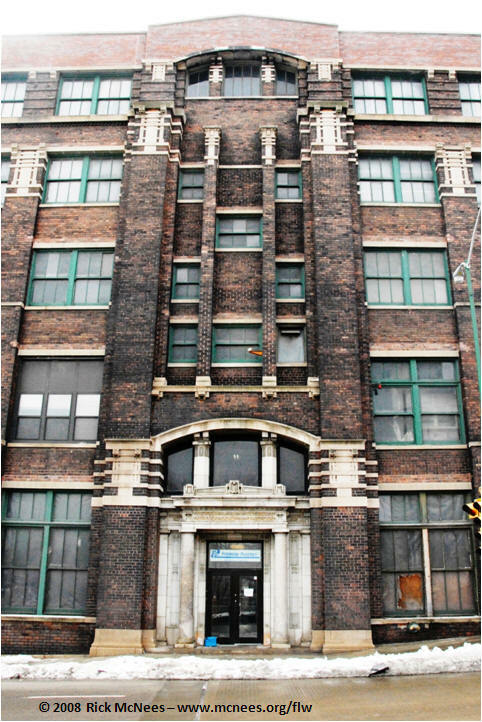 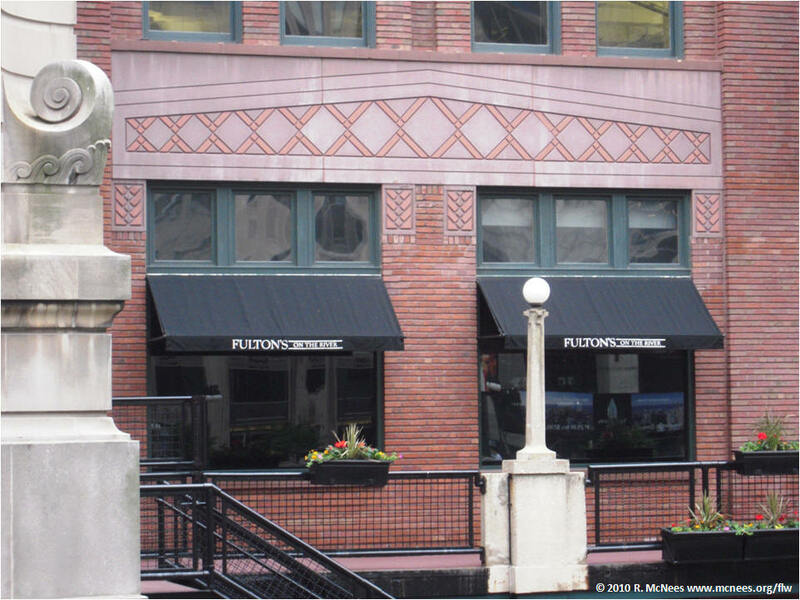 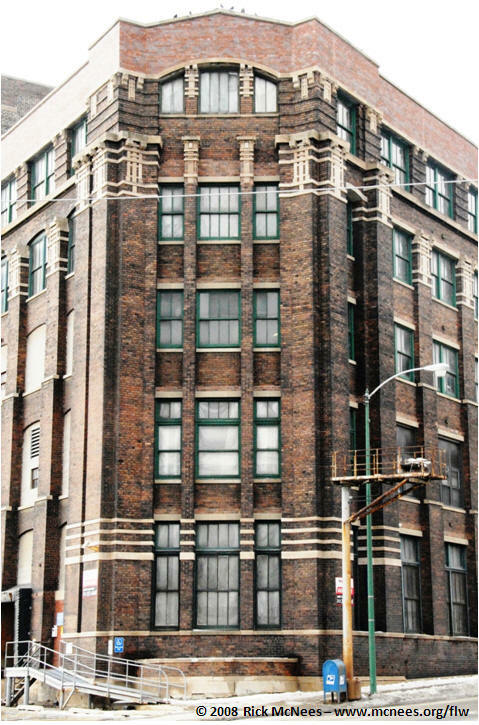 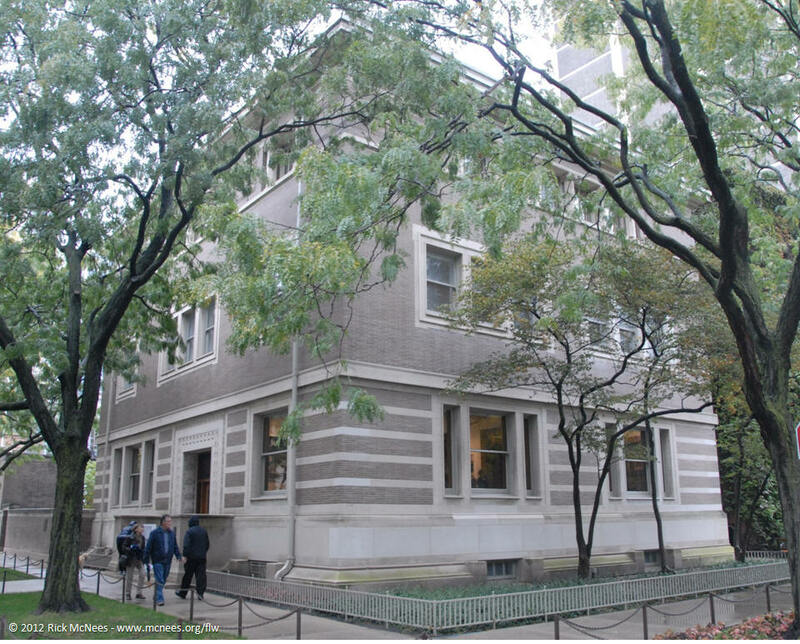 During this time they were designing the Auditorium Theatre Building at Congress Street and South Michigan Avenue, current home of Roosevelt University. 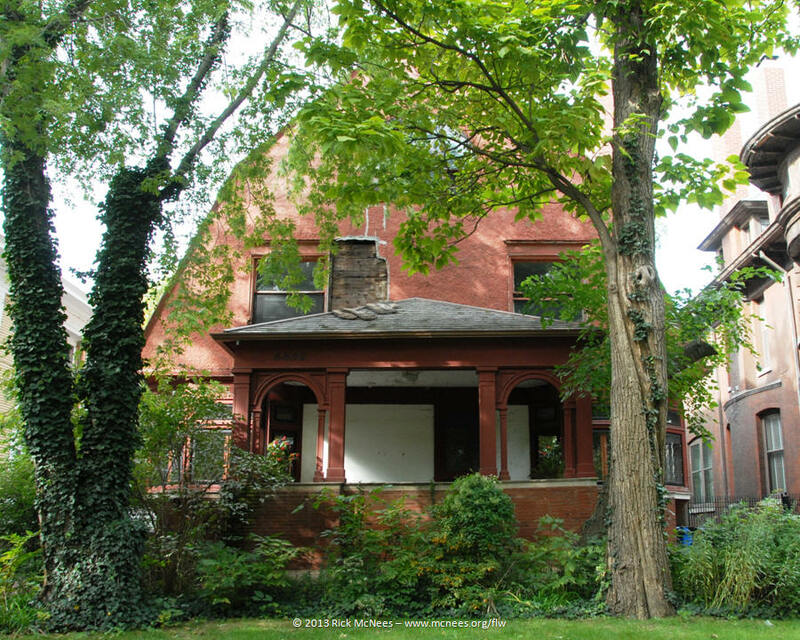 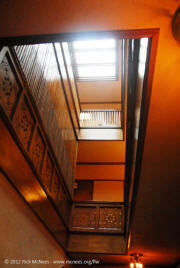 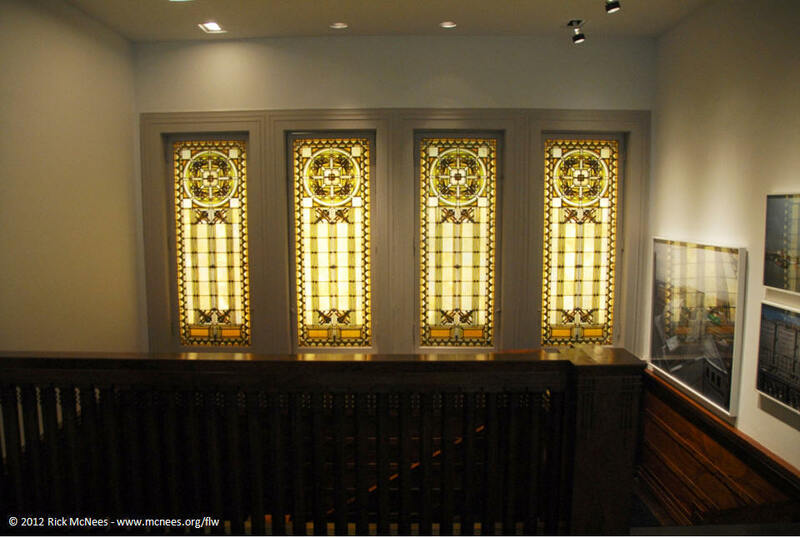 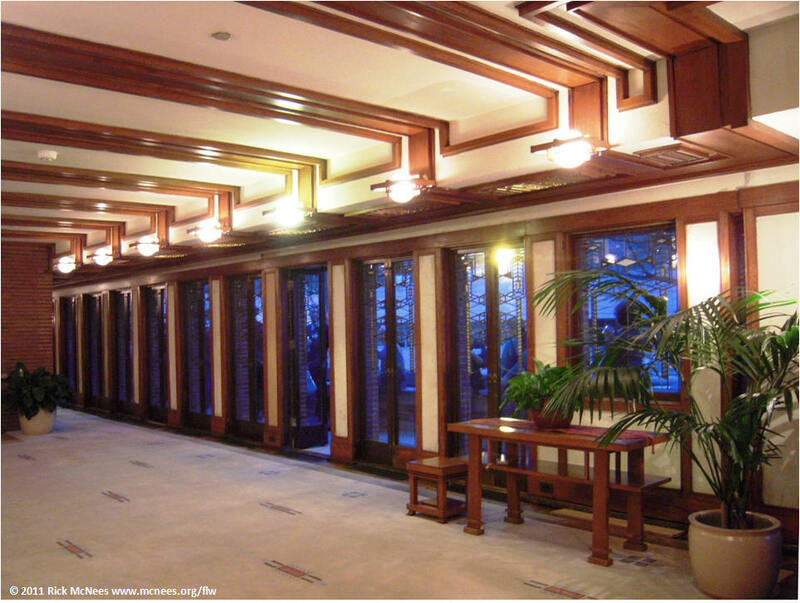 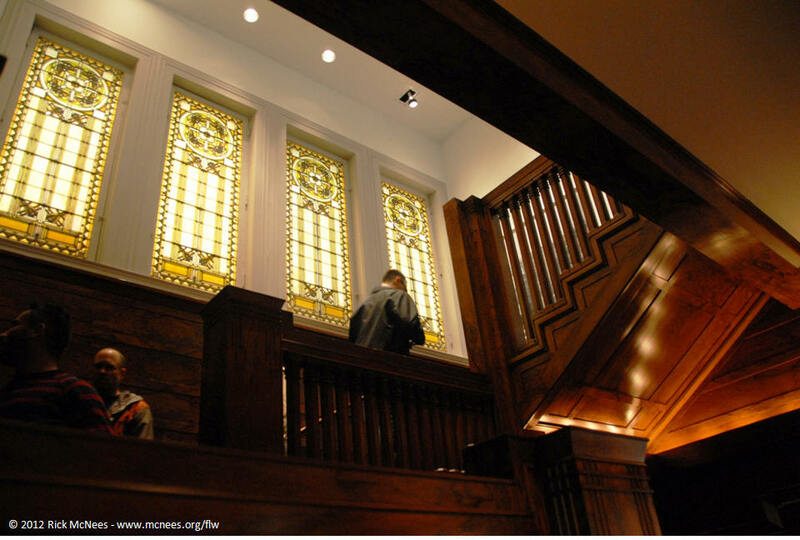 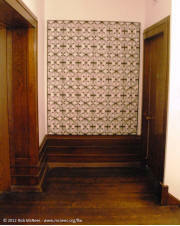 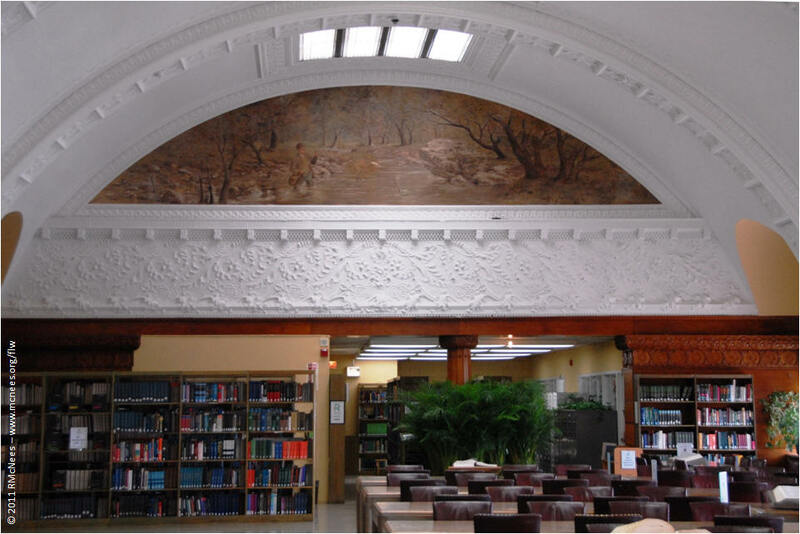 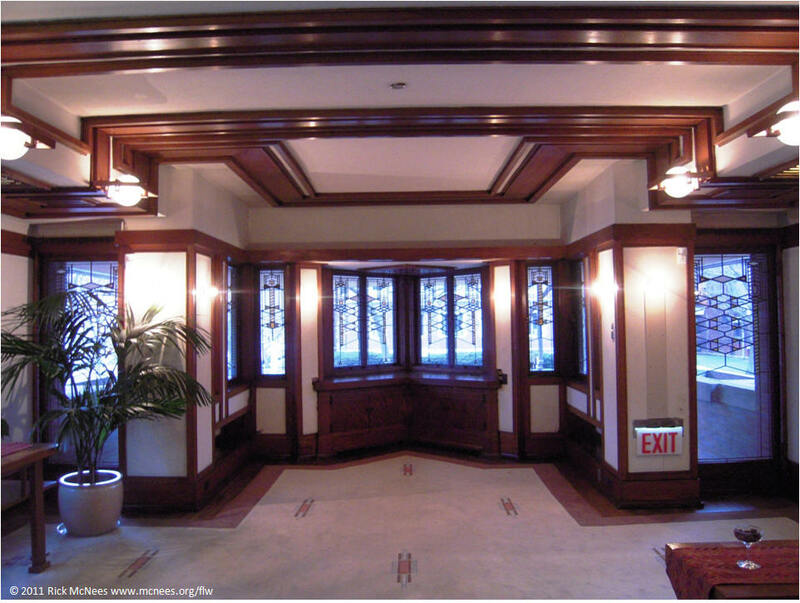 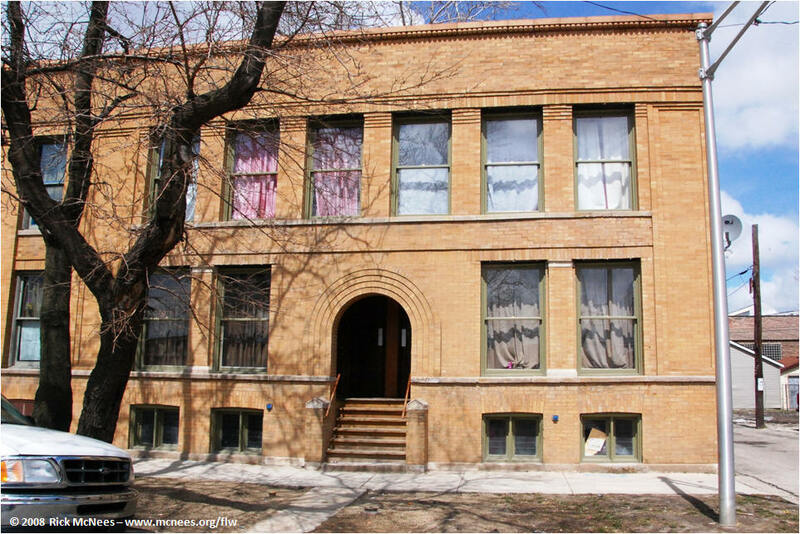 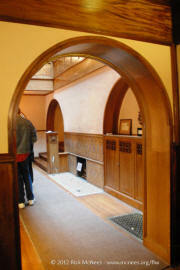 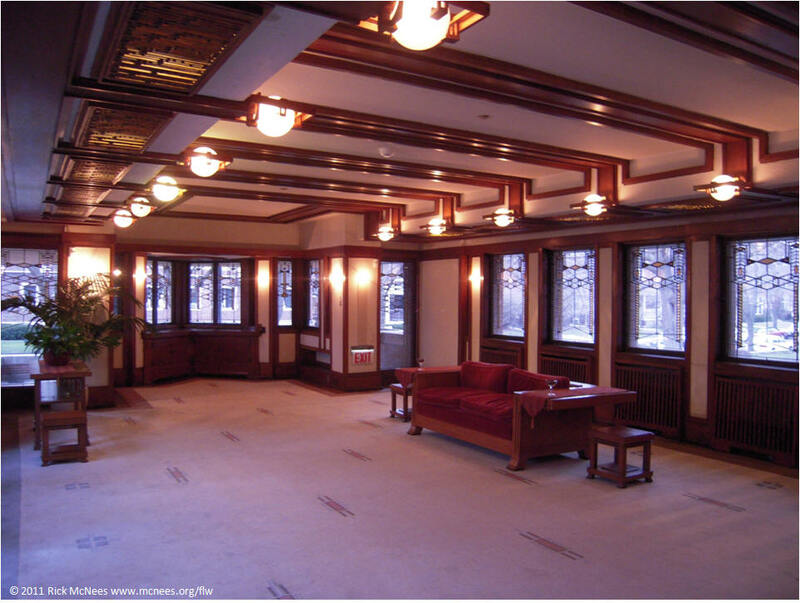 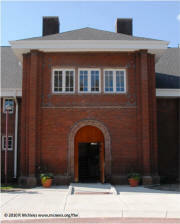 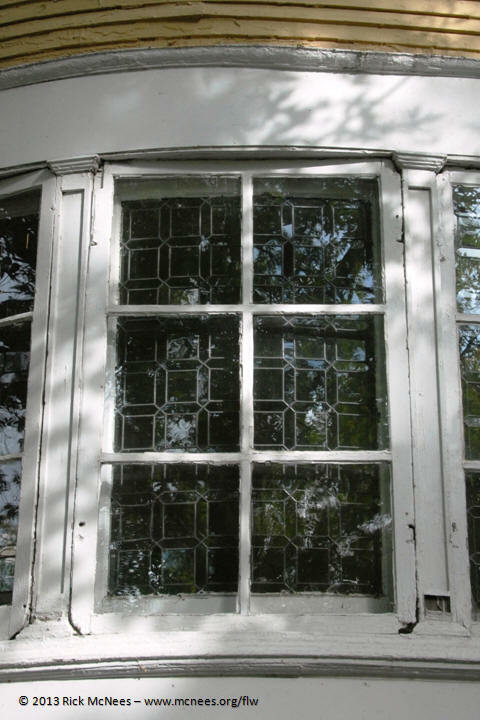 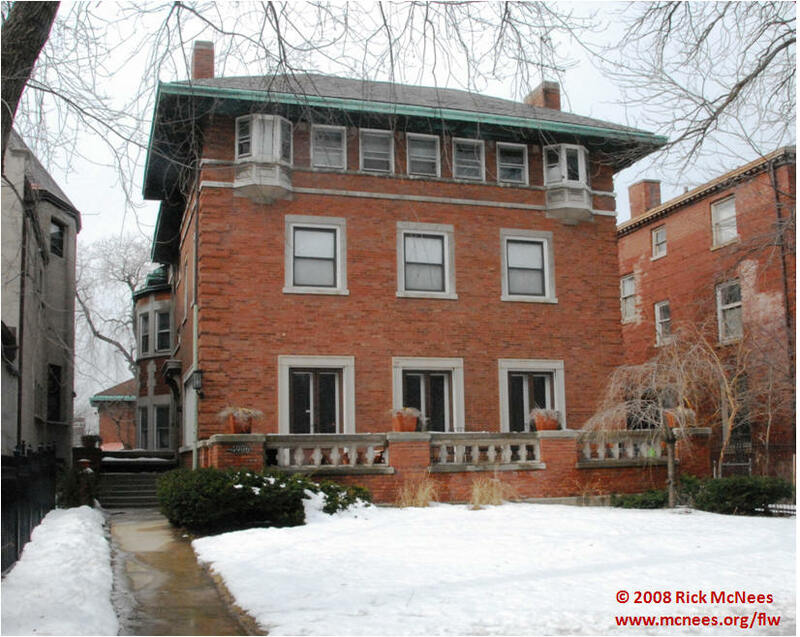 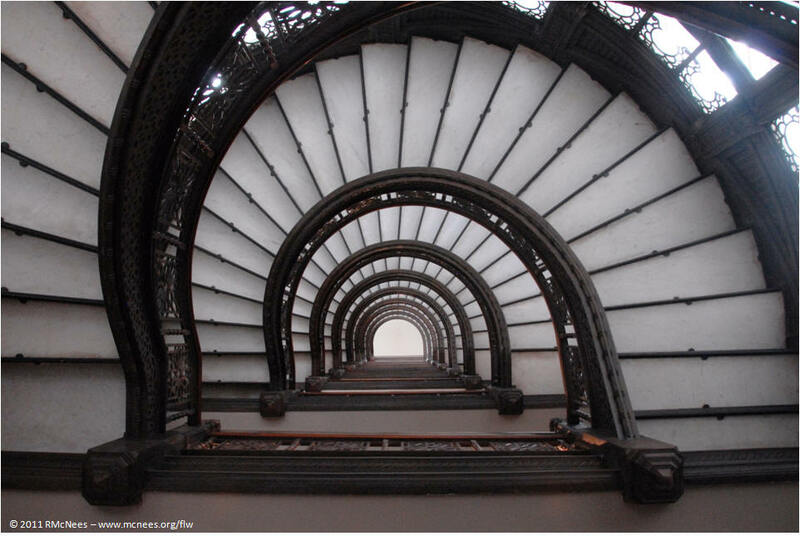 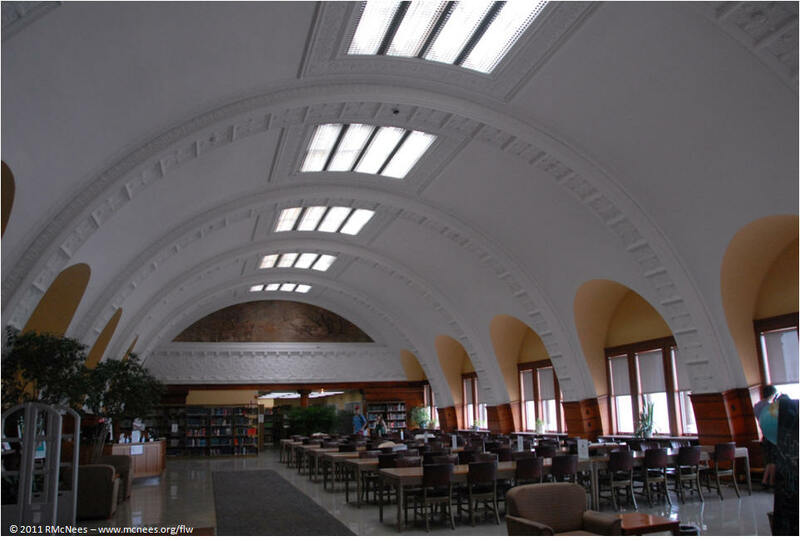 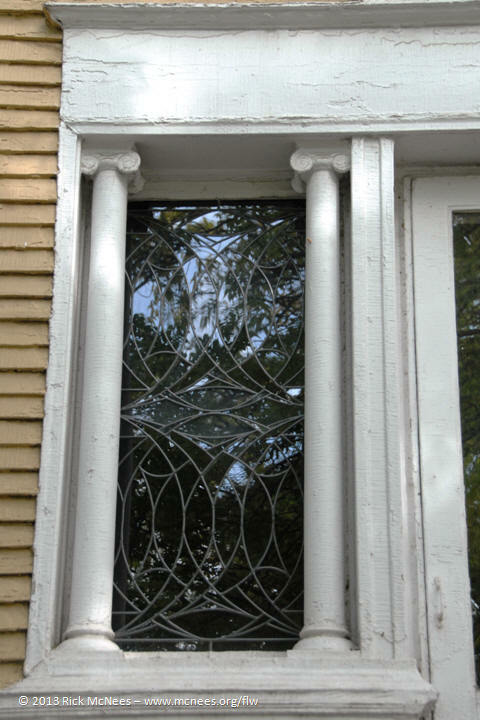 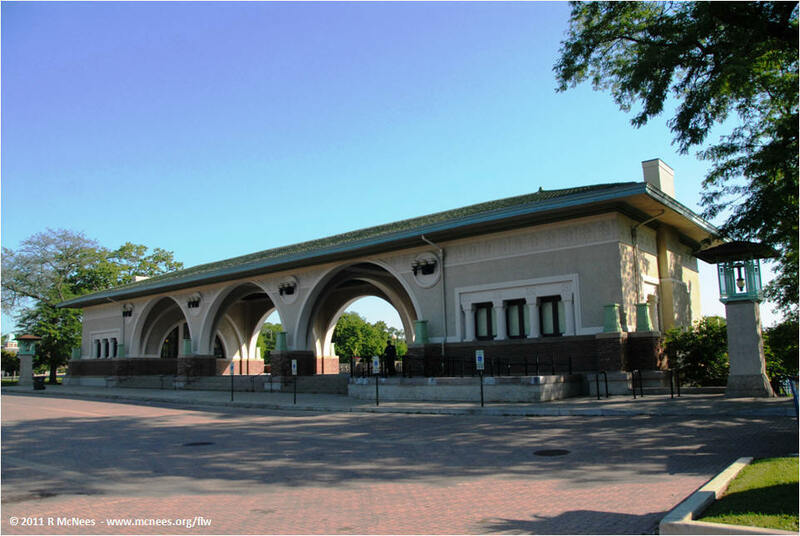 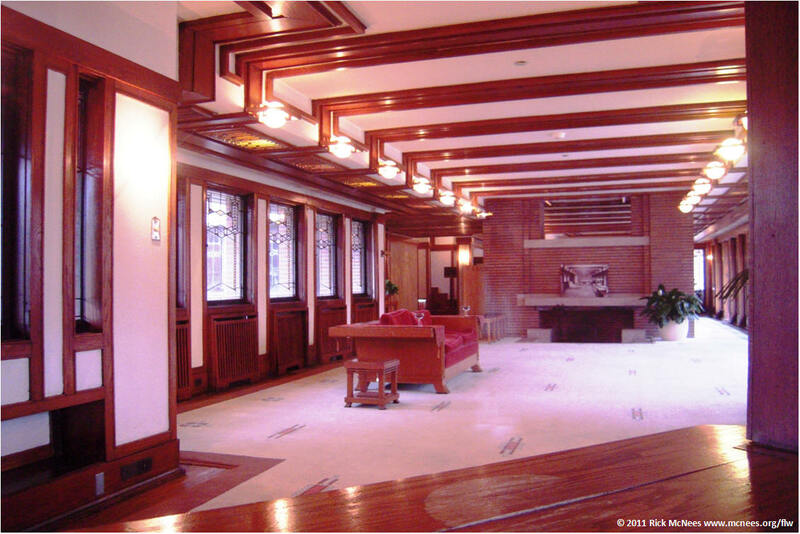 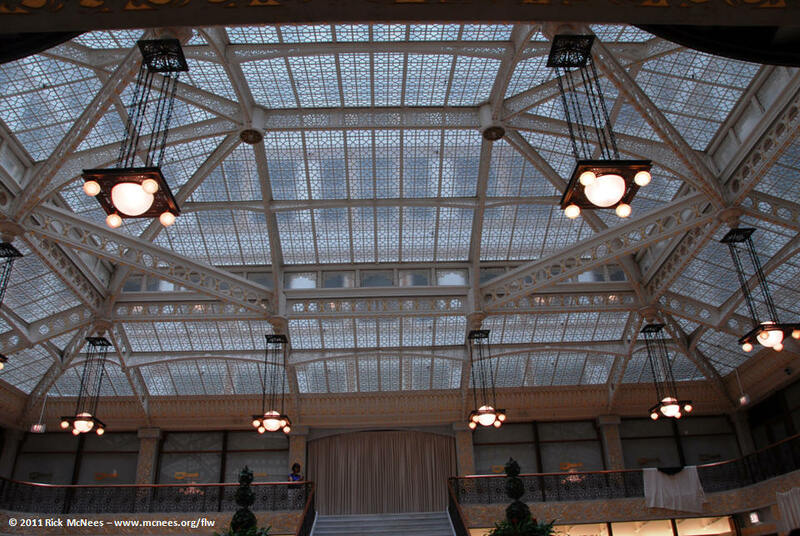 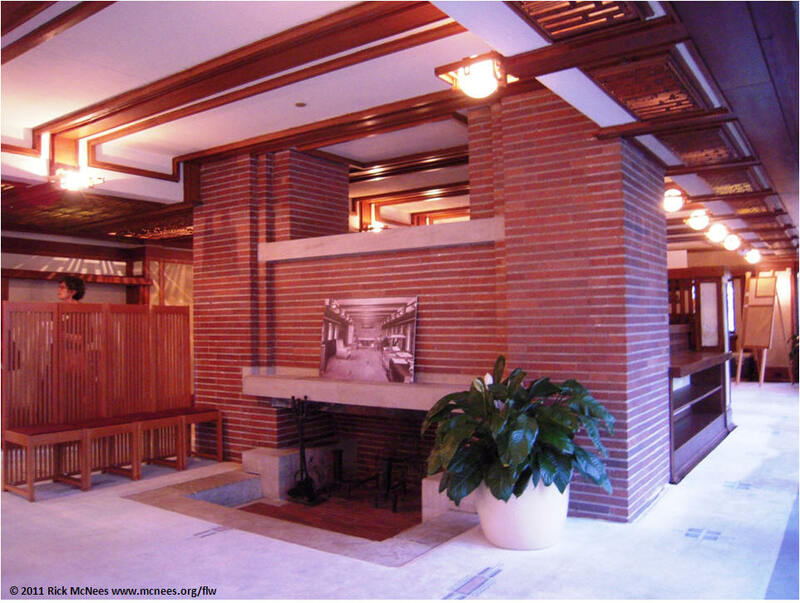 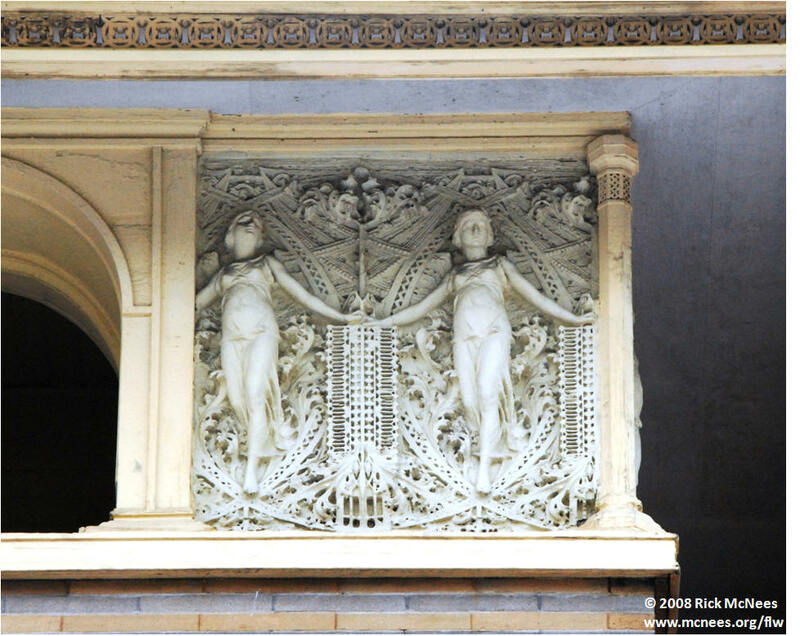 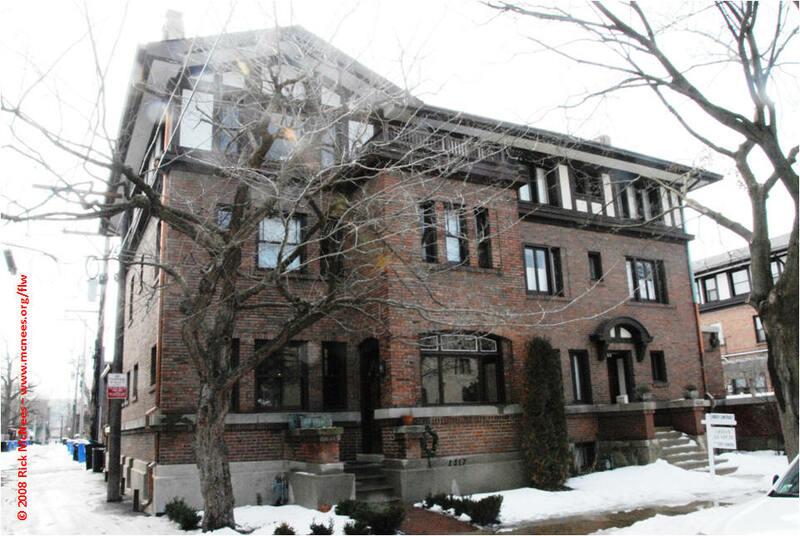 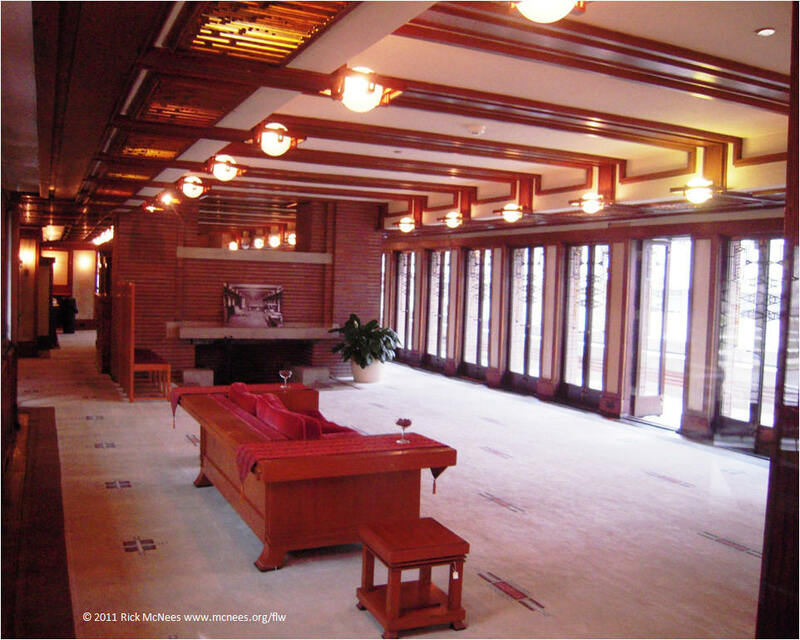 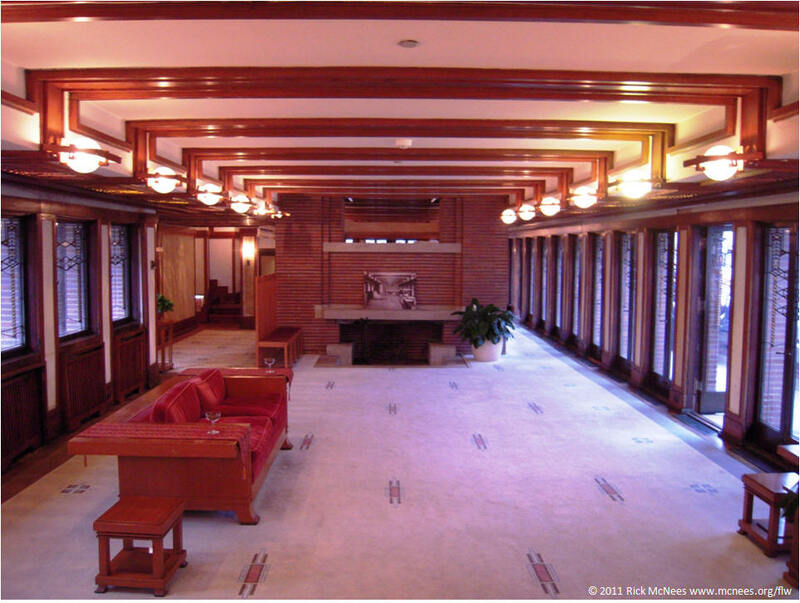 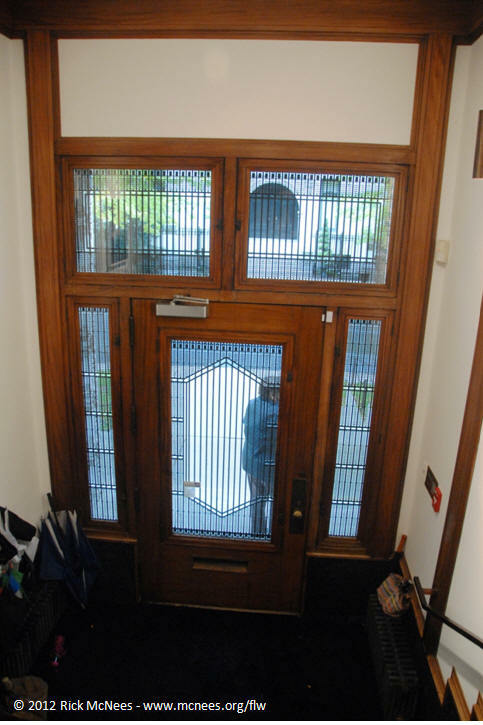 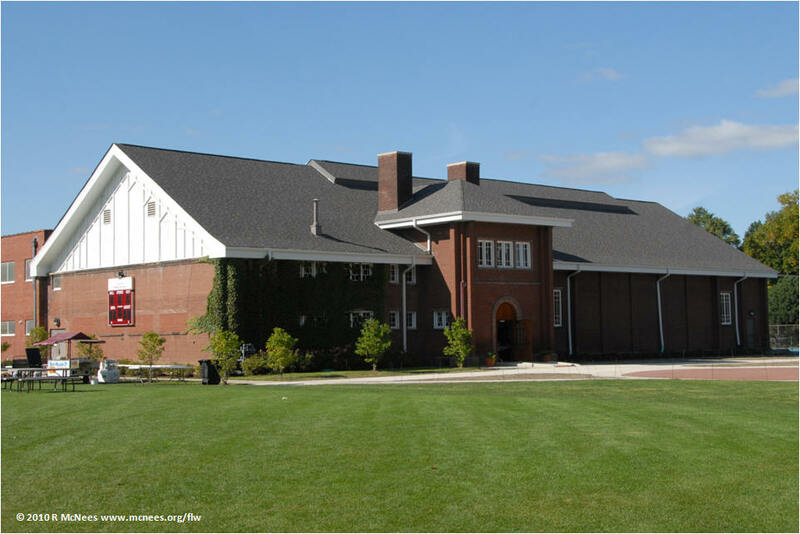 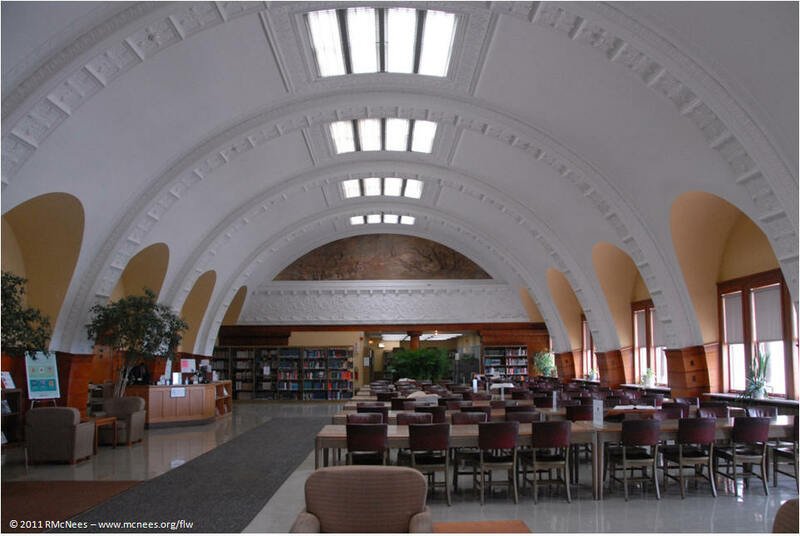 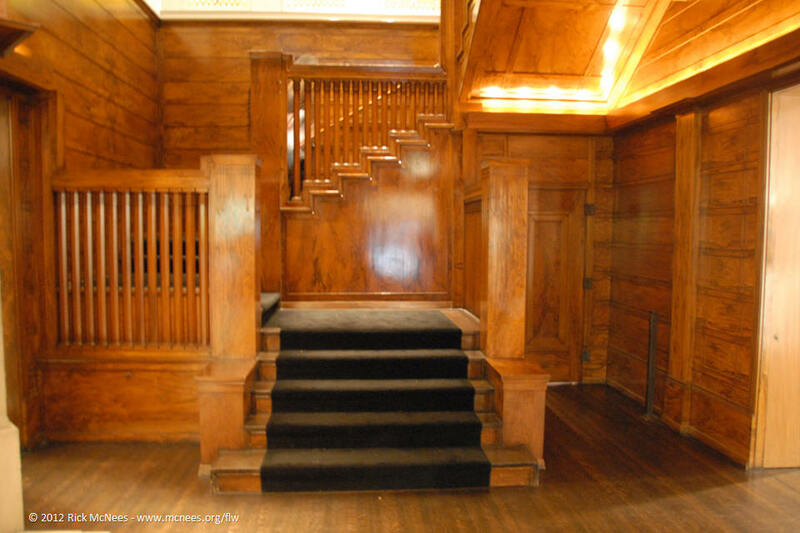 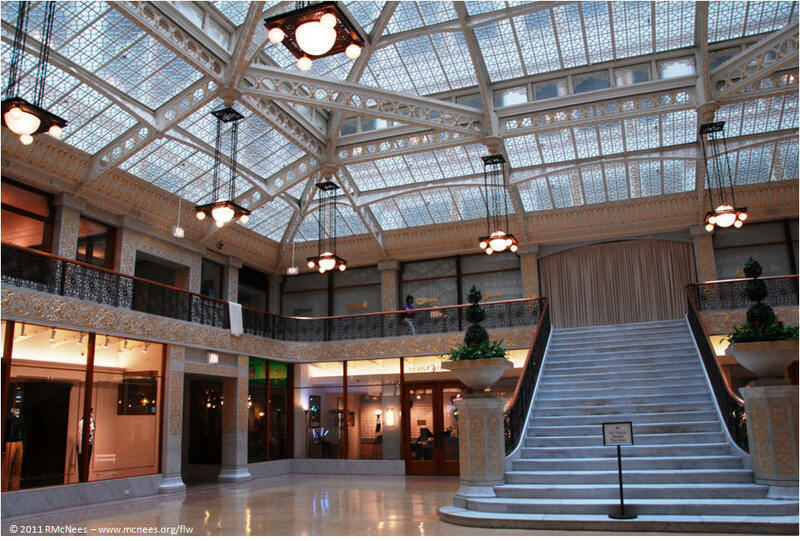 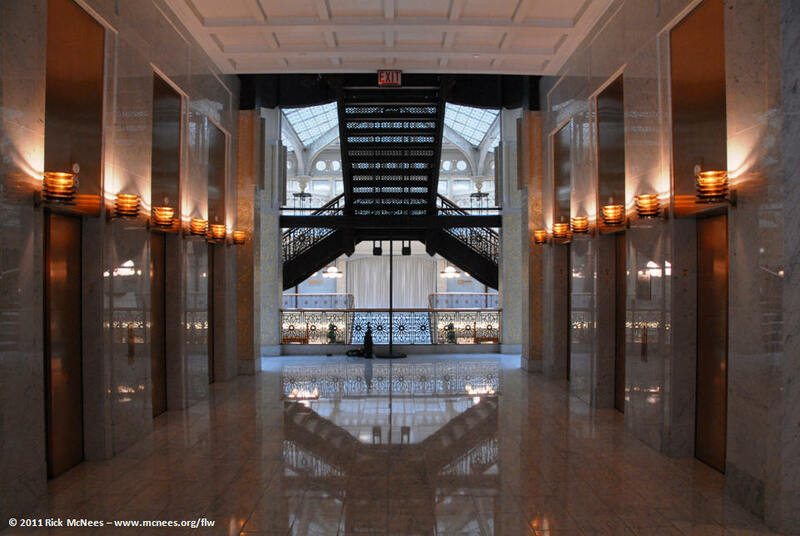 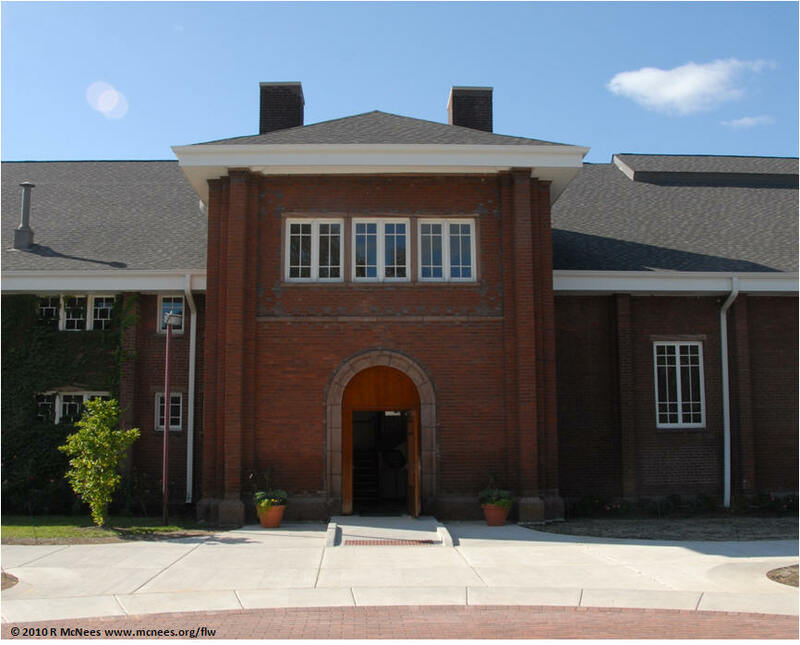 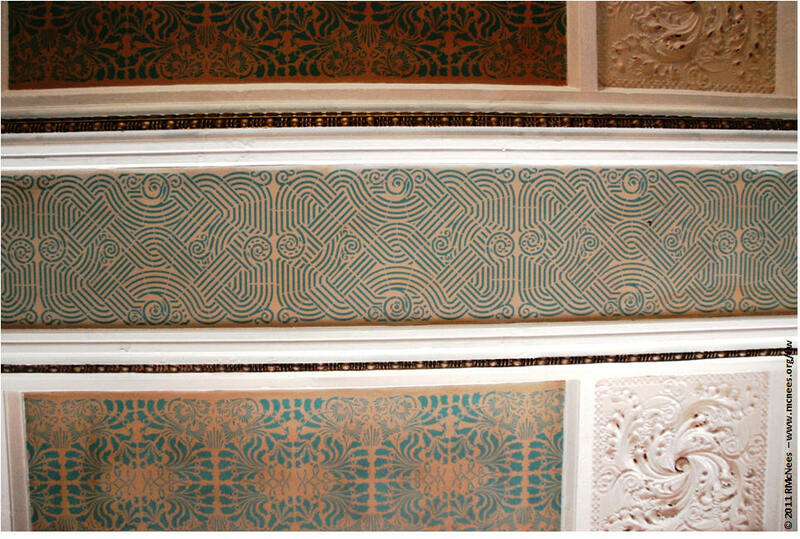 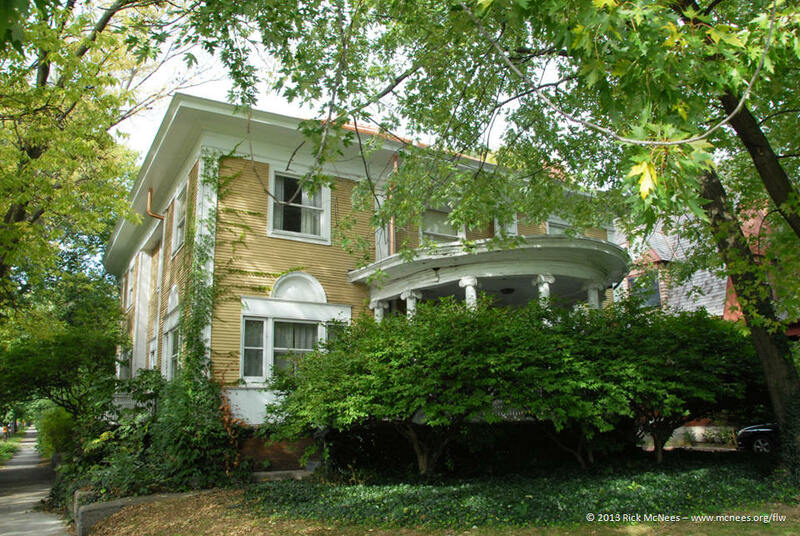 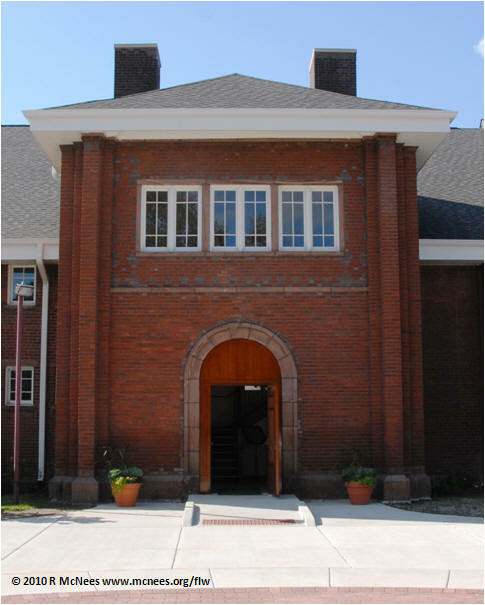 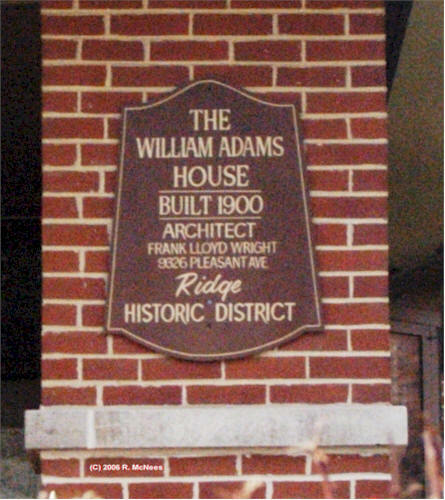 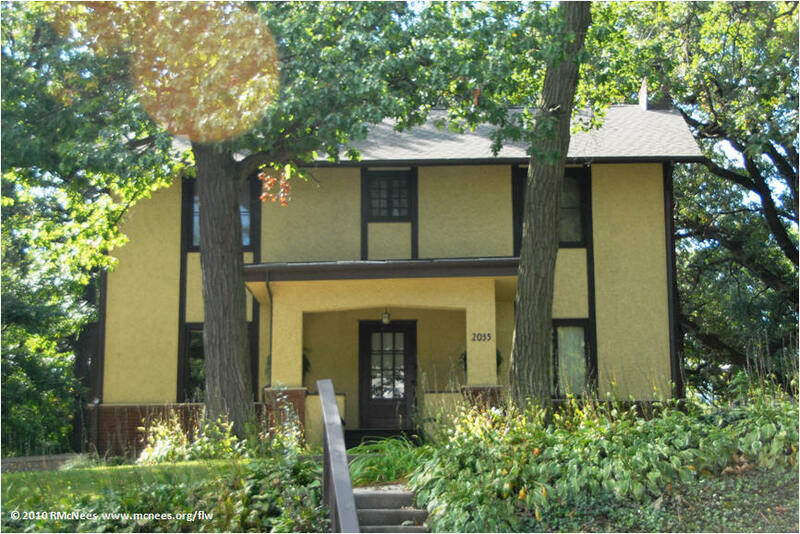 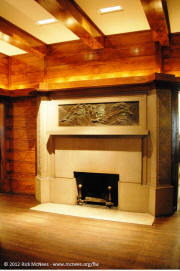 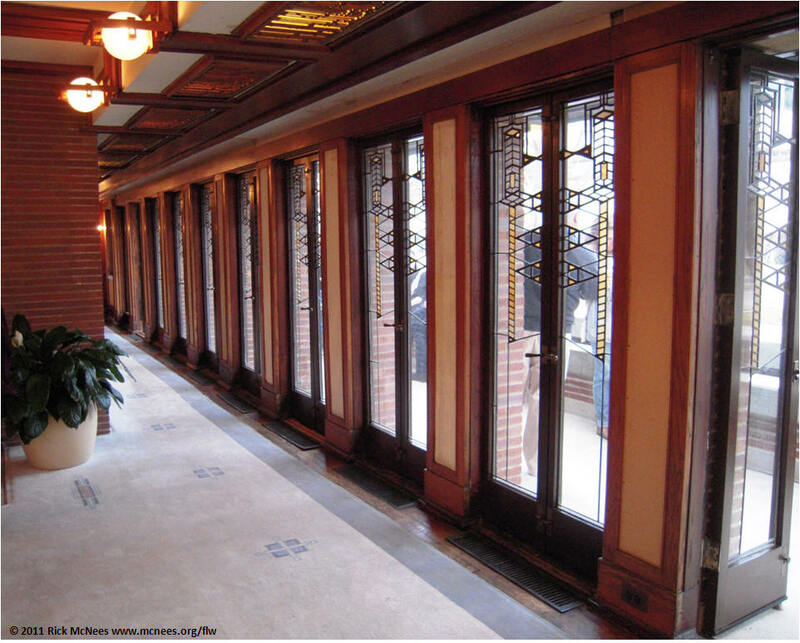 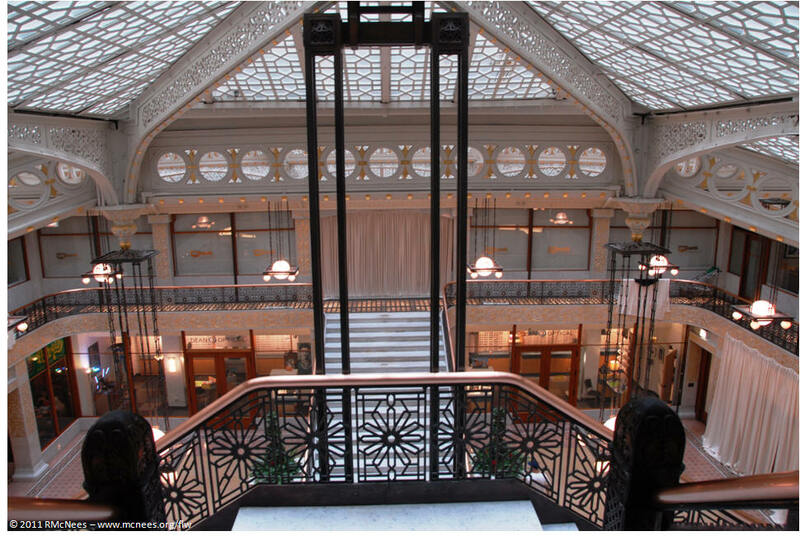 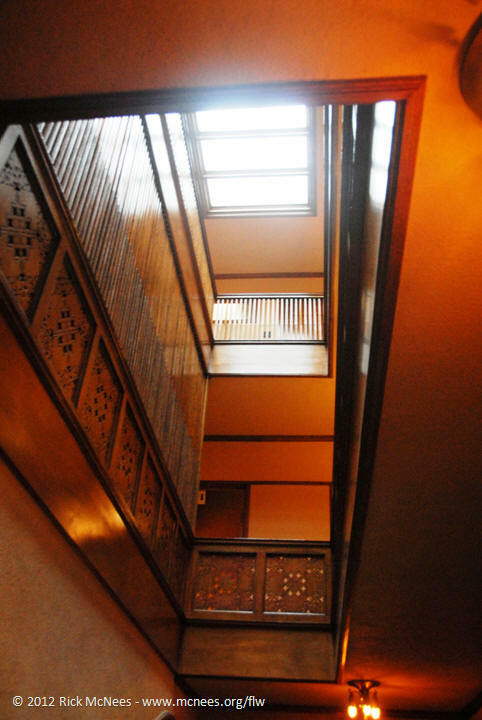 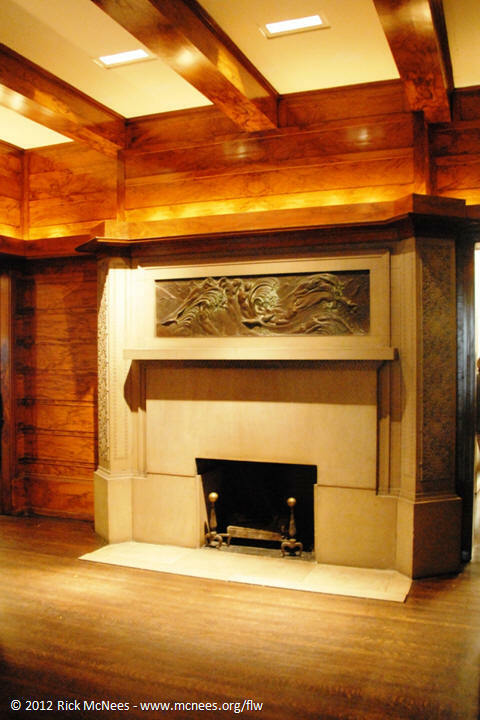 Design elements of that building such as the Library vaulted ceiling with its bands and ceiling lights and the stencil work in the lobby can be seen in Wrights Home in Oak Park, IL that he designed and built in 1889. 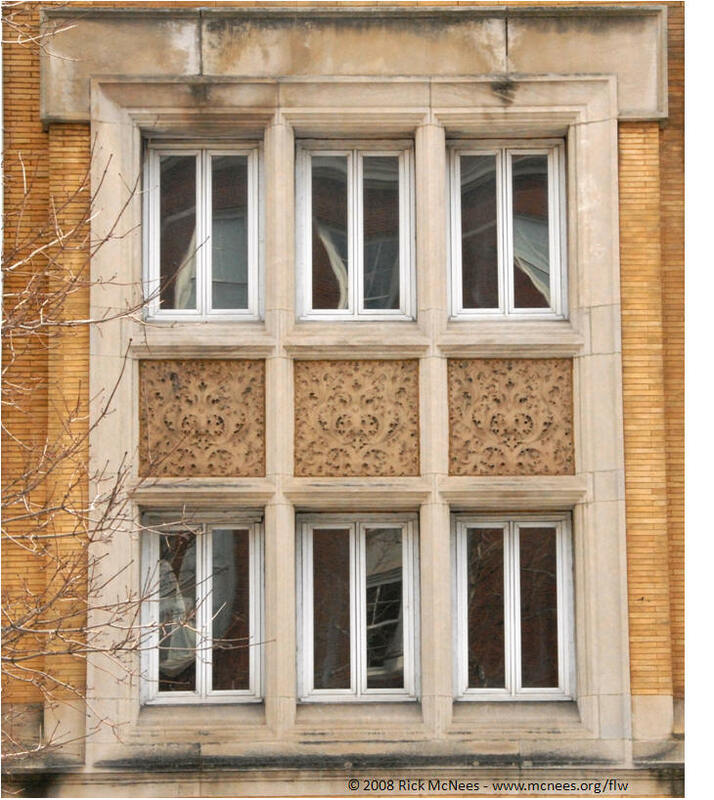 This page lasted updated 08/16/15 .